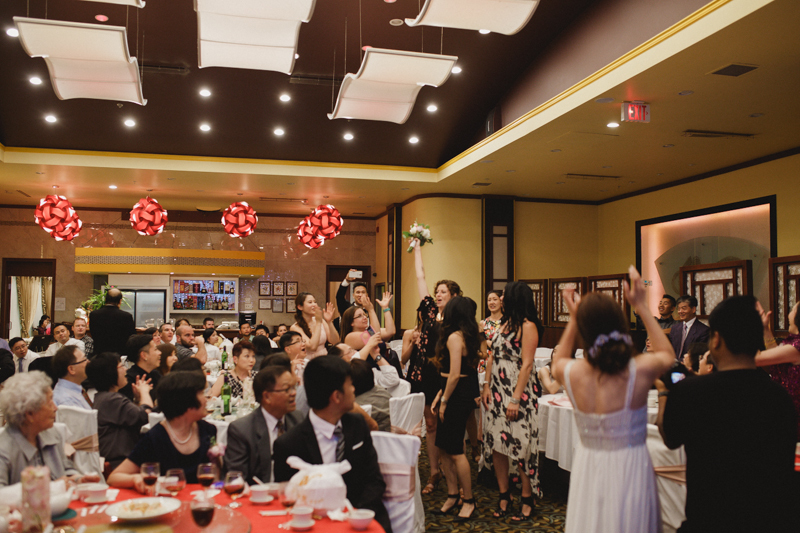 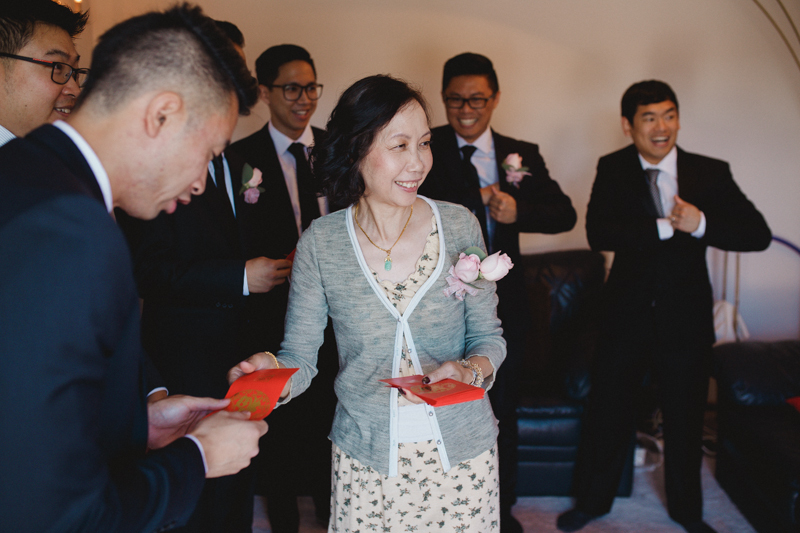 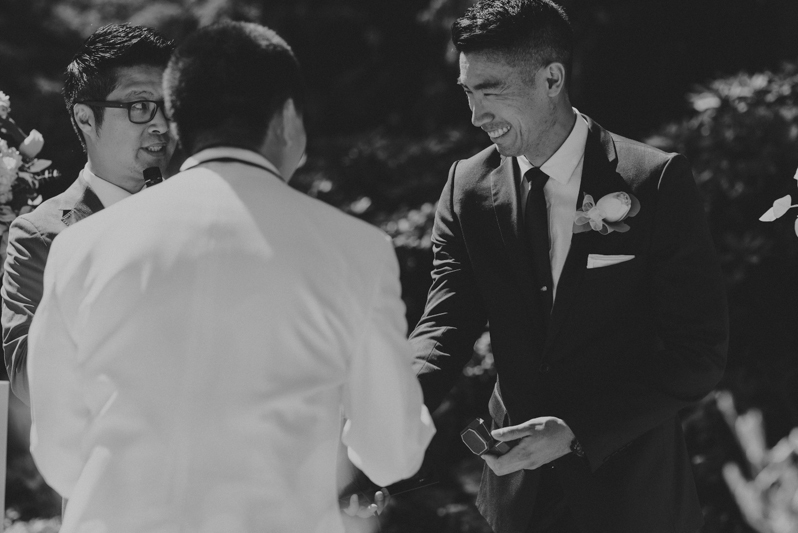 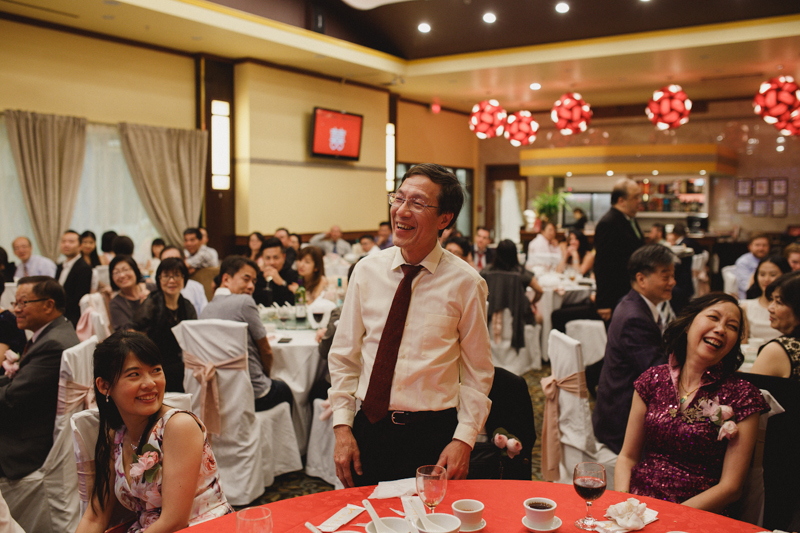 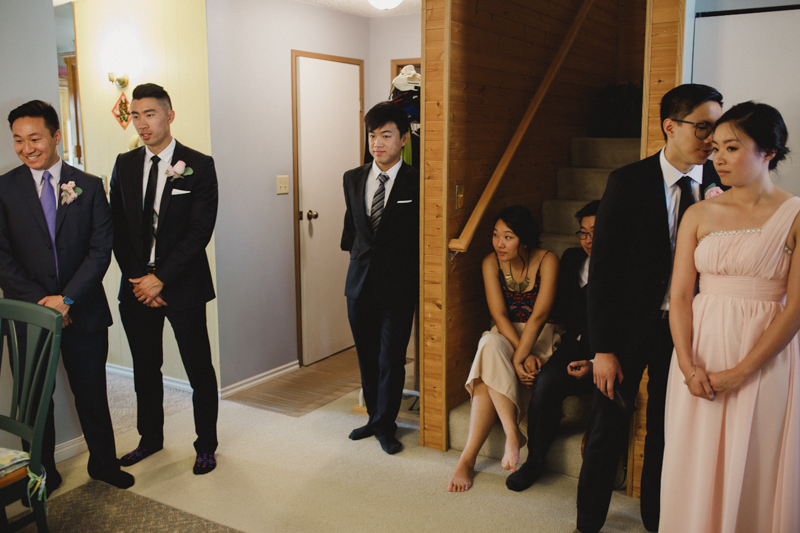 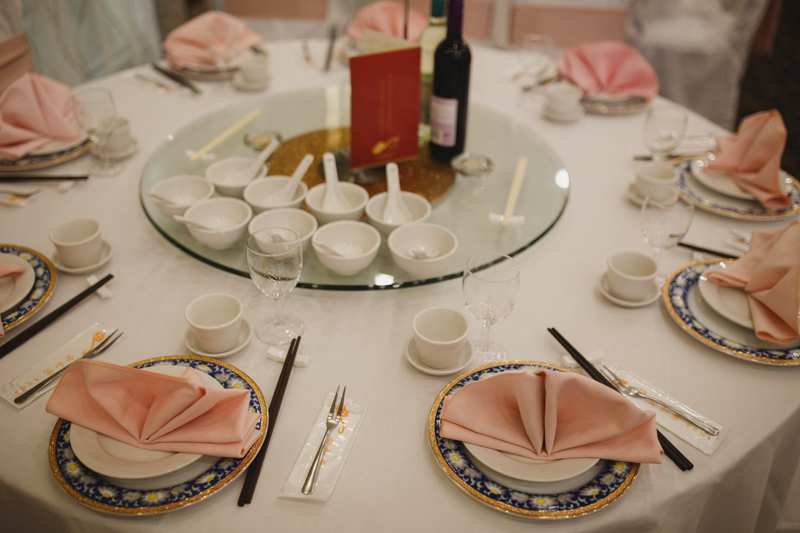 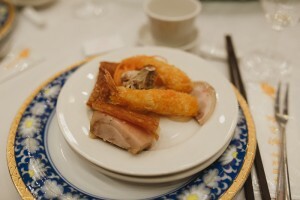 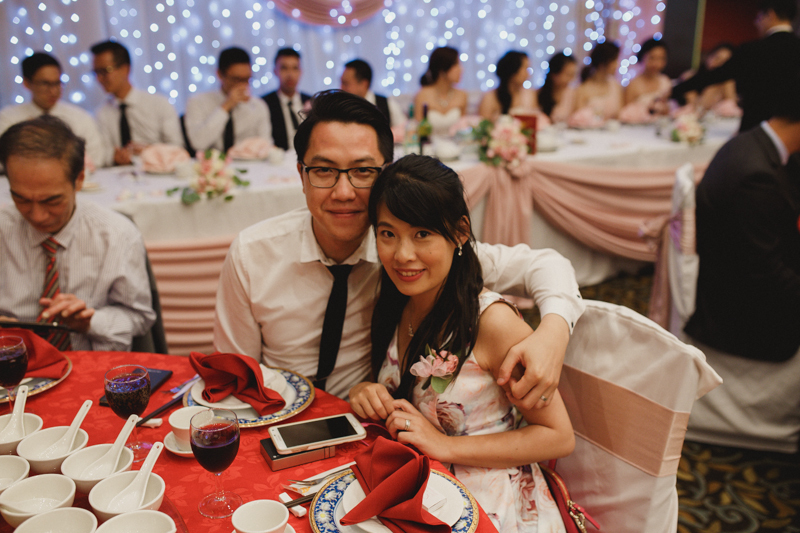 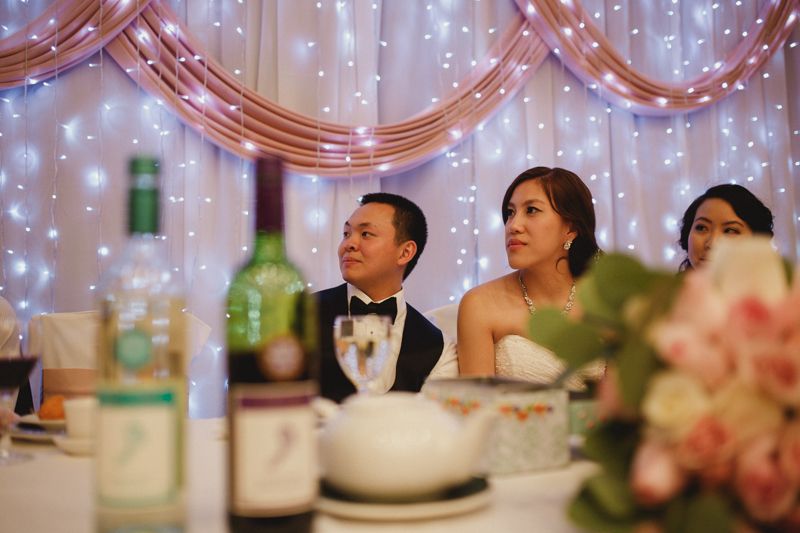 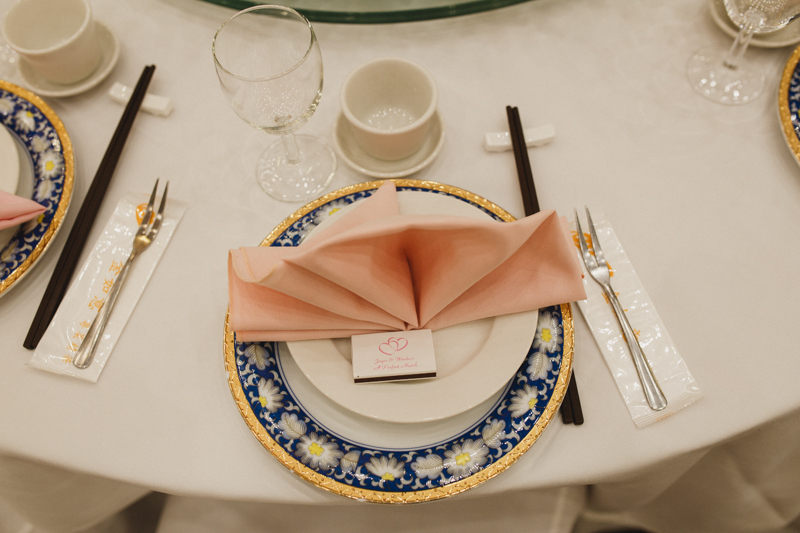 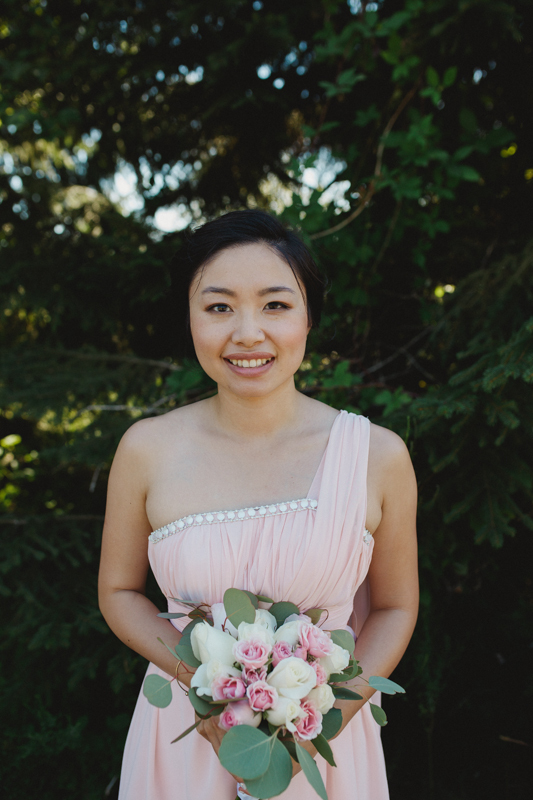 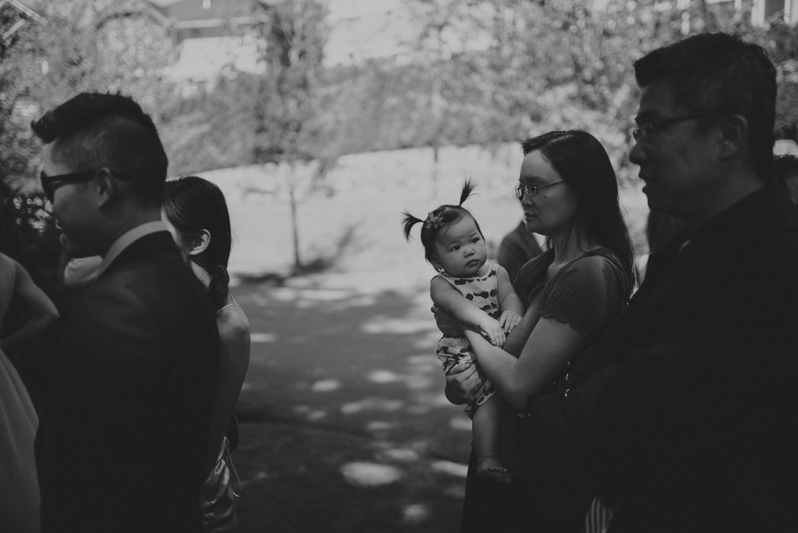 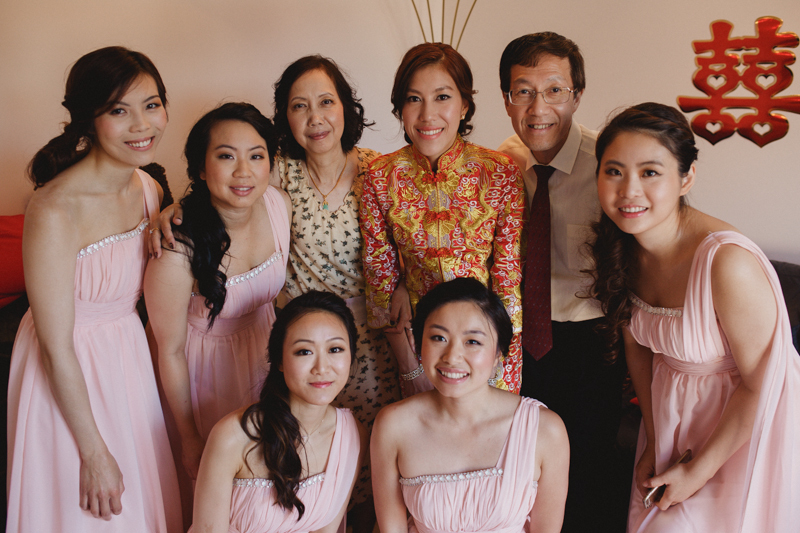 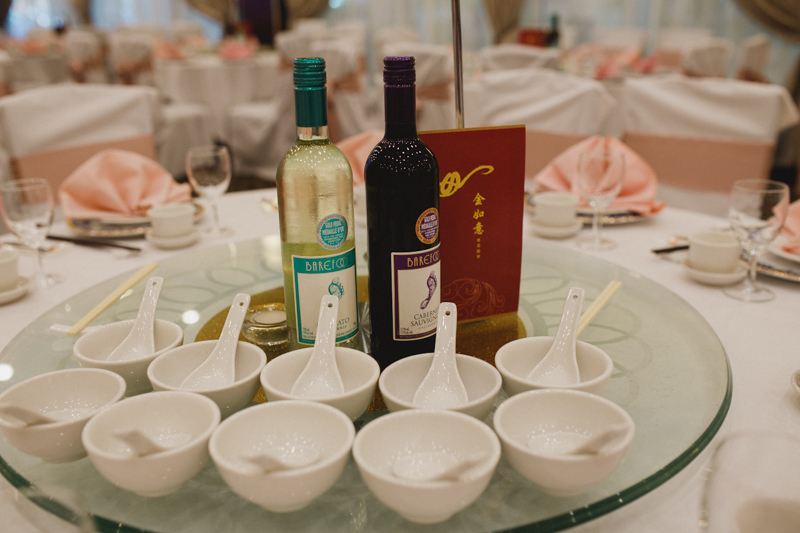 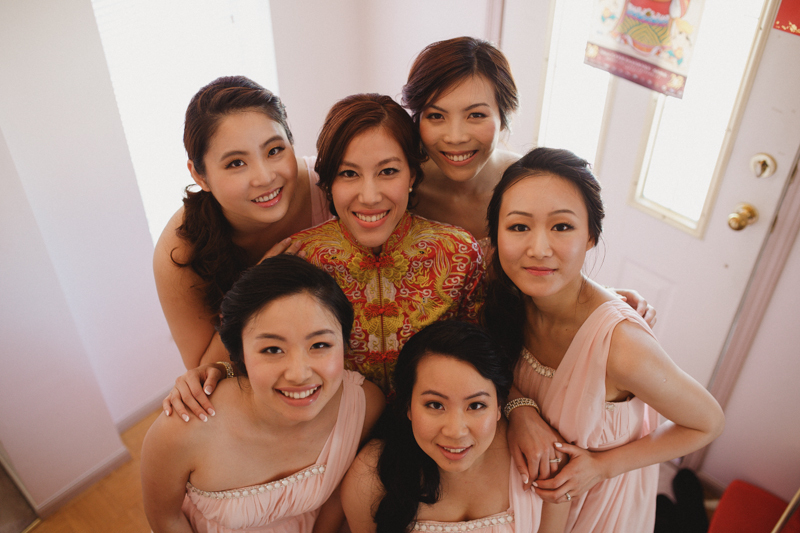 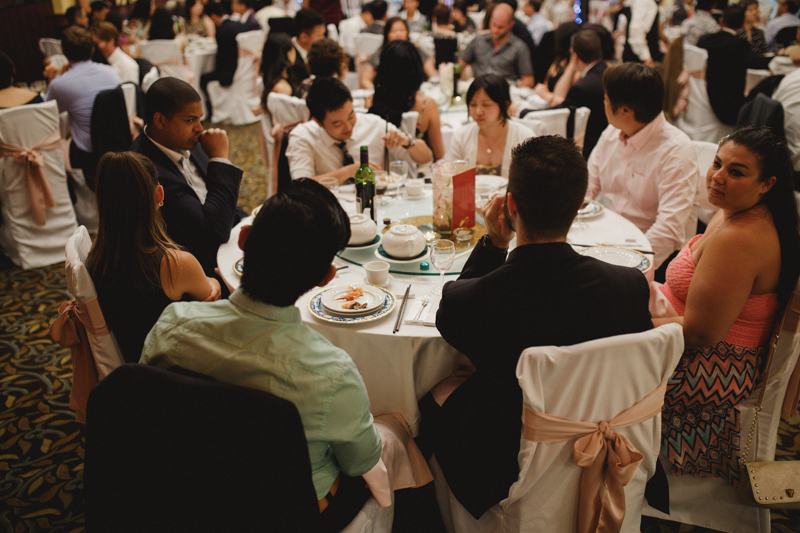 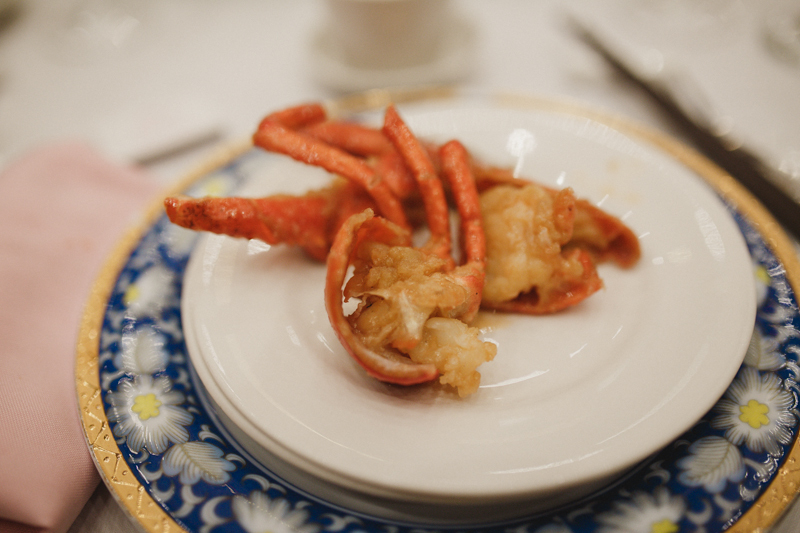 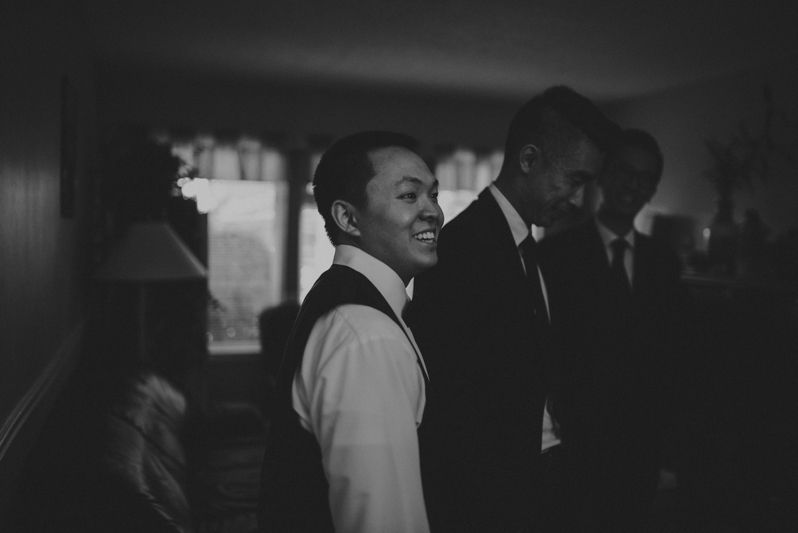 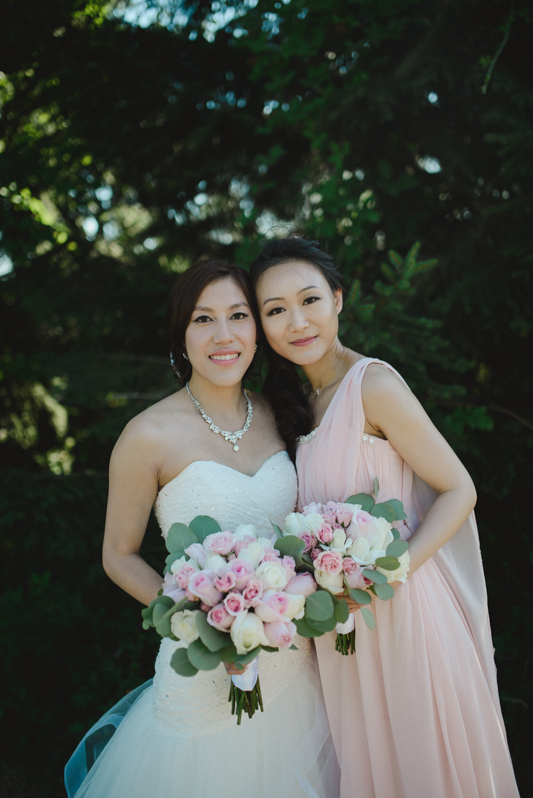 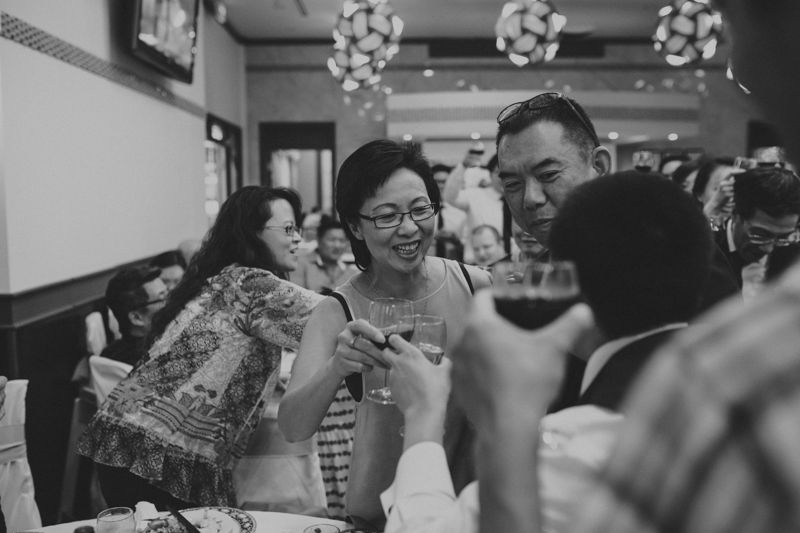 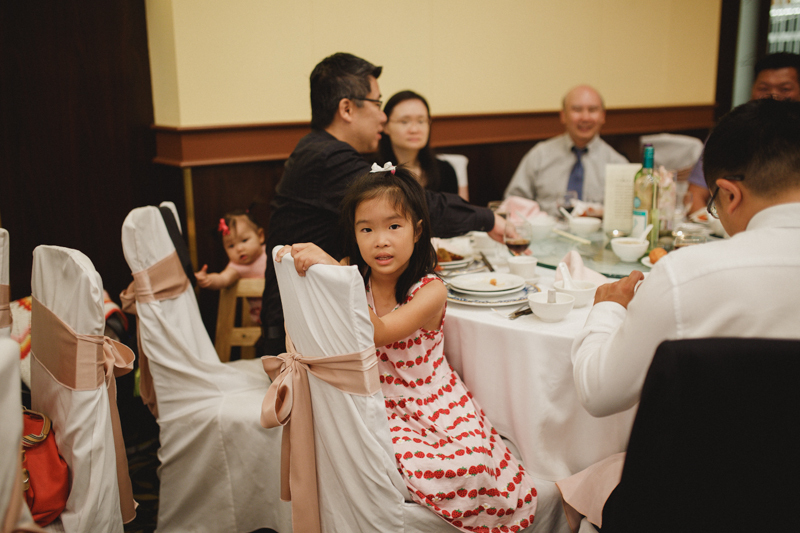 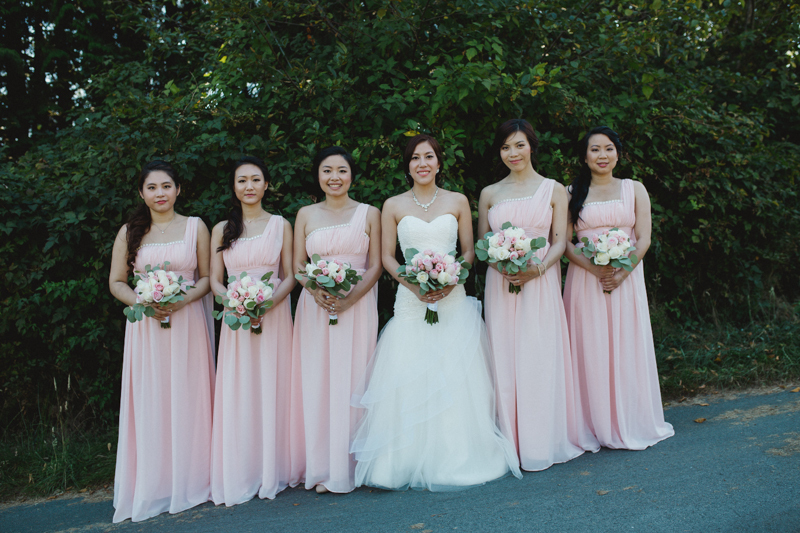 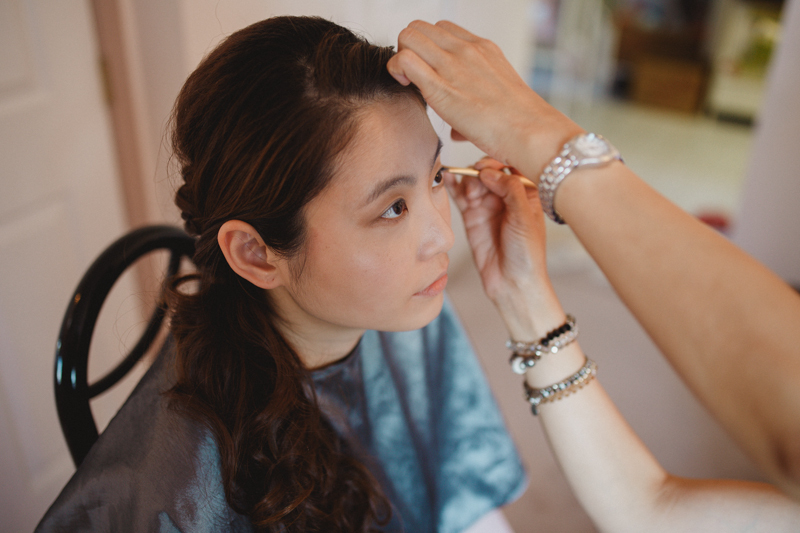 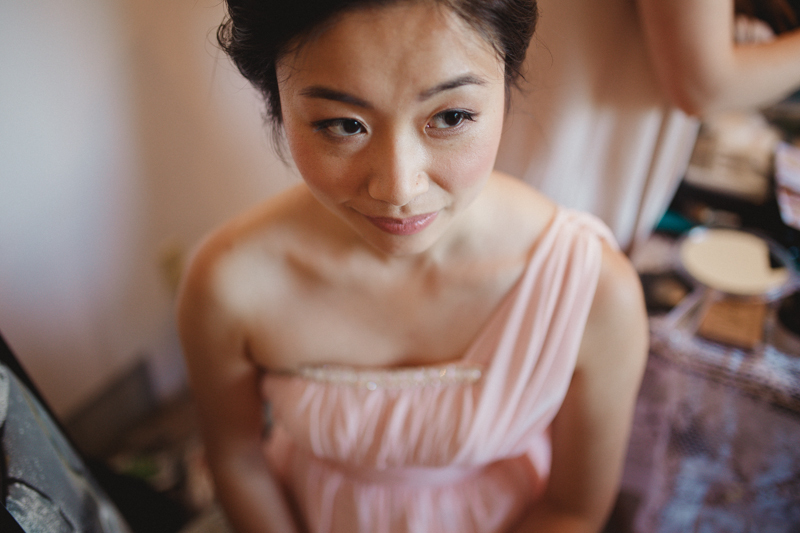 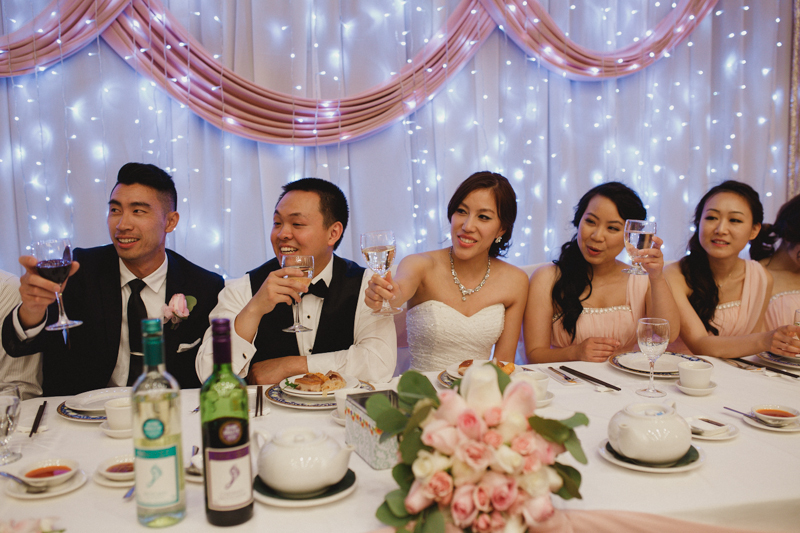 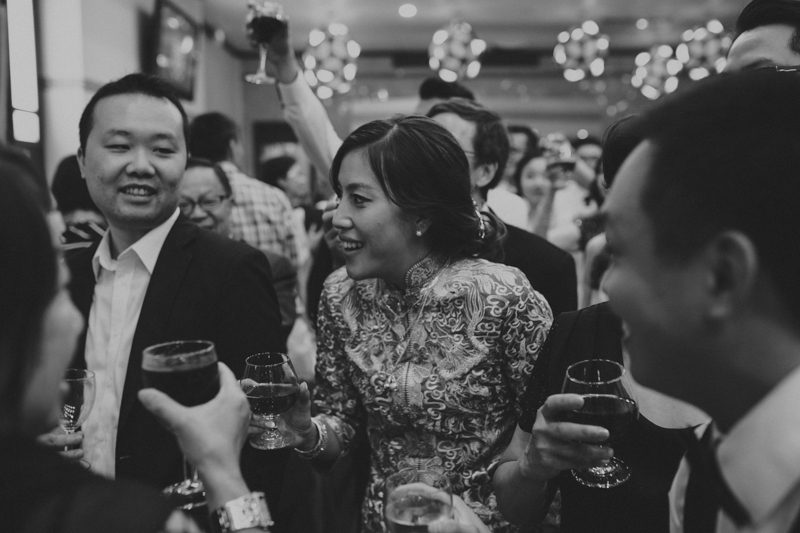 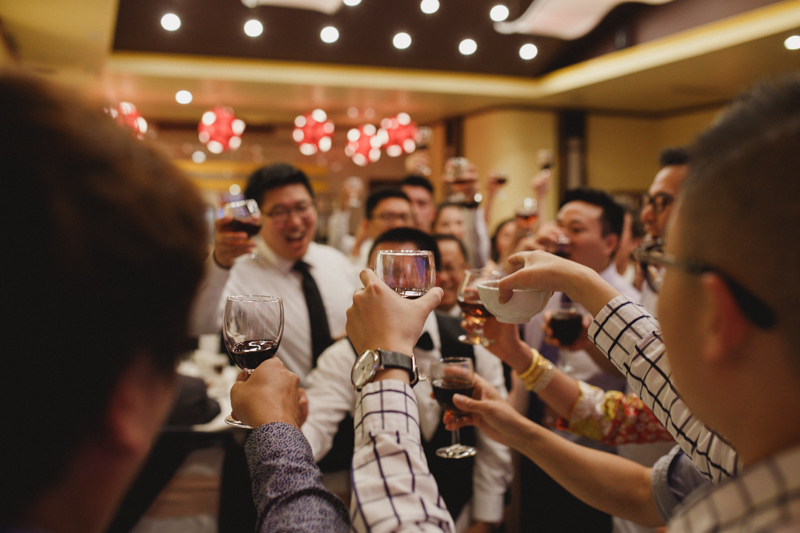 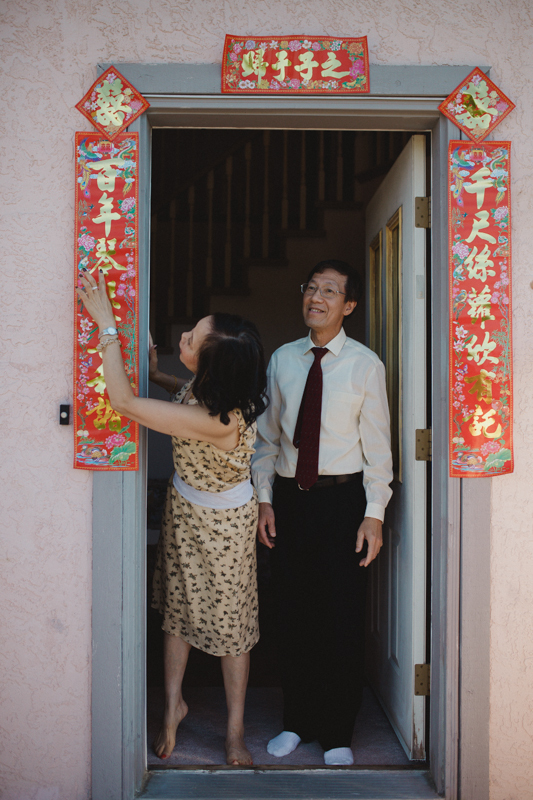 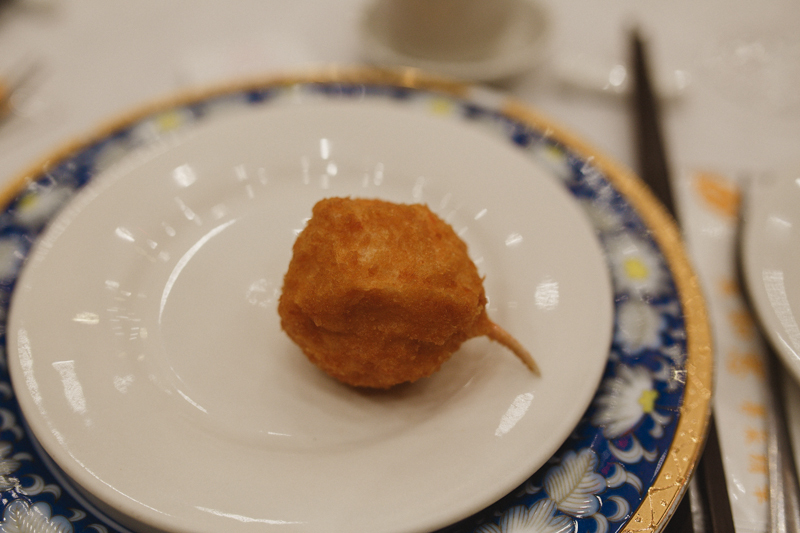 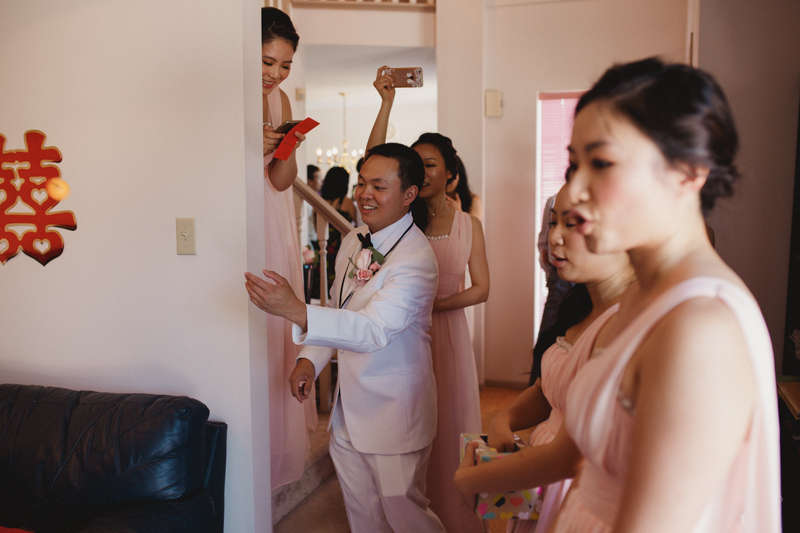 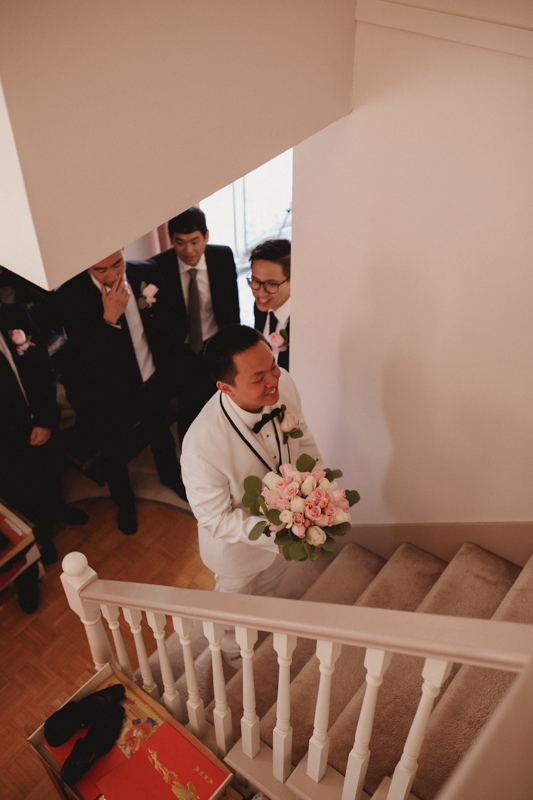 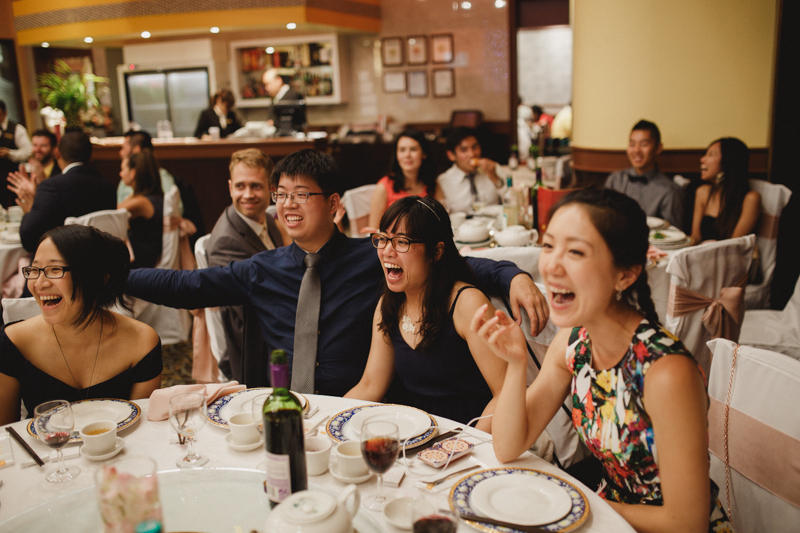 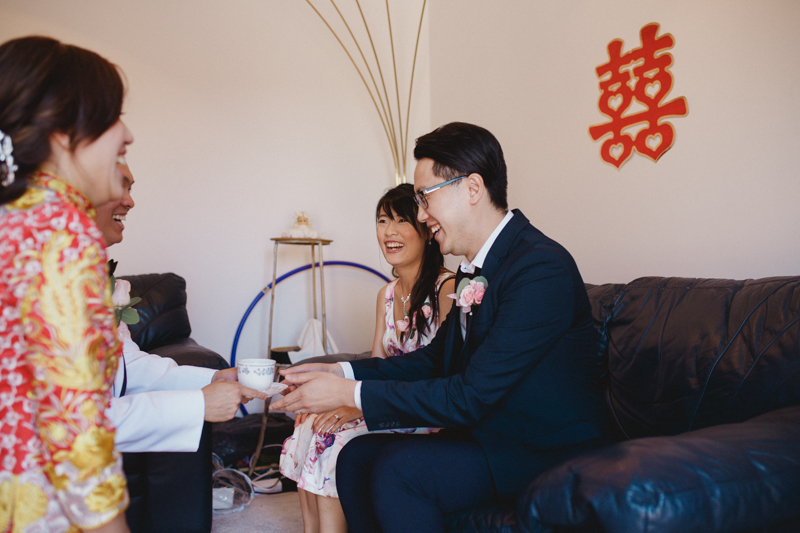 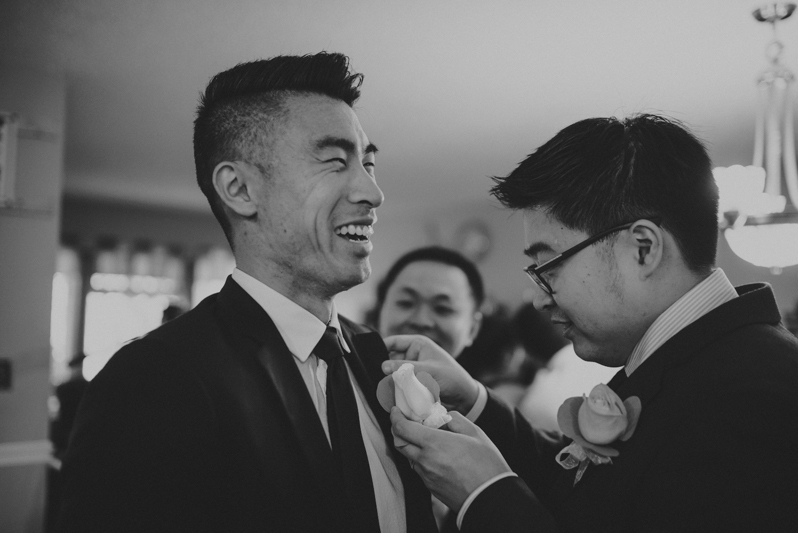 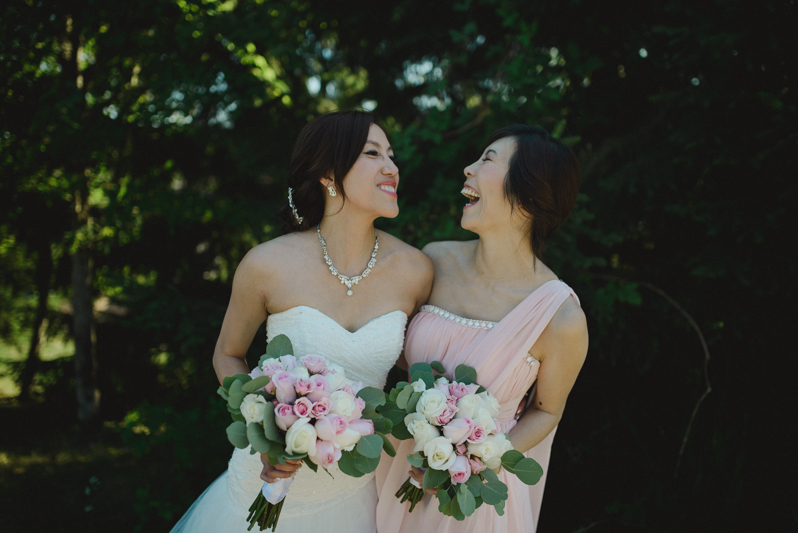 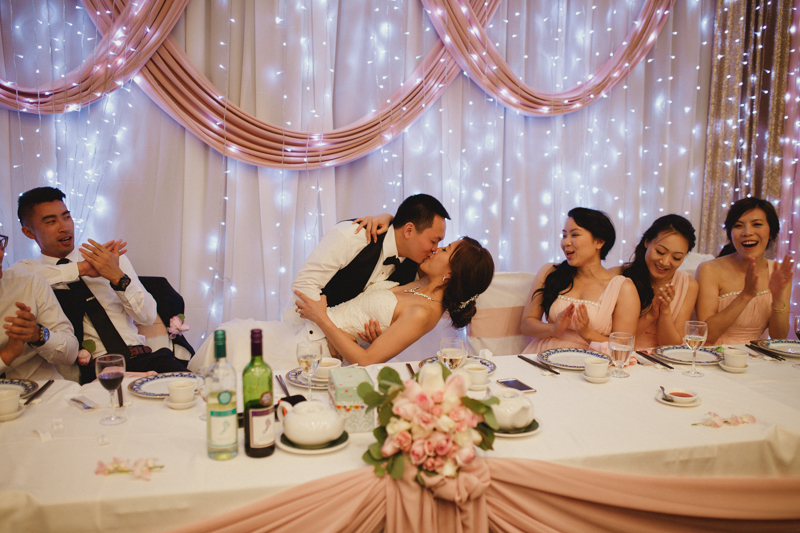 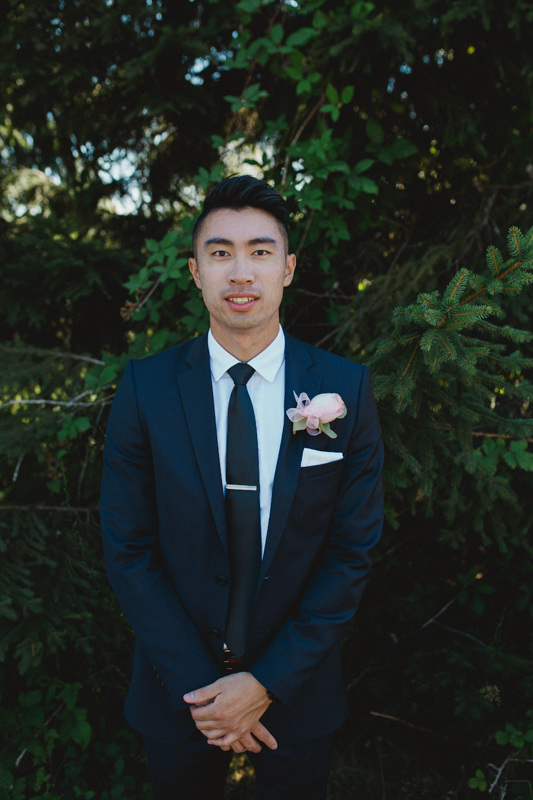 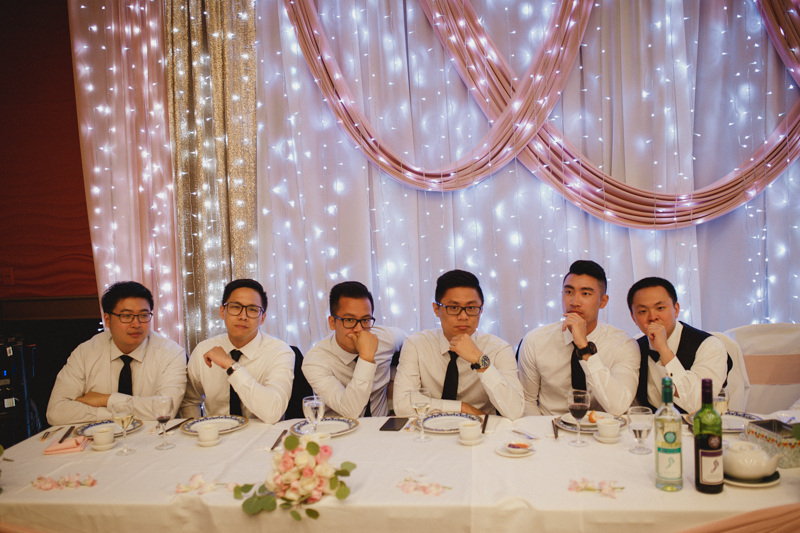 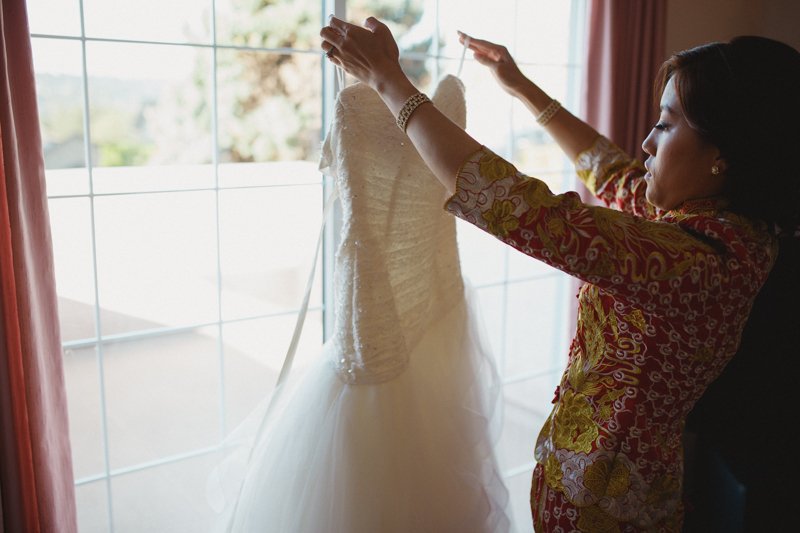 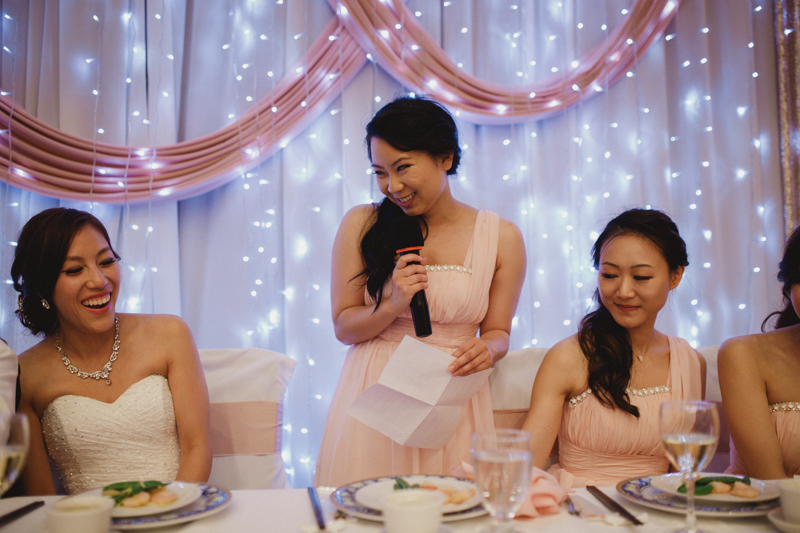 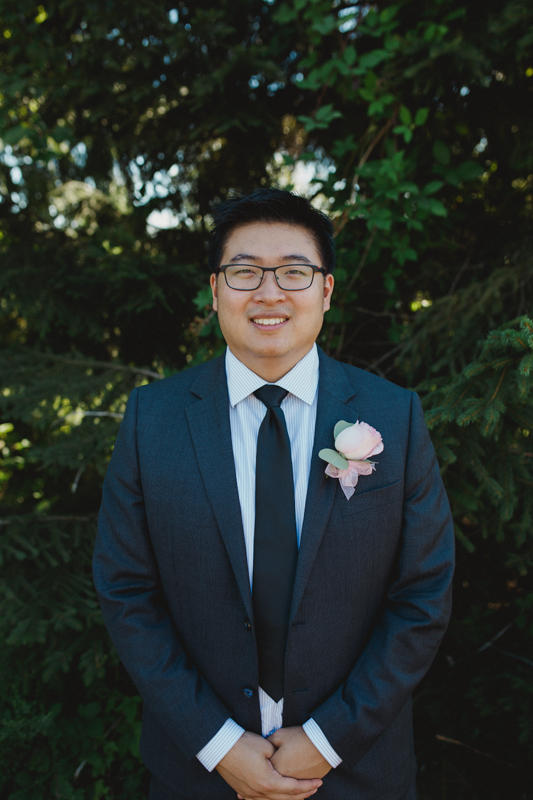 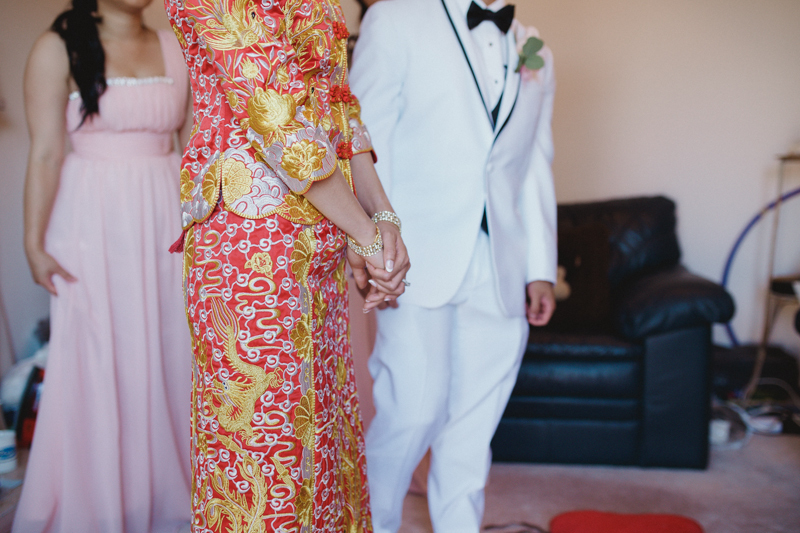 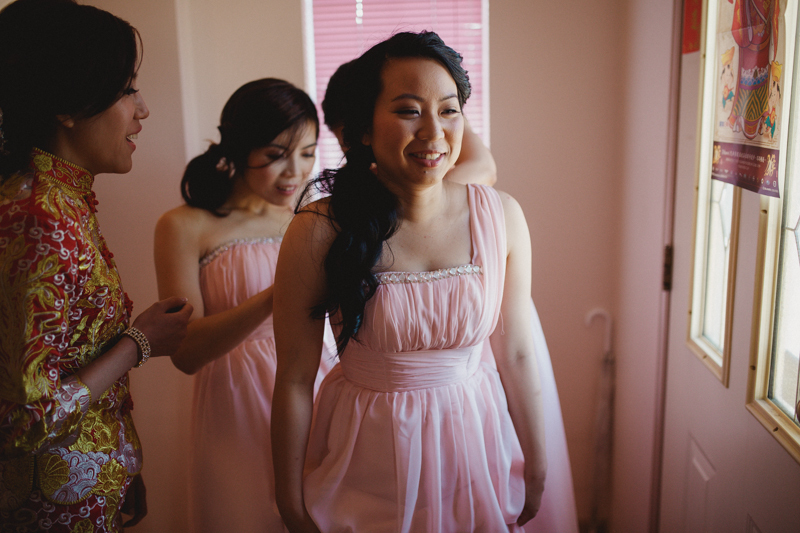 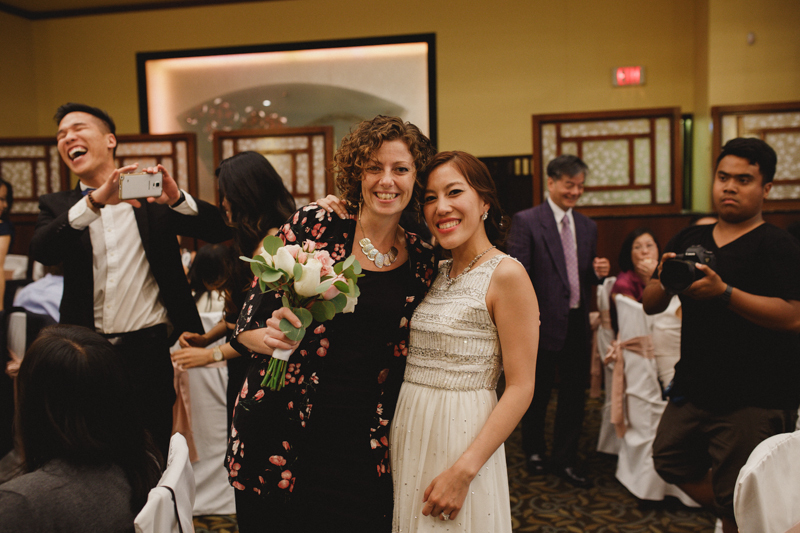 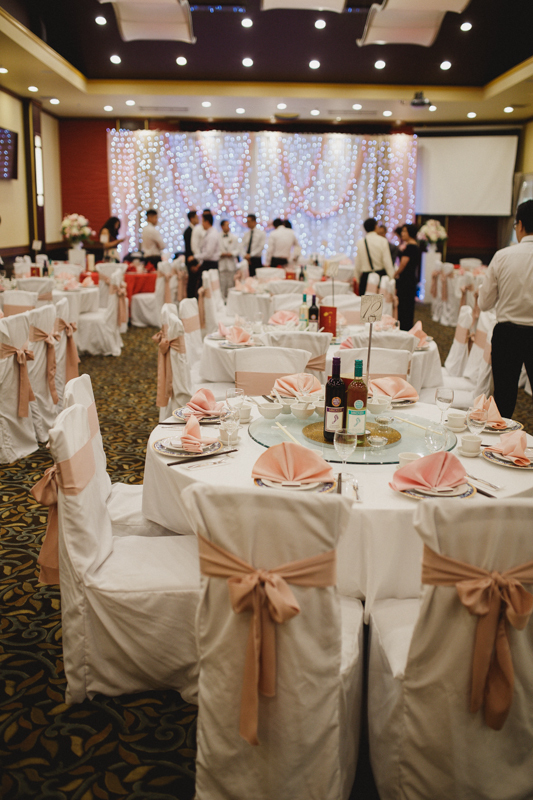 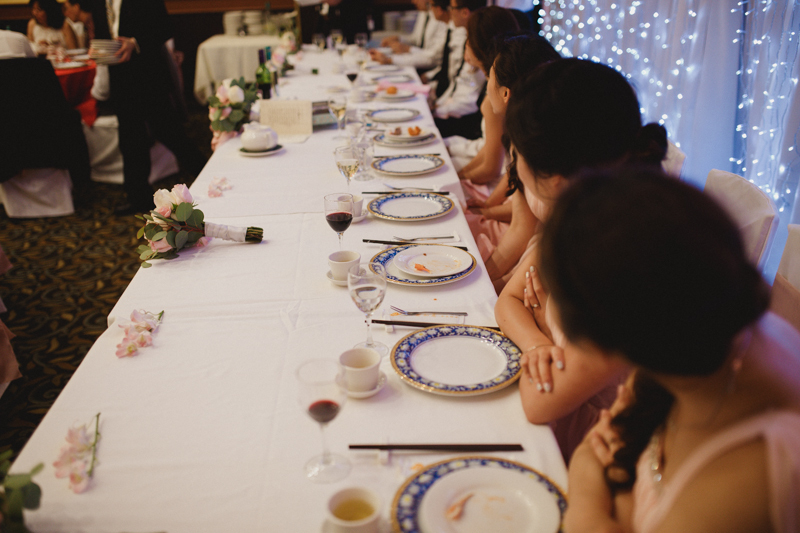 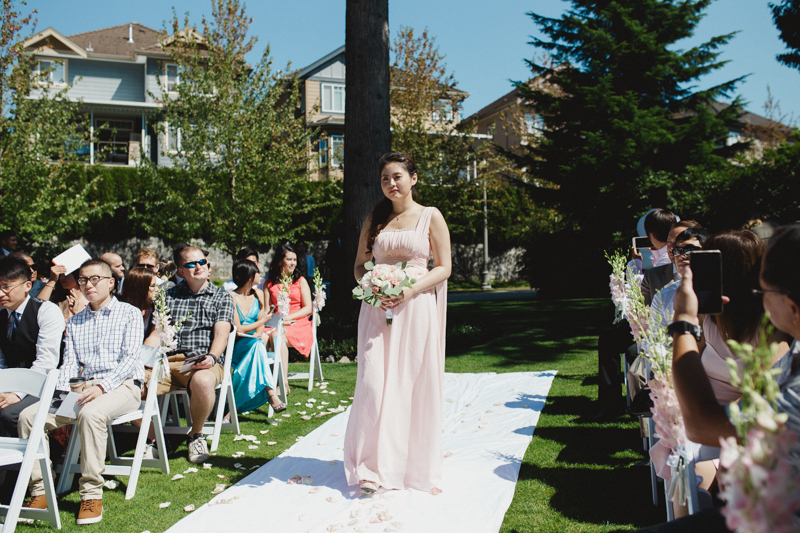 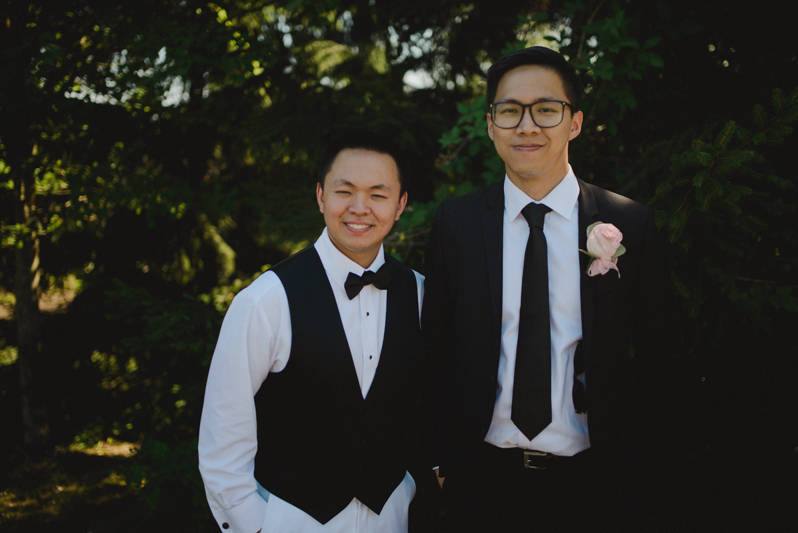 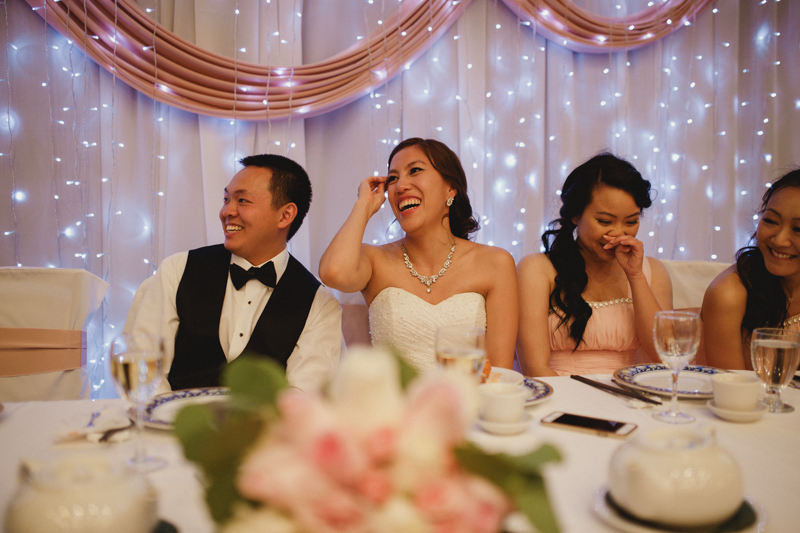 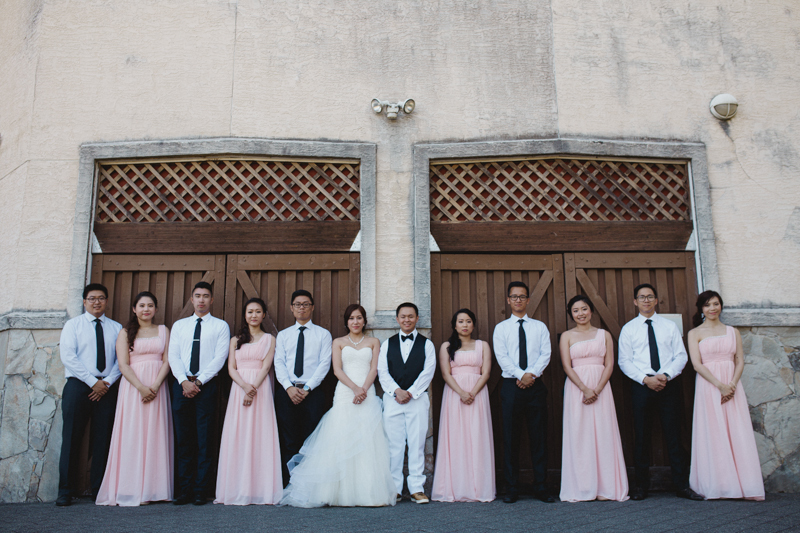 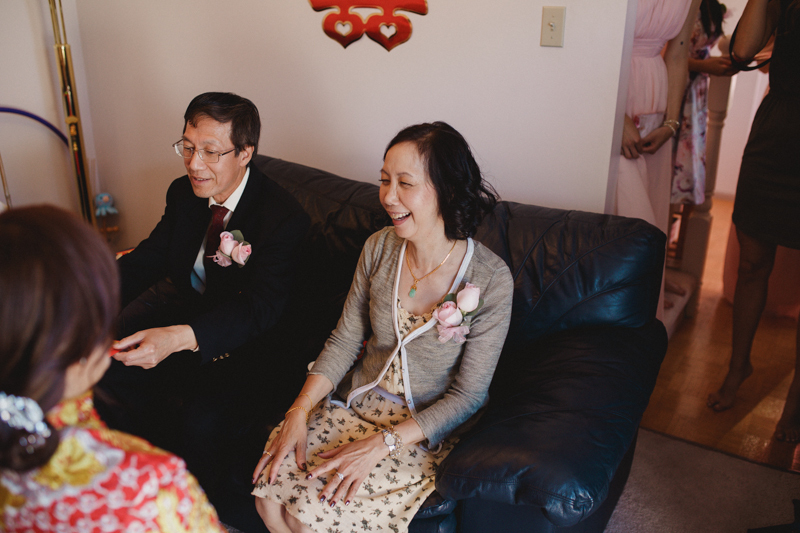 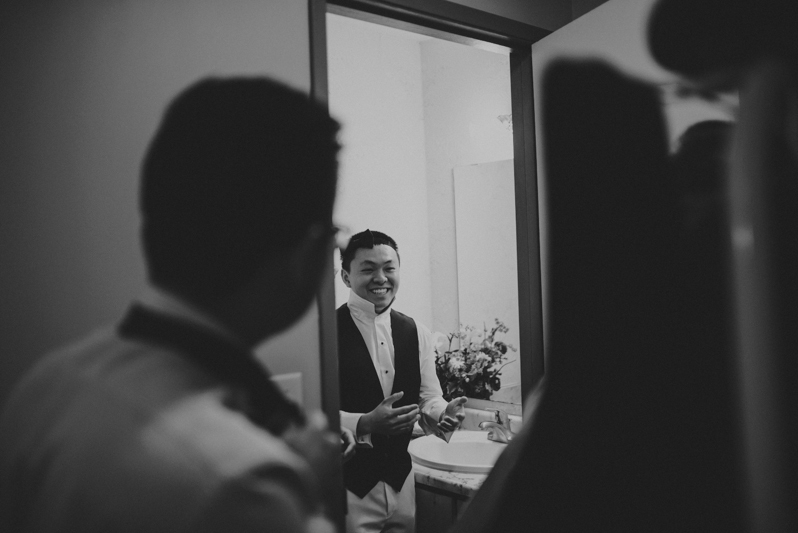 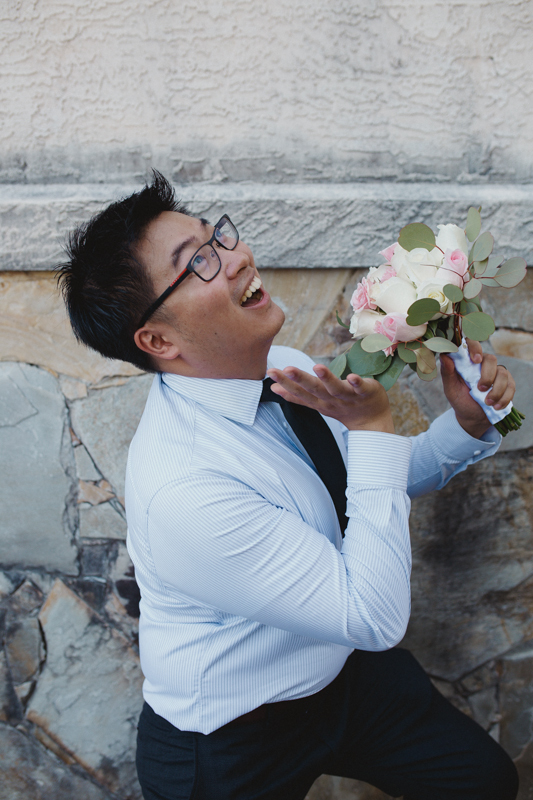 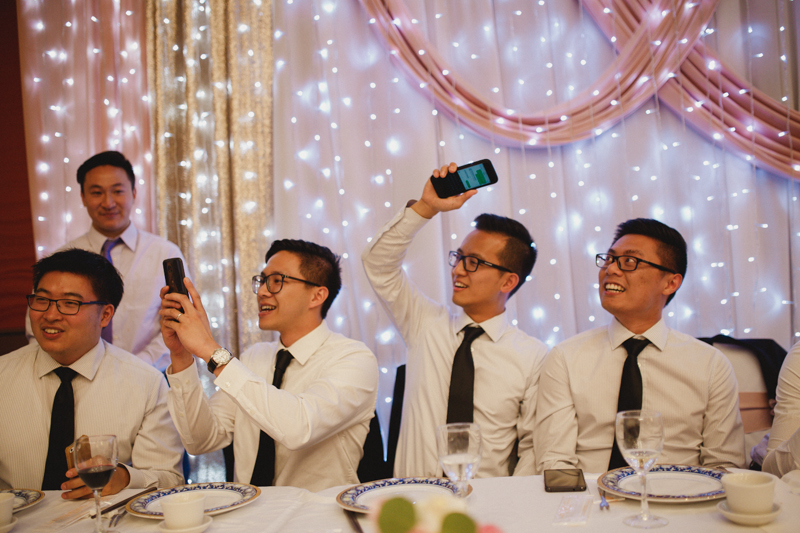 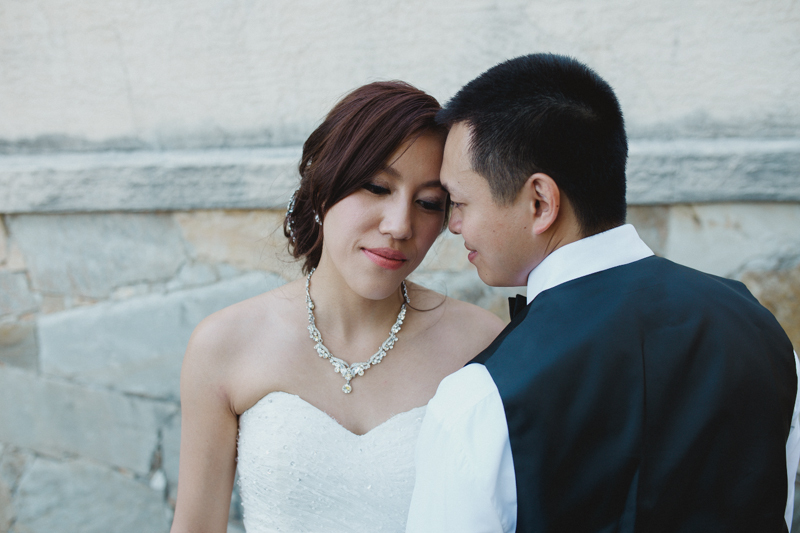 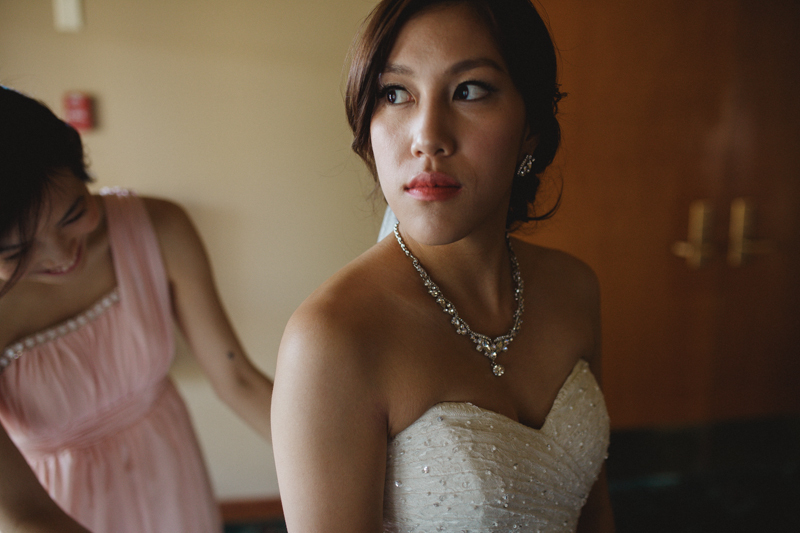 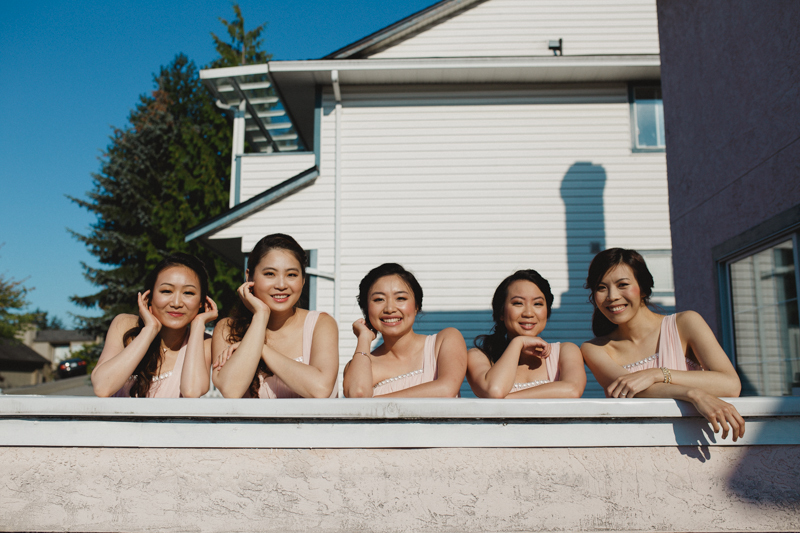 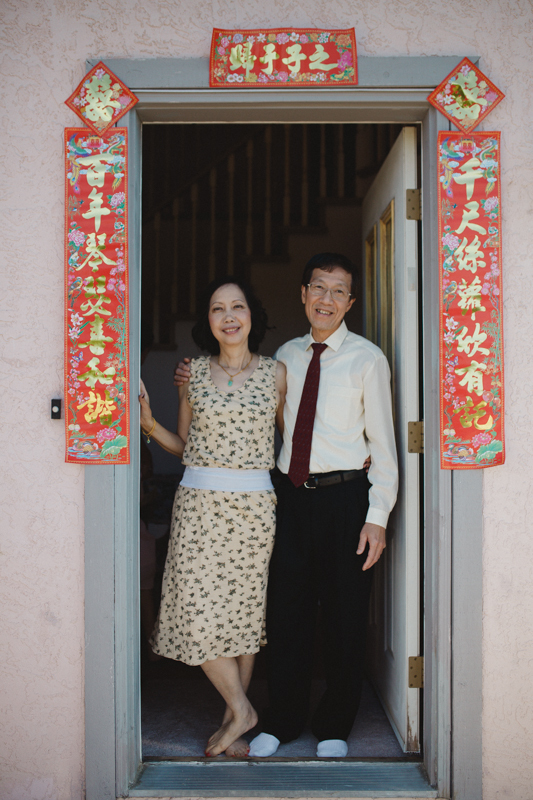 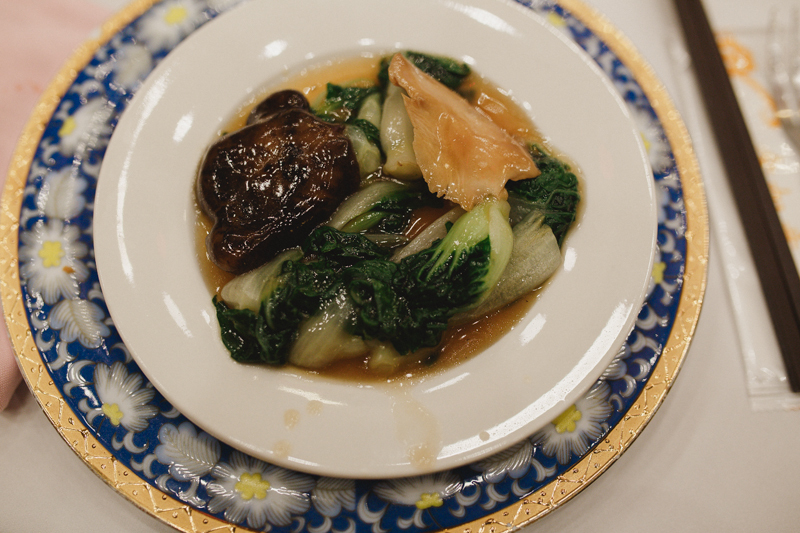 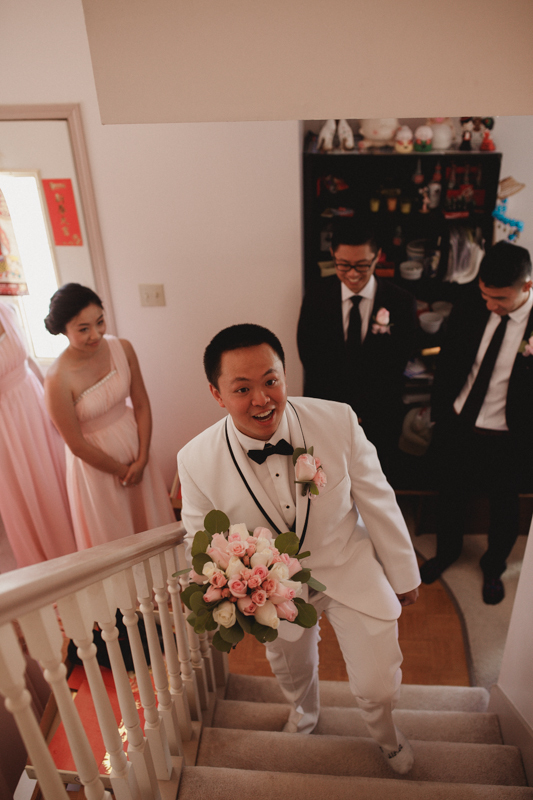 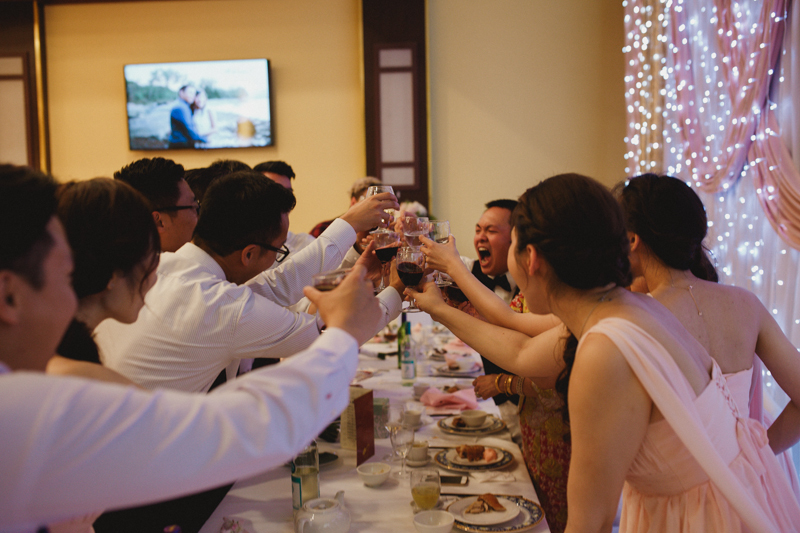 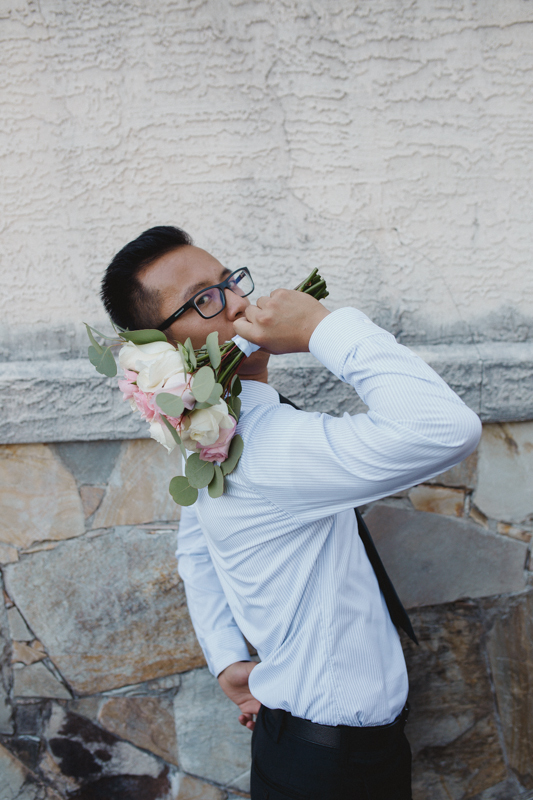 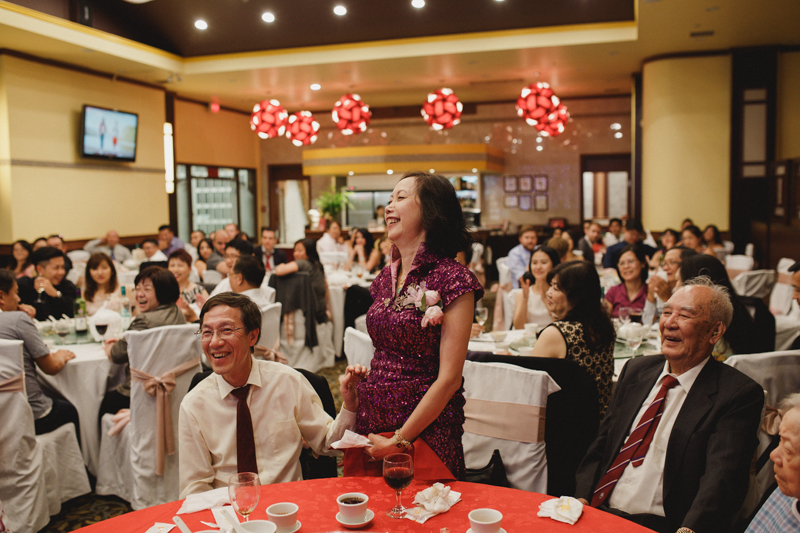 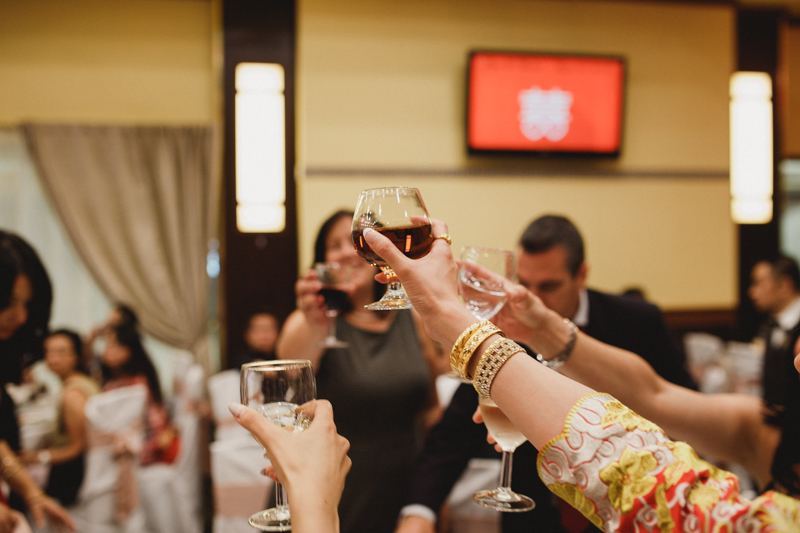 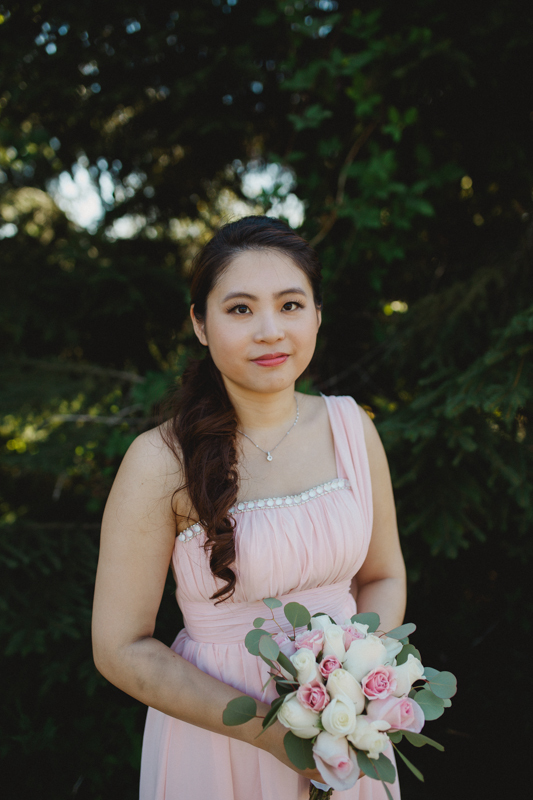 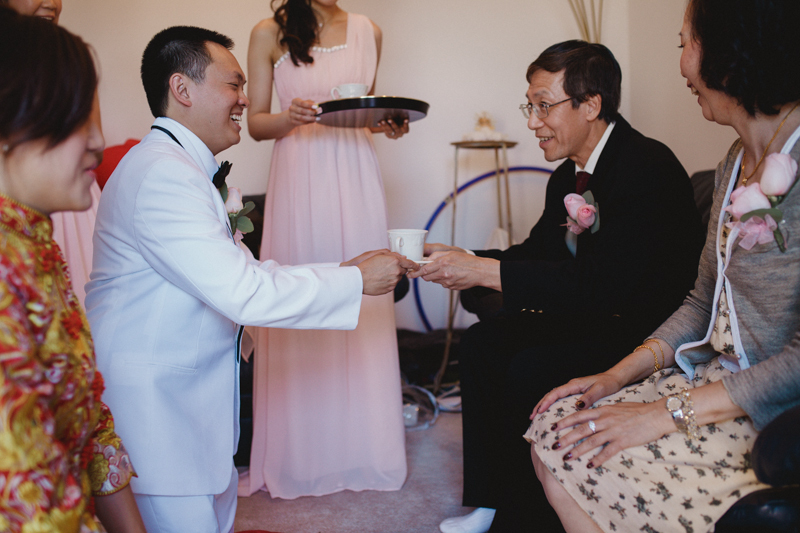 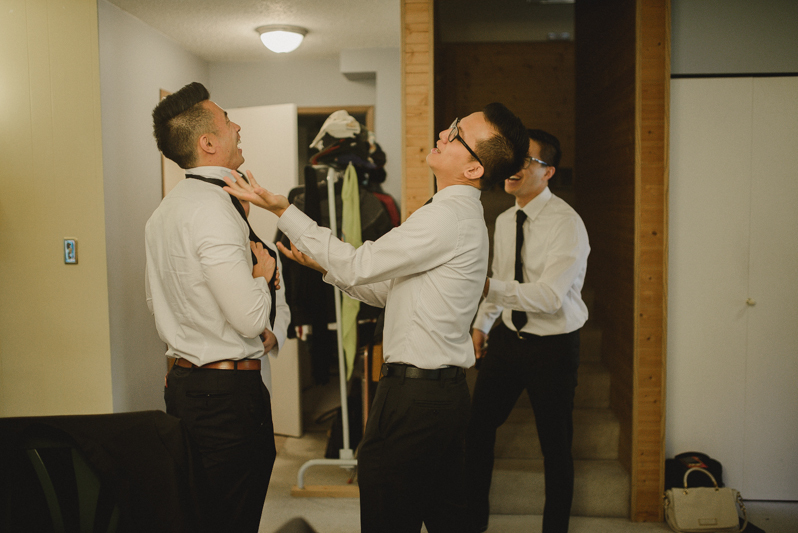 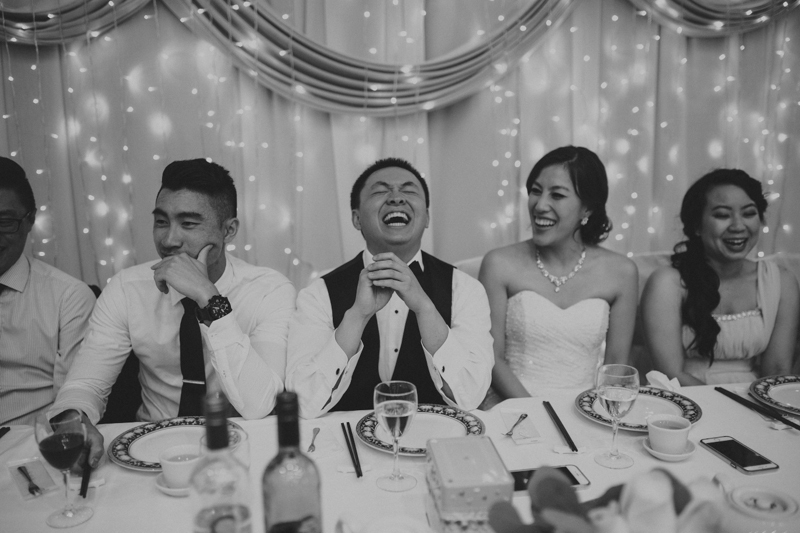 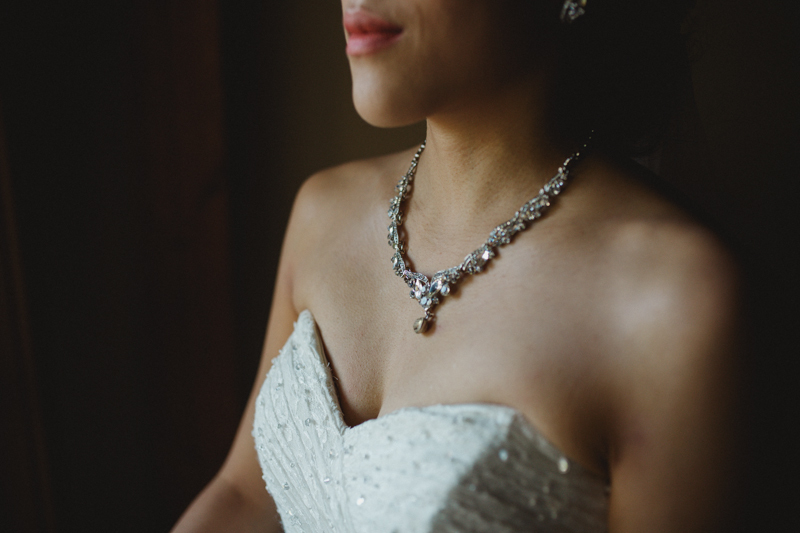 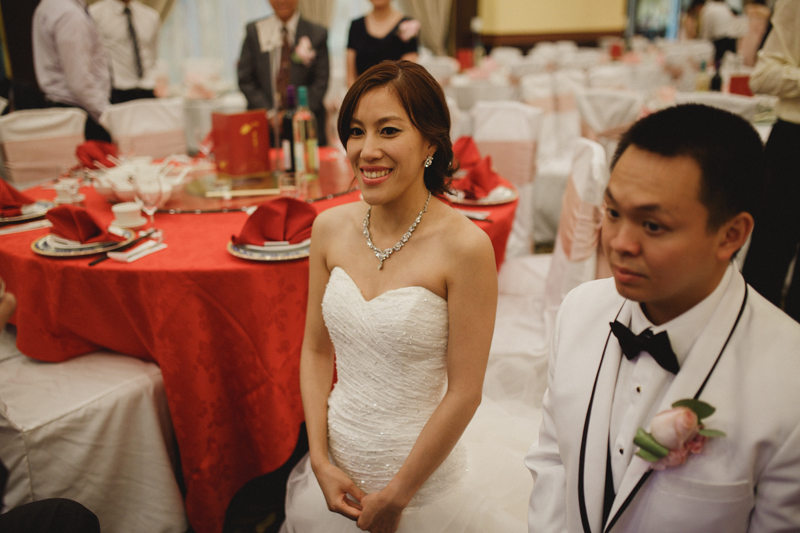 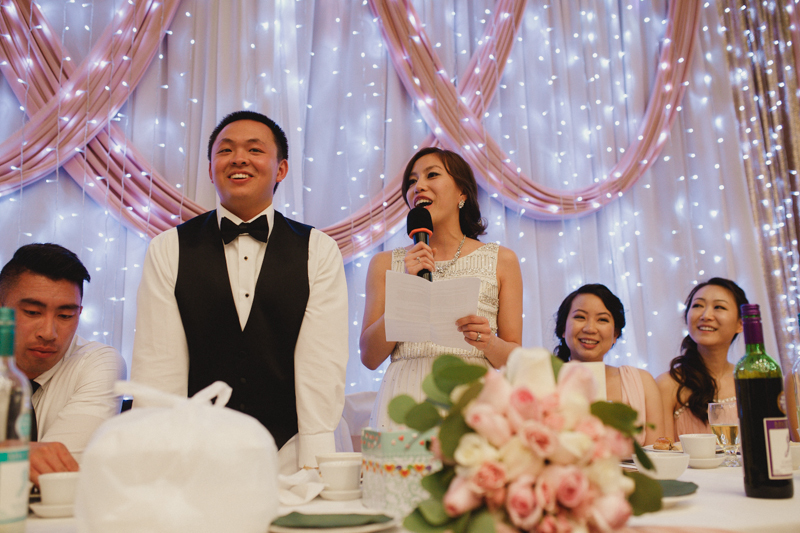 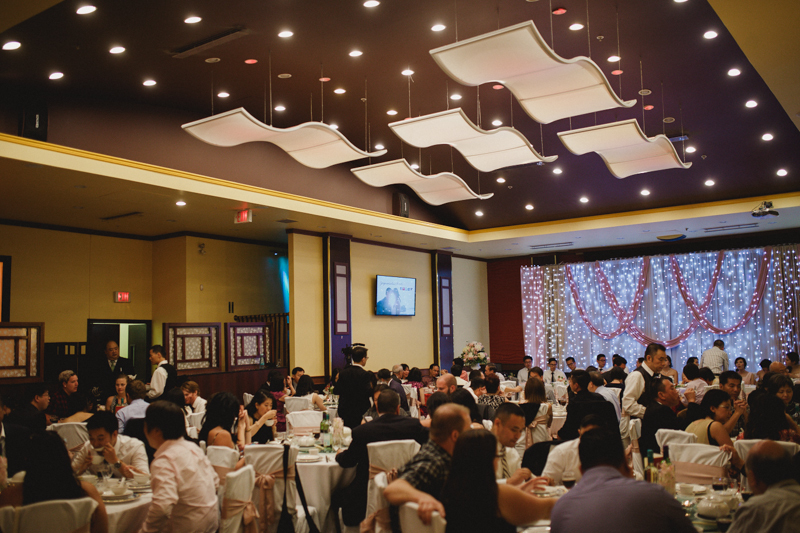 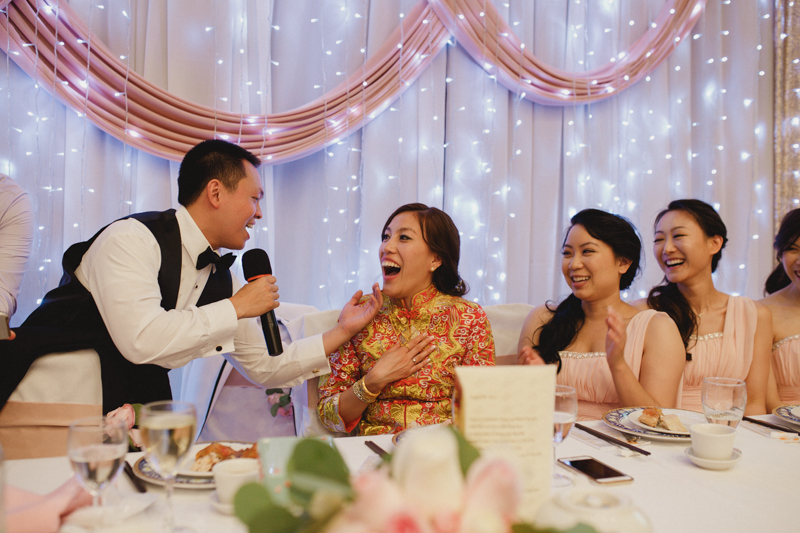 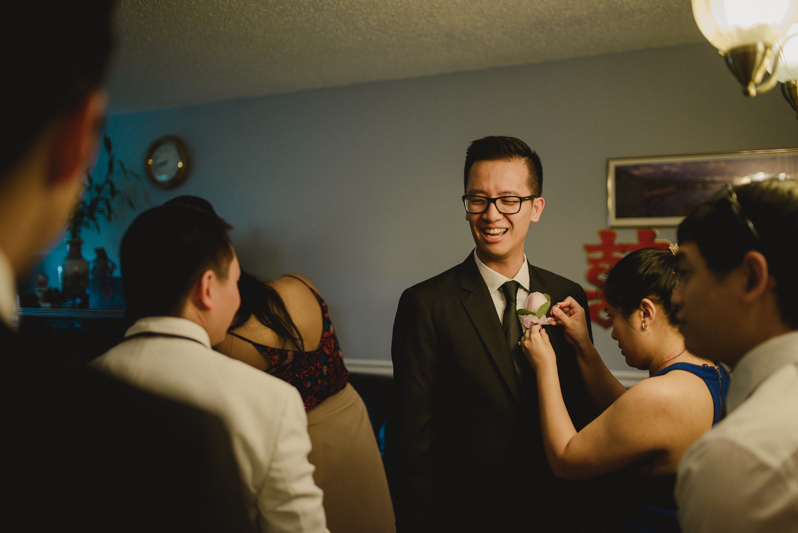 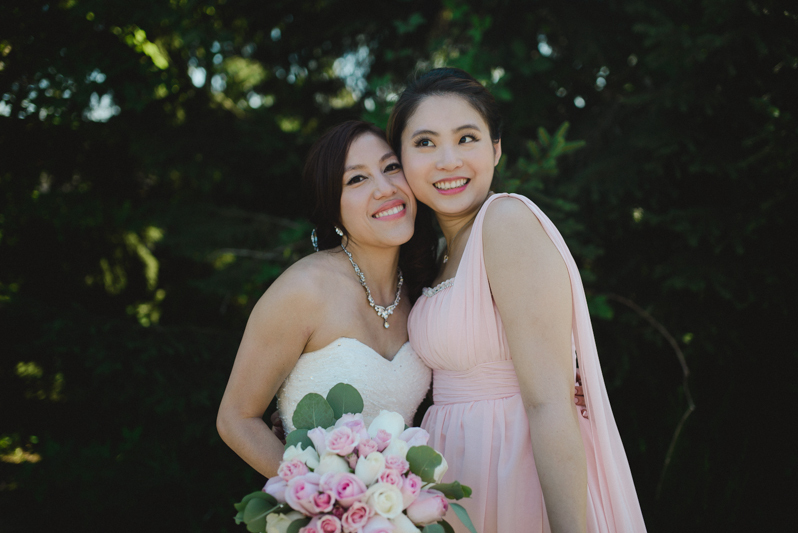 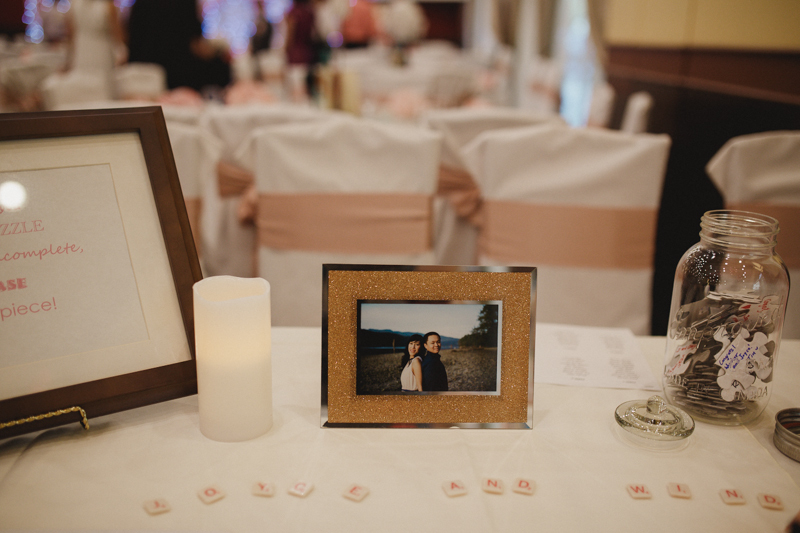 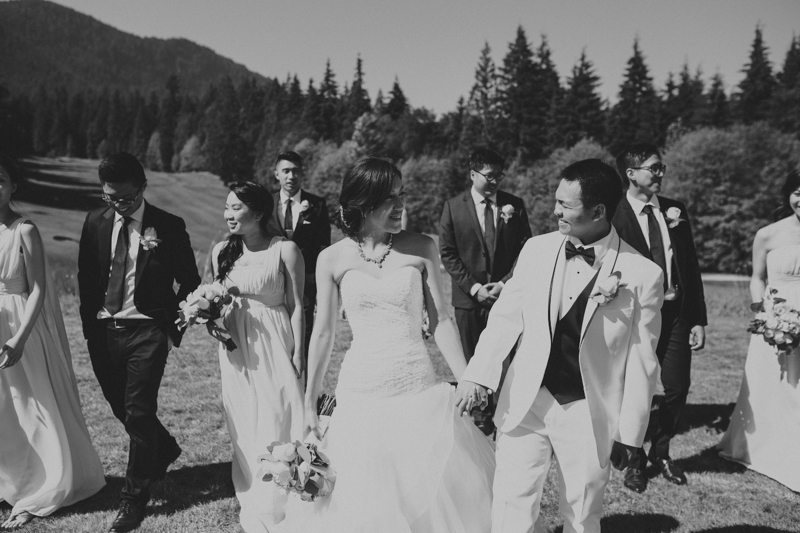 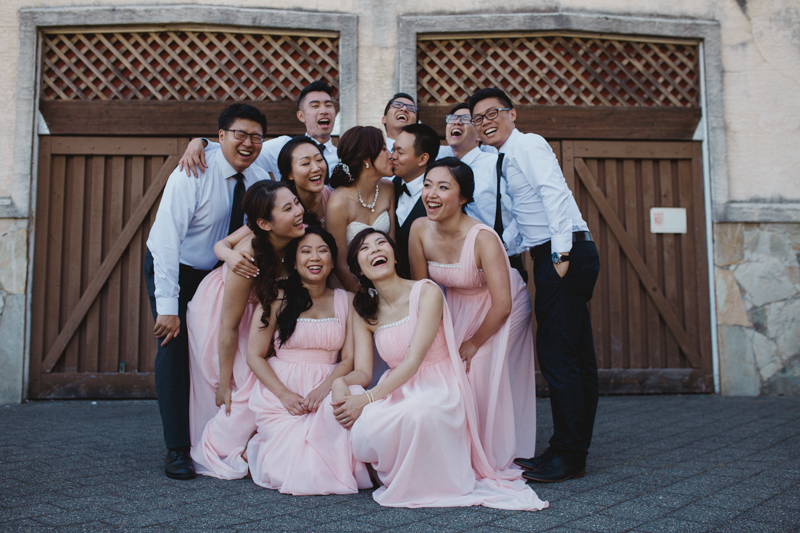 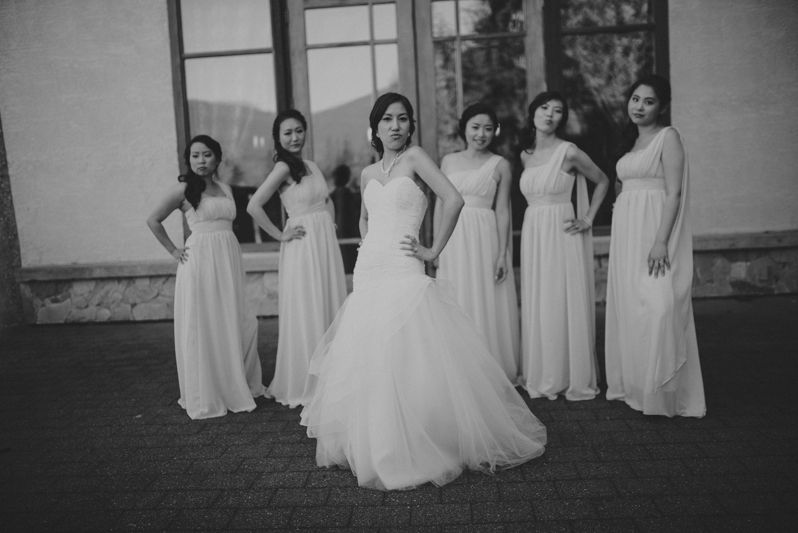 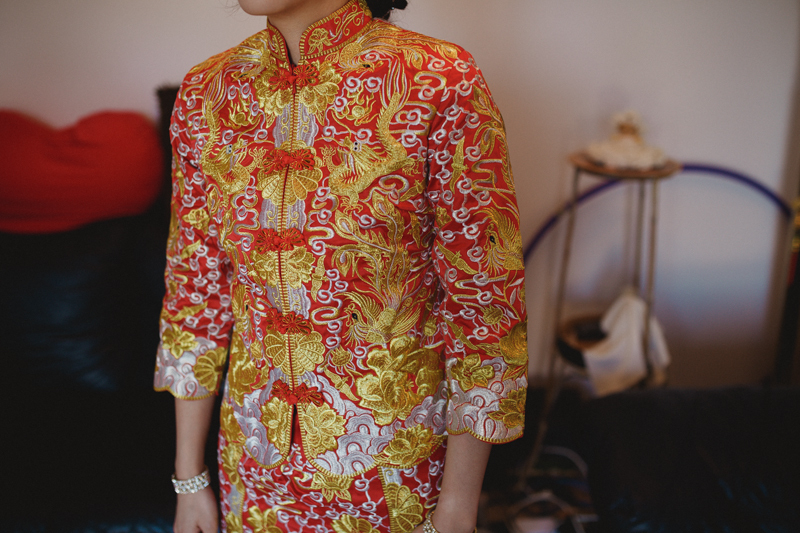 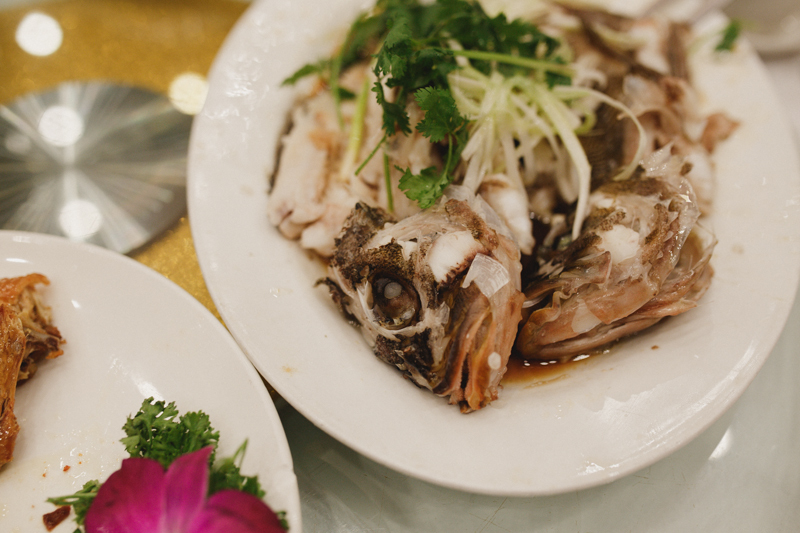 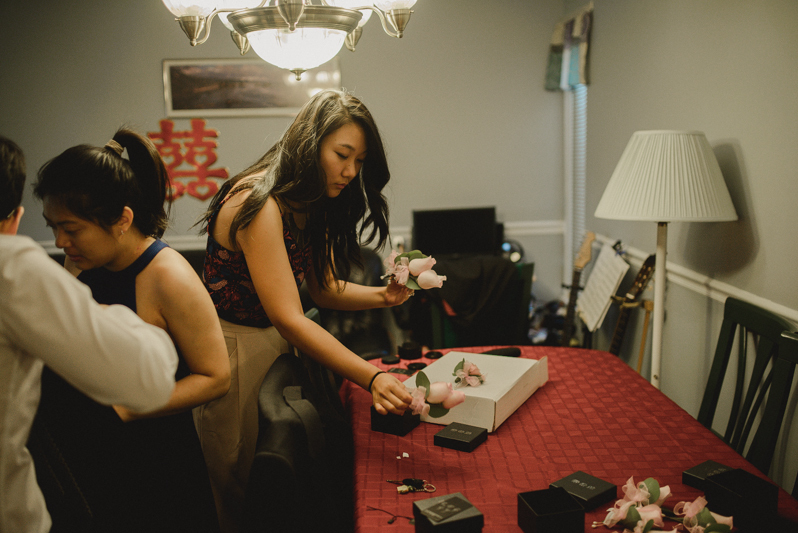 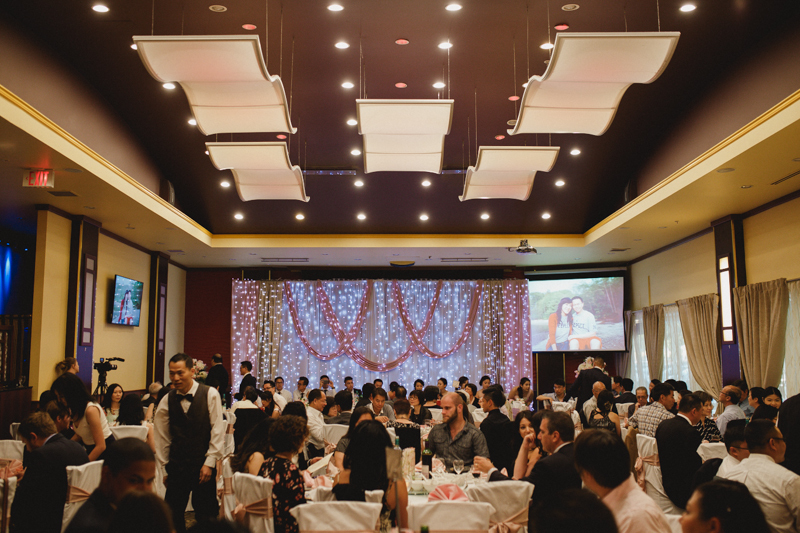 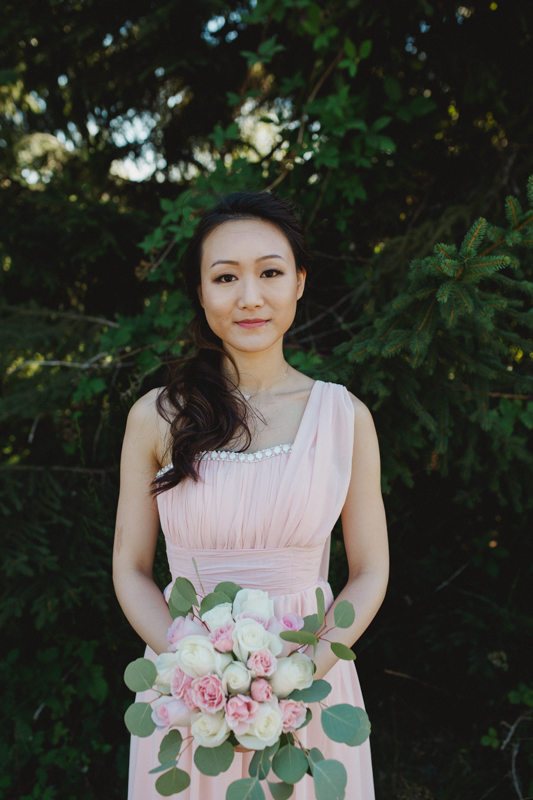 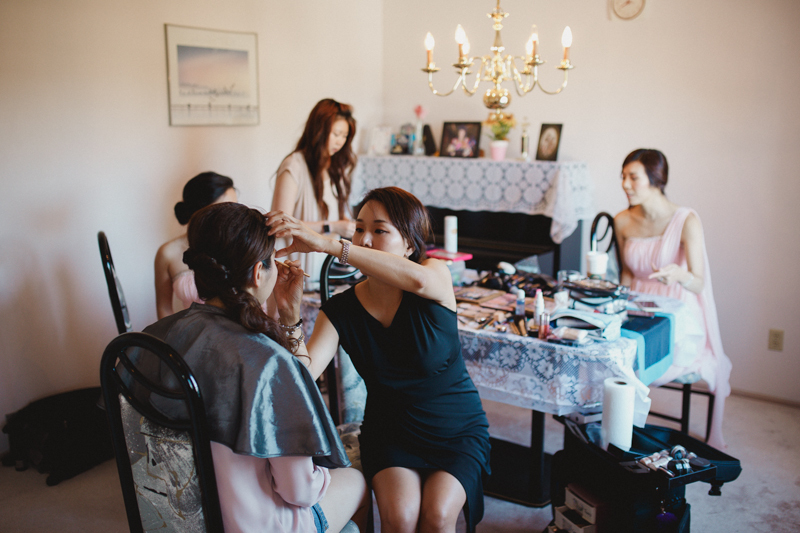 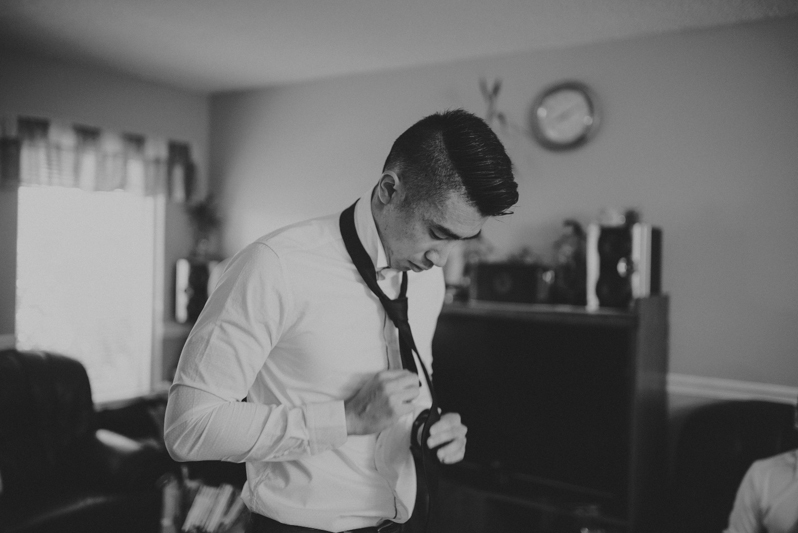 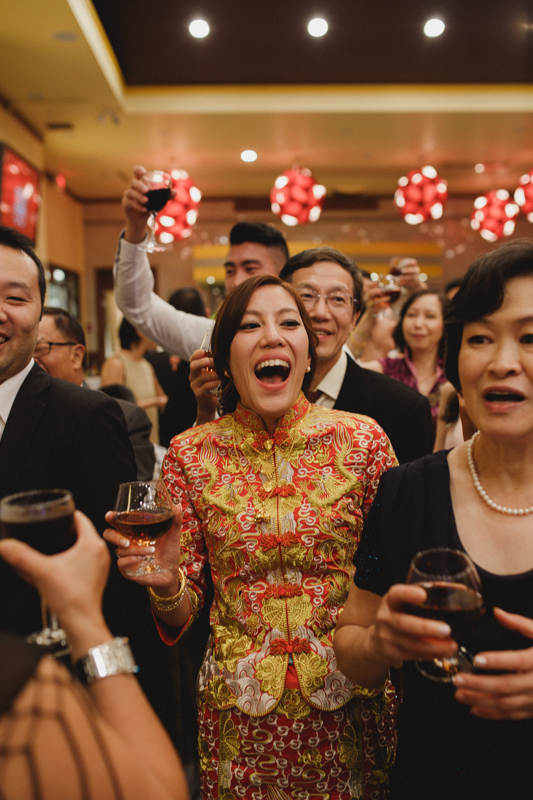 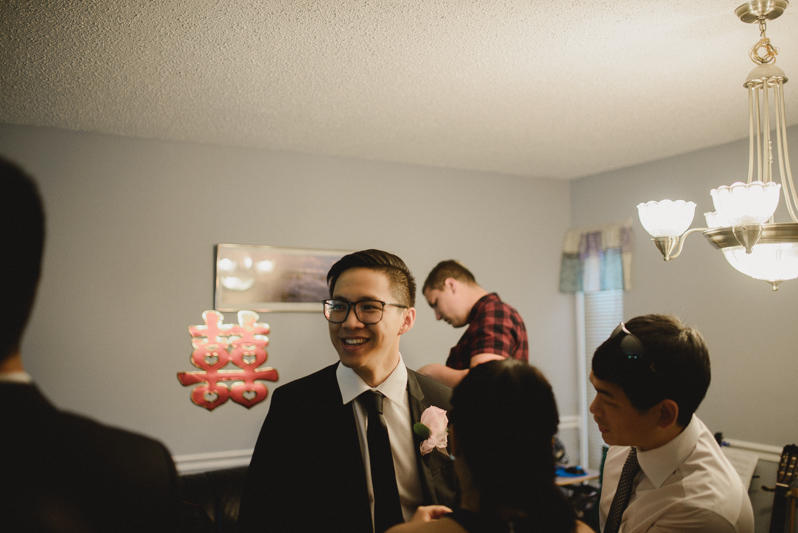 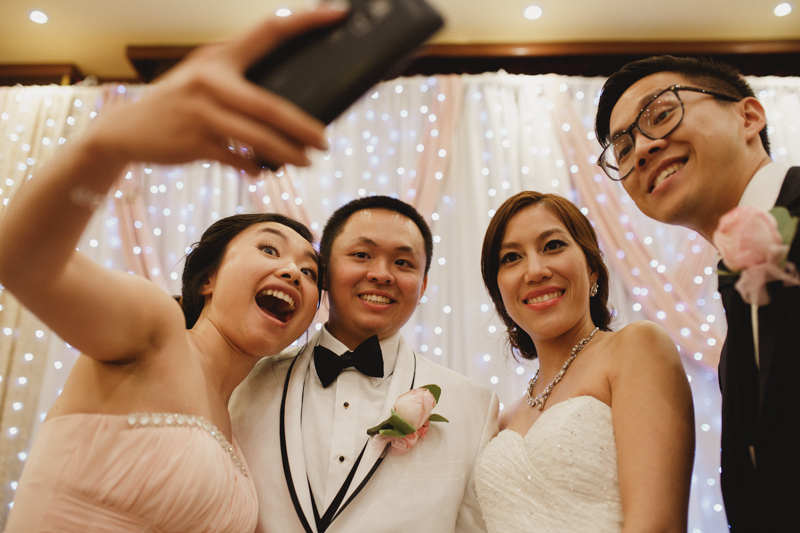 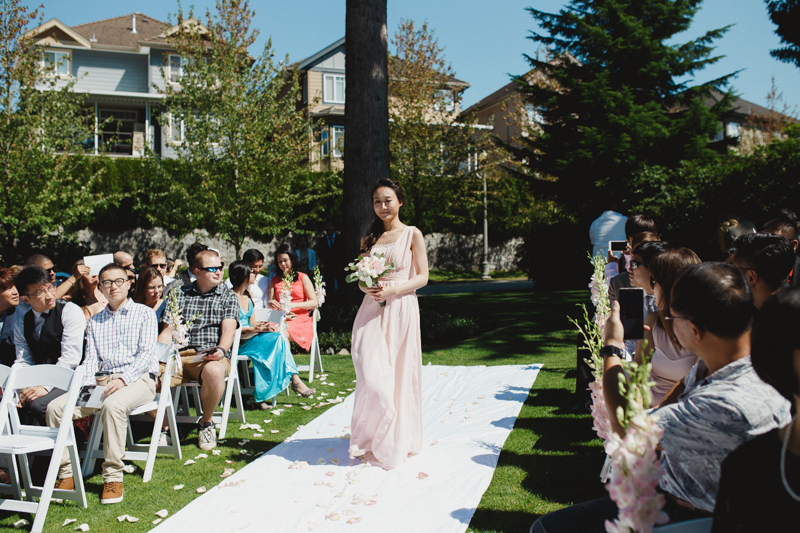 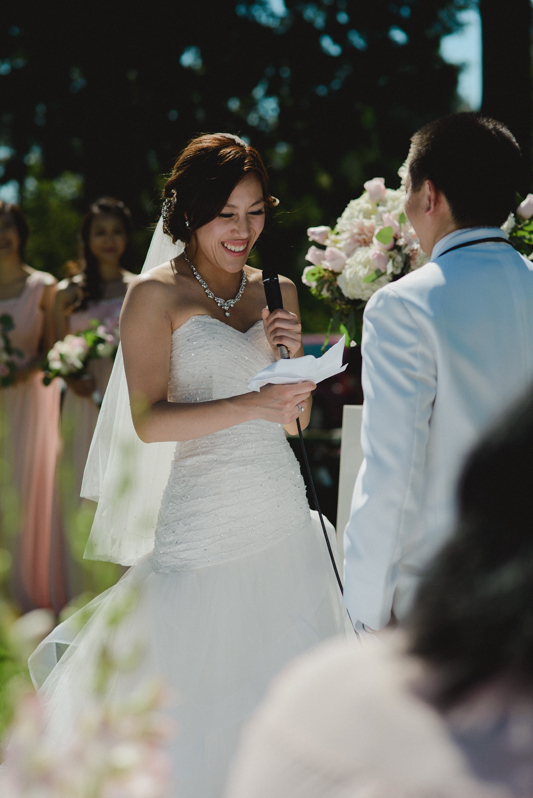 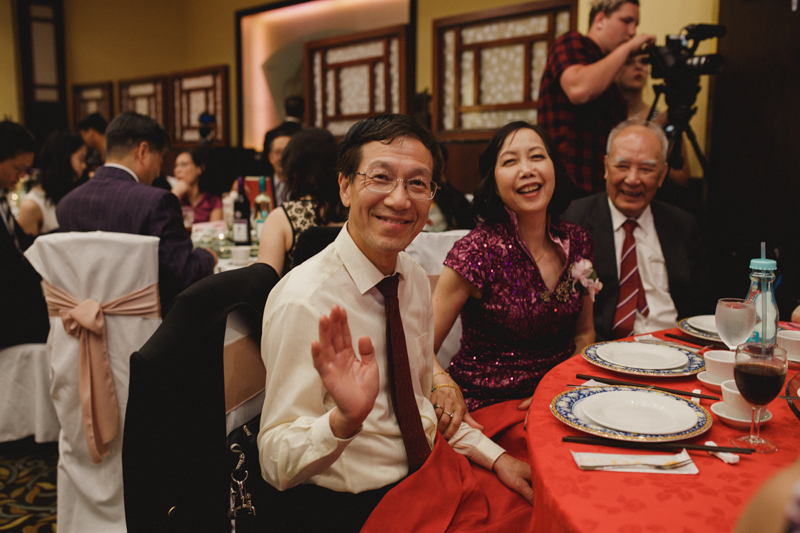 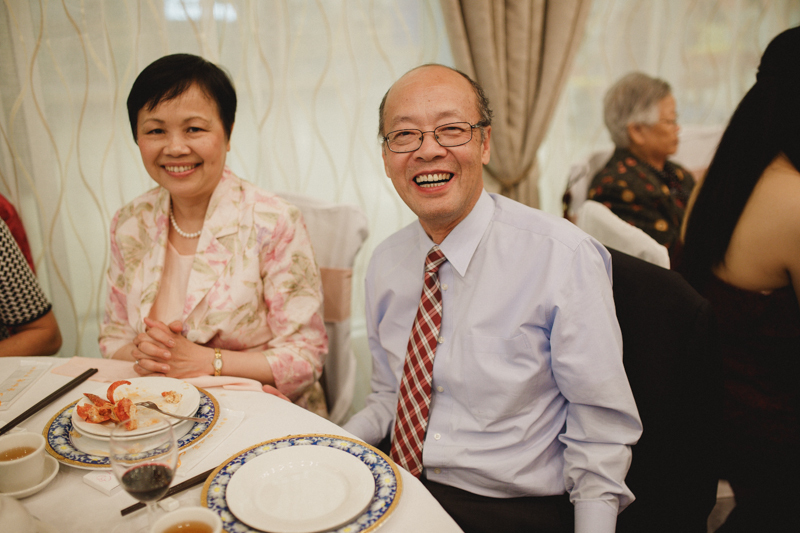 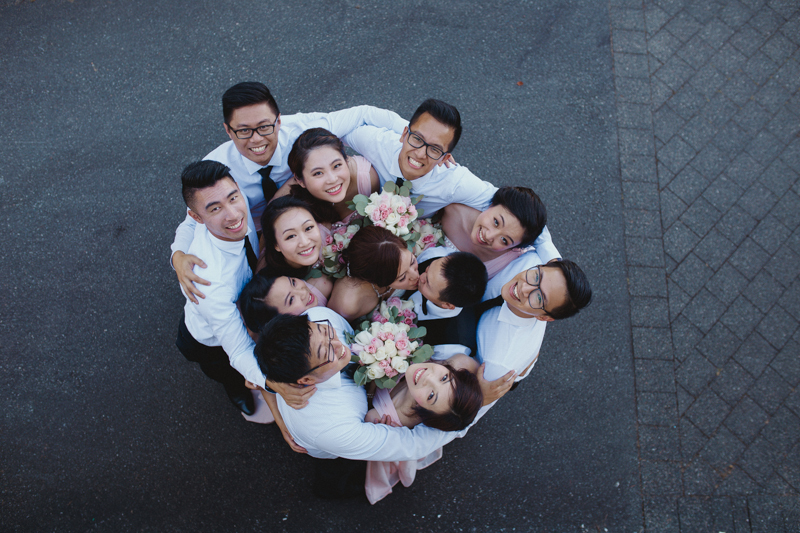 This past Saturday, I had the honour of shooting a beautiful, traditional Chinese wedding. 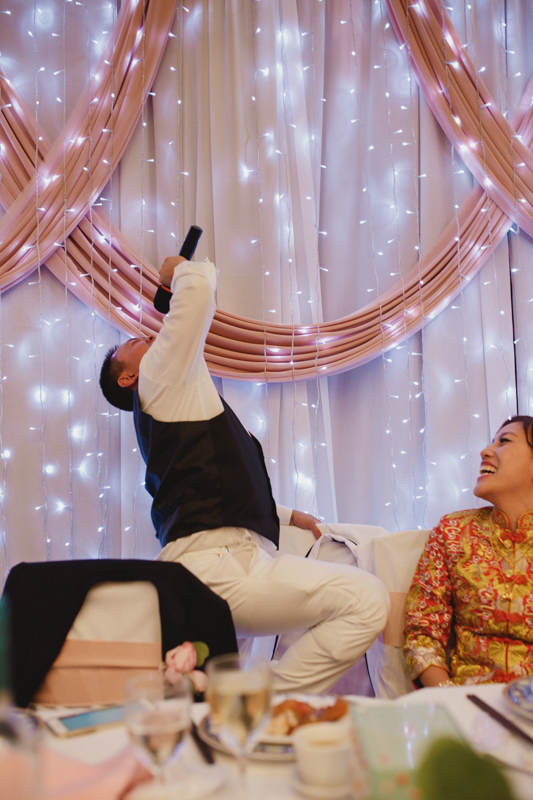 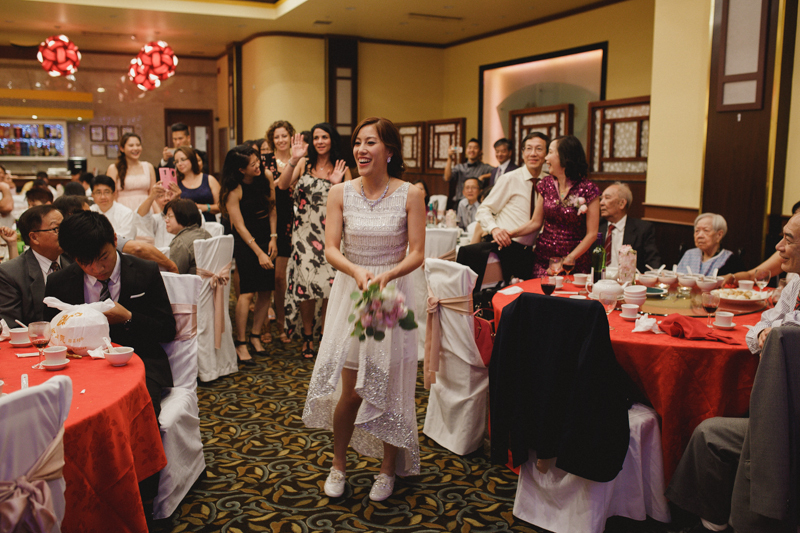 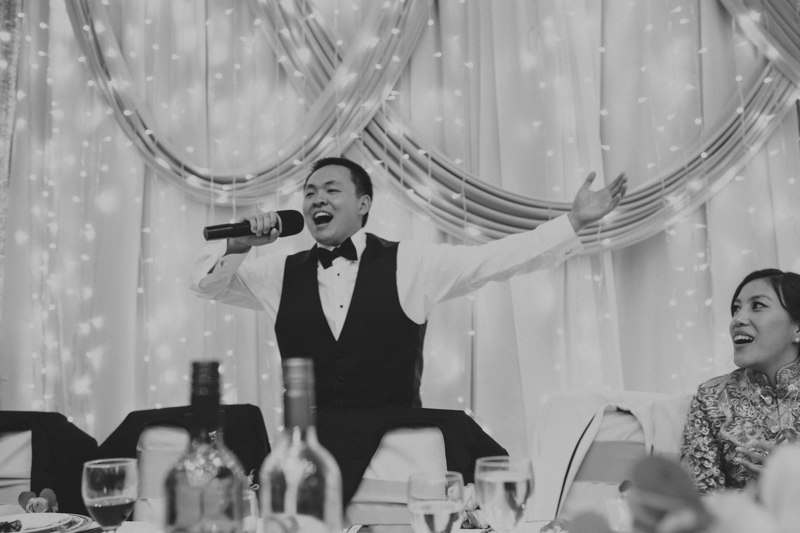 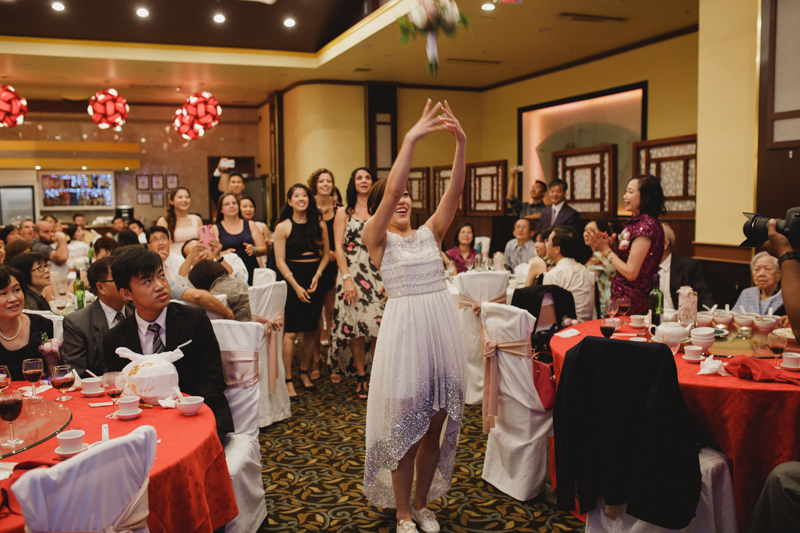 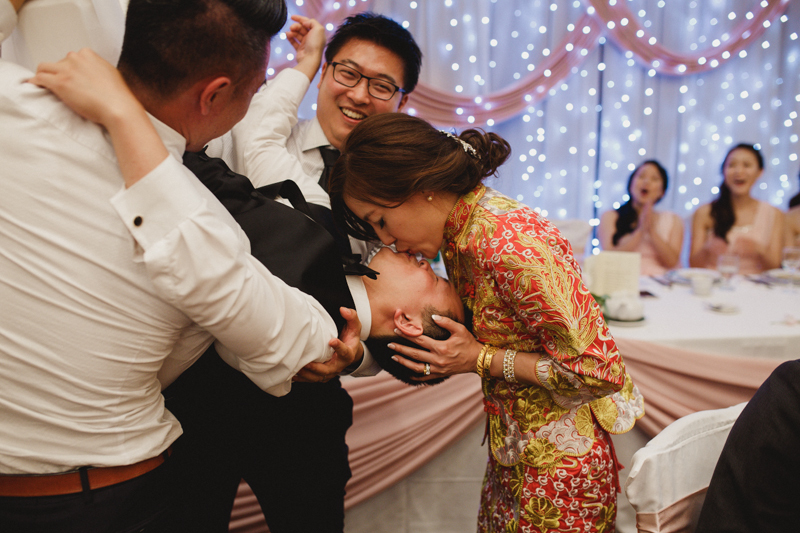 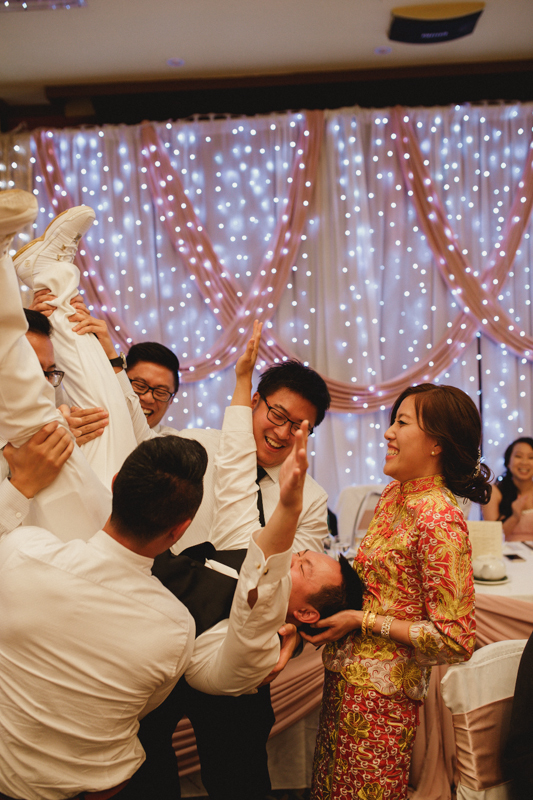 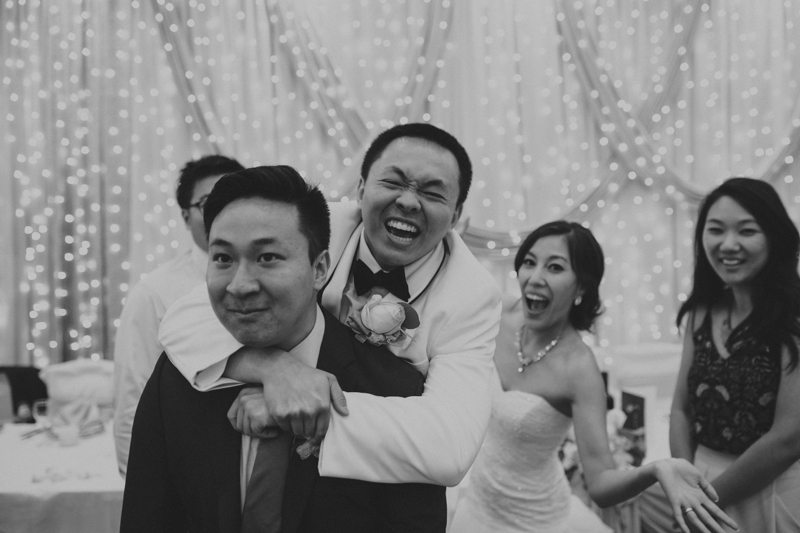 I’ve shot a few Chinese weddings, and each time, I always leave with a greater respect for emphasis of honour in their culture. 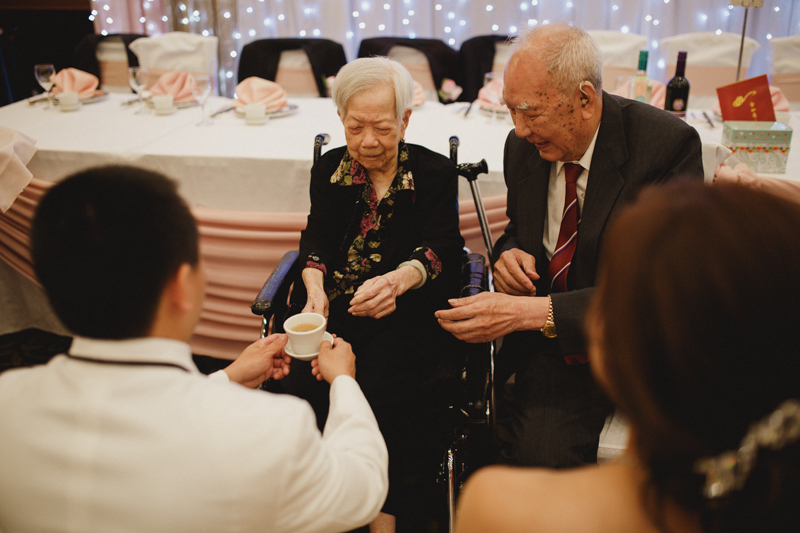 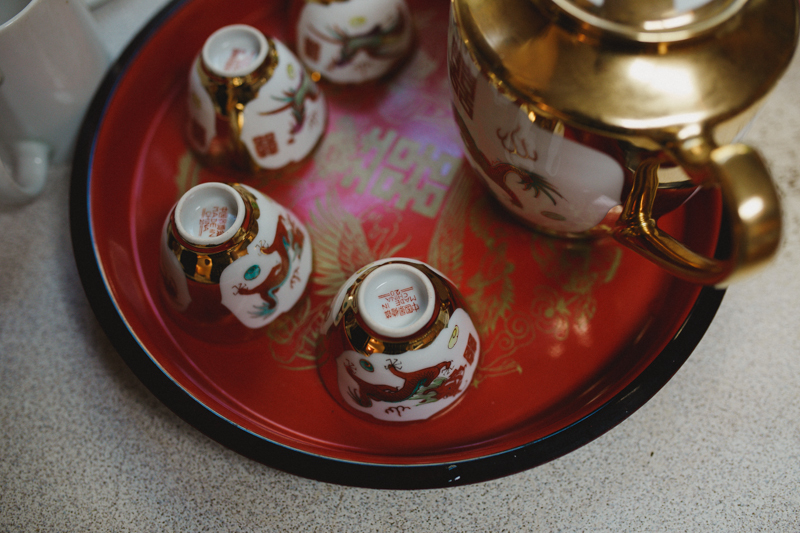 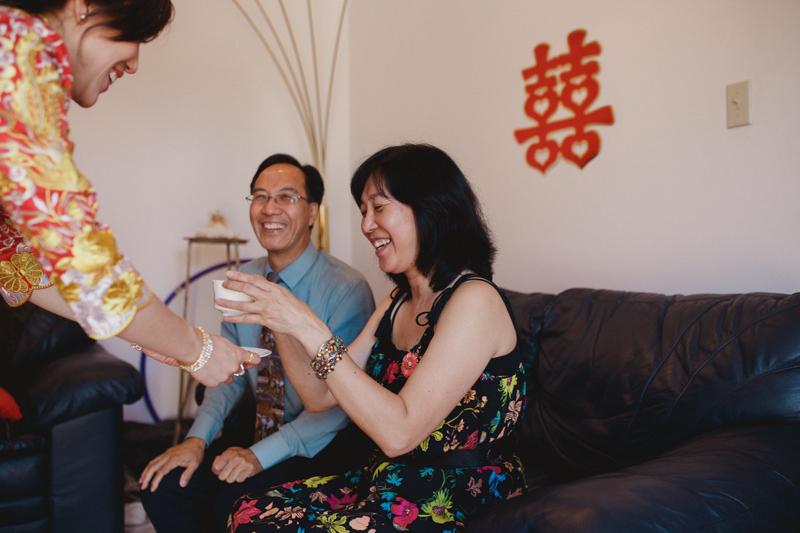 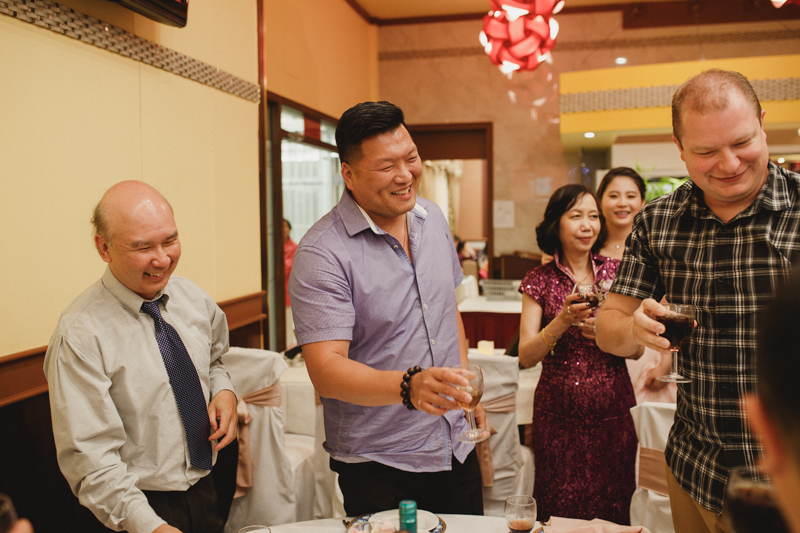 For a day that our western world has made so much about the bride and groom, the Chinese culture does such a wonderful job honouring their elders and family through the traditional tea ceremonies that happen in the morning. 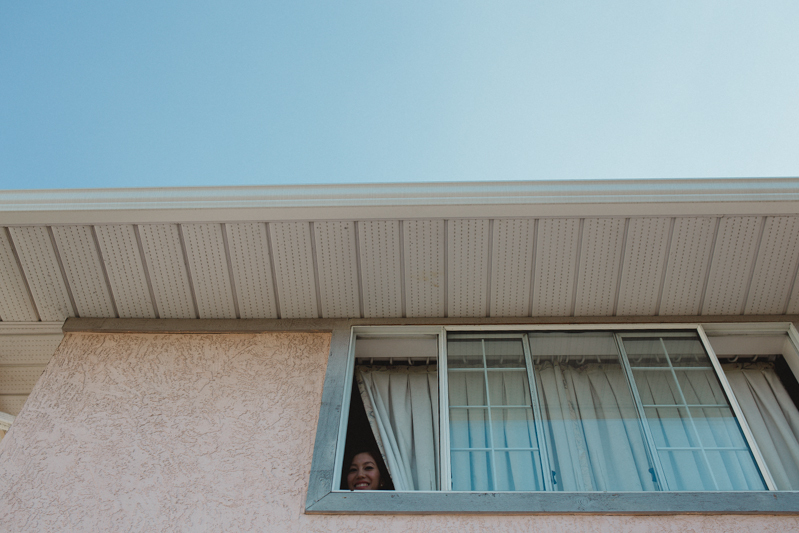 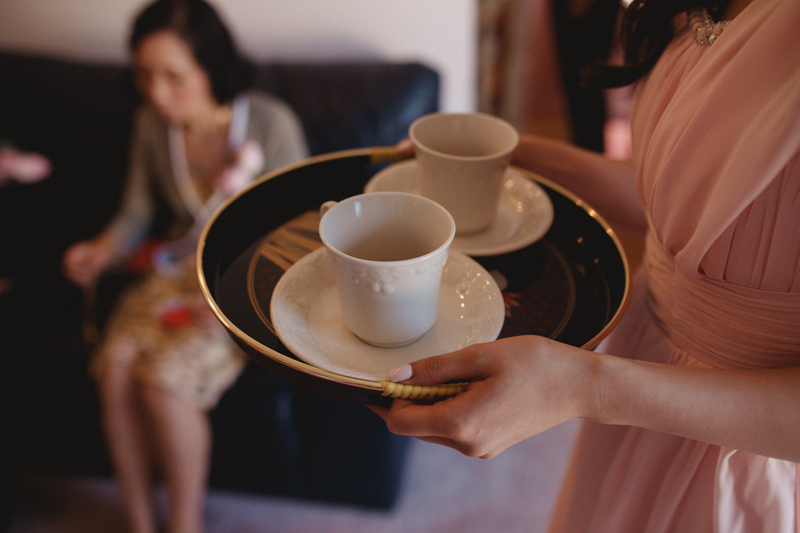 They serve their family members tea, and then they respond with a blessing for the couple and a gift for each of them. 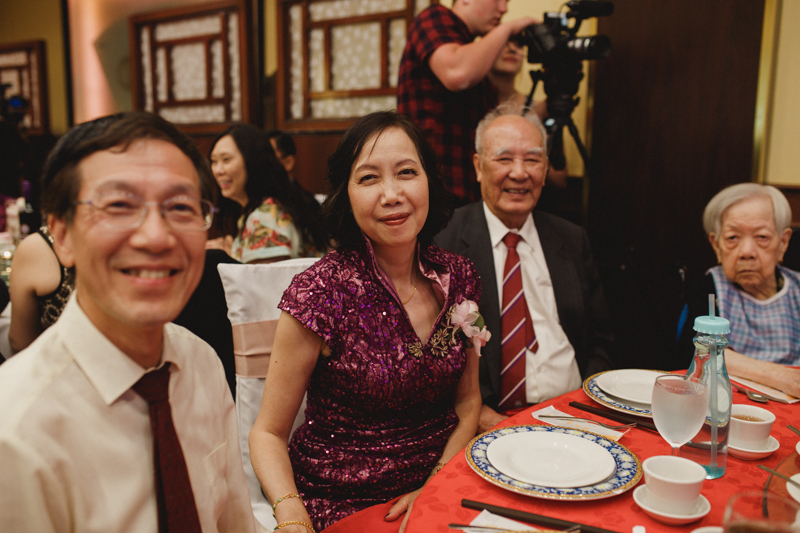 I just love the fact that there is time set aside to really honour those that have played such a significant role in bringing you to the place you are today. 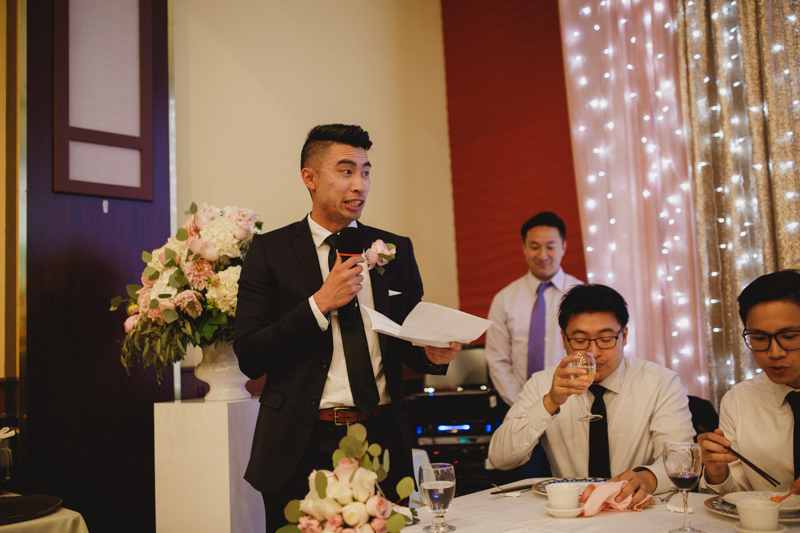 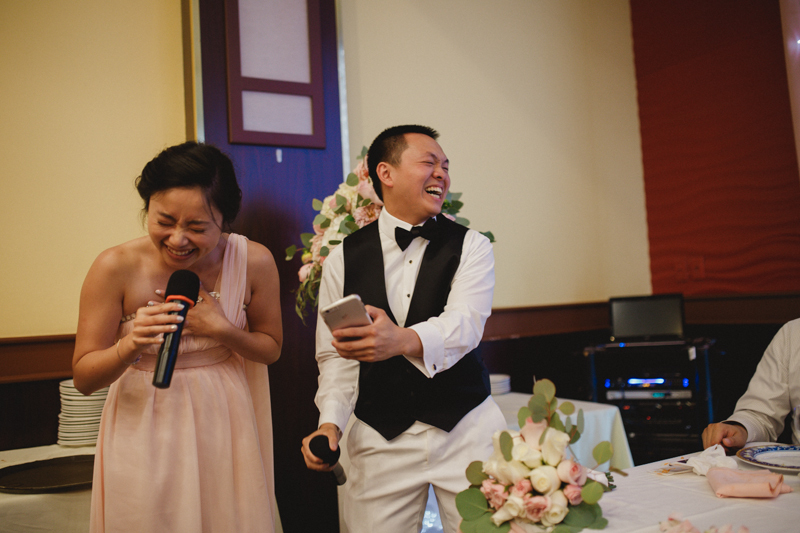 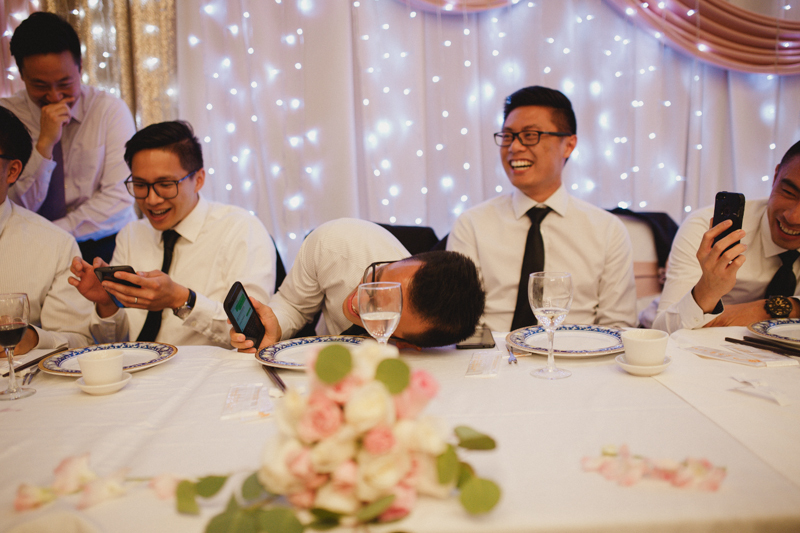 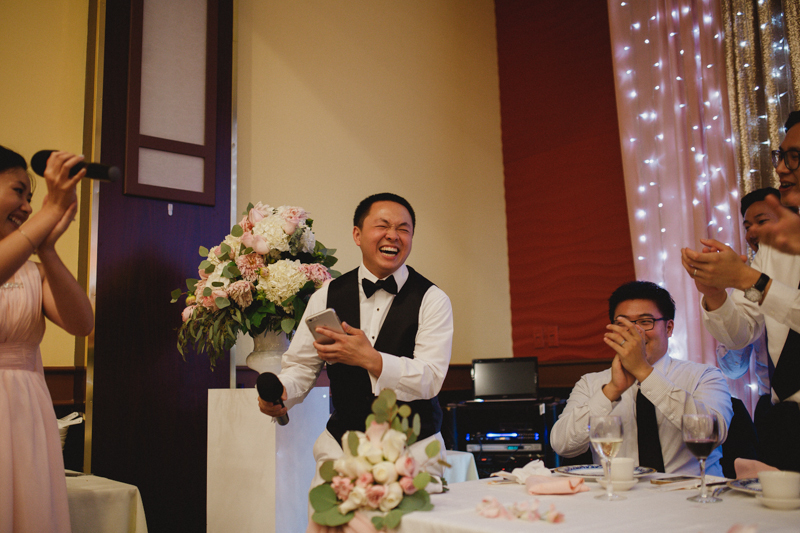 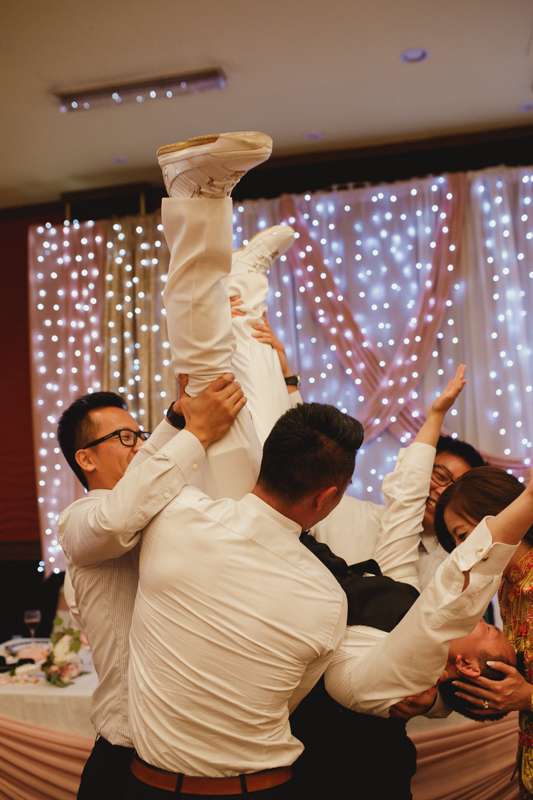 On top of the traditions, the wedding party was HILARIOUS. 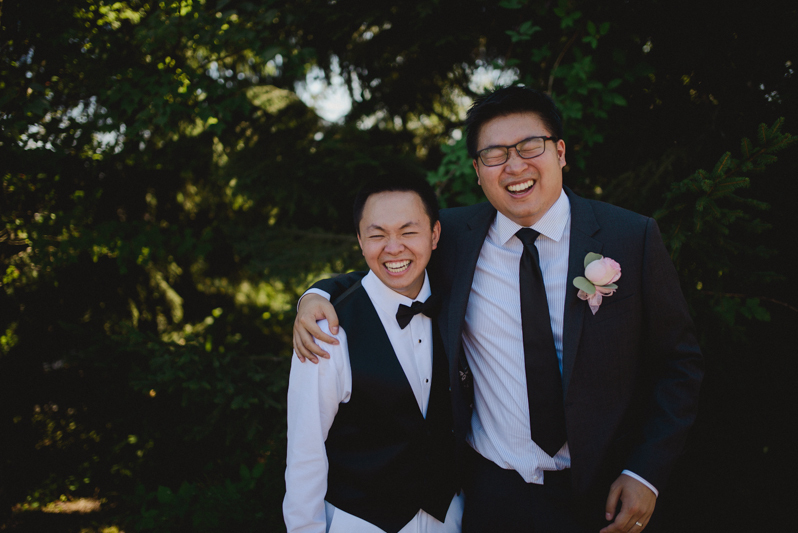 You’ll easily gather that from the photos below, but oh my – I hadn’t laughed that hard during photography in a long time. 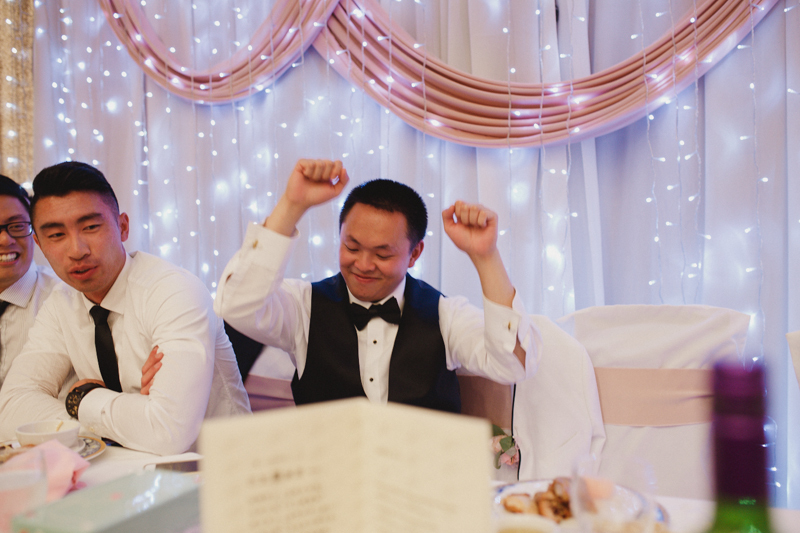 Enjoy these highlights! 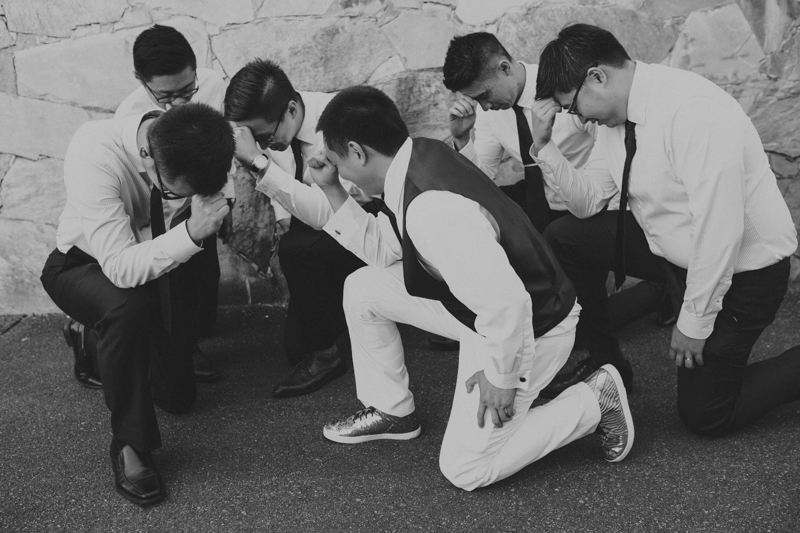 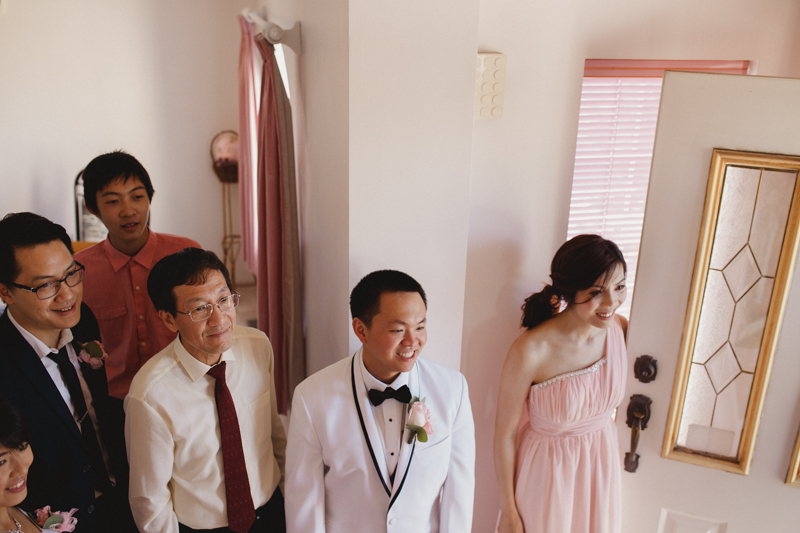 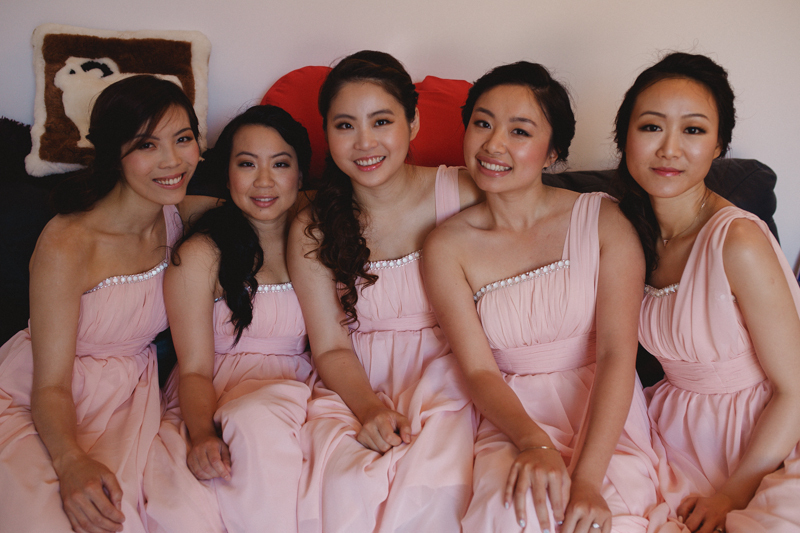 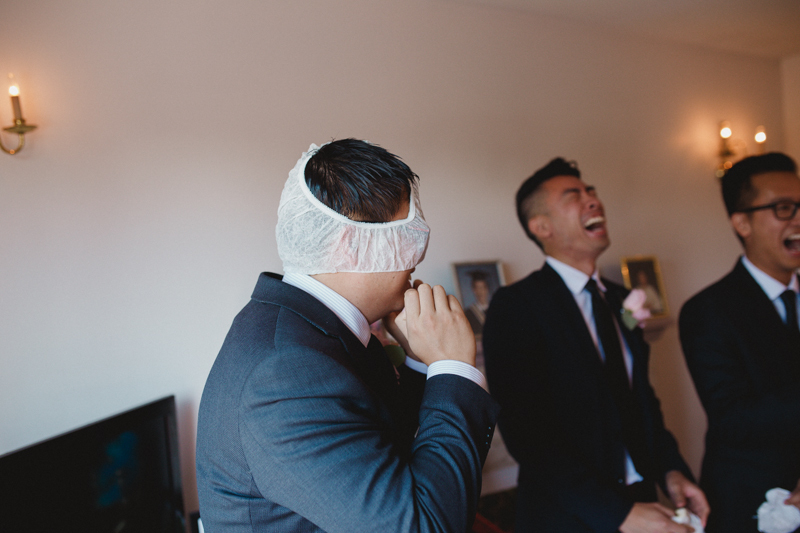 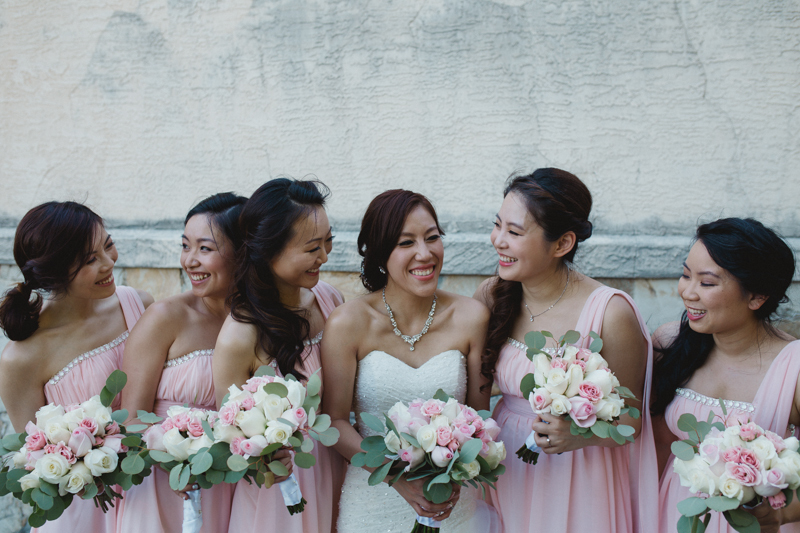 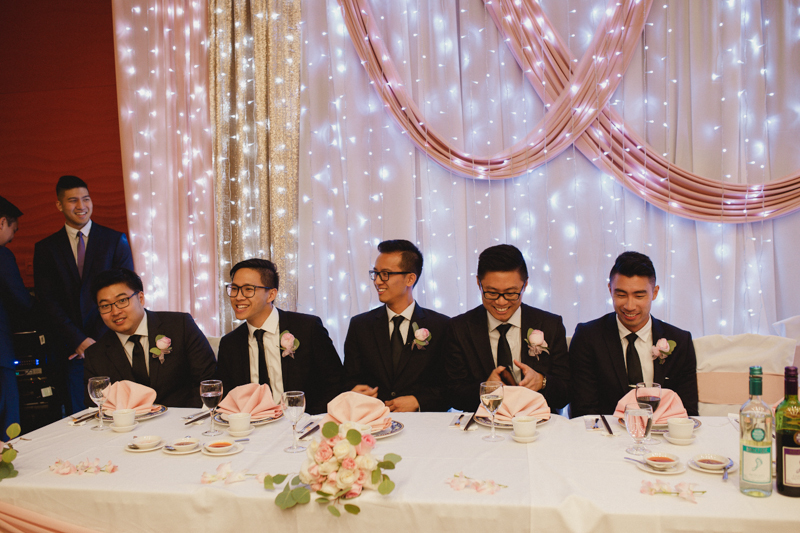 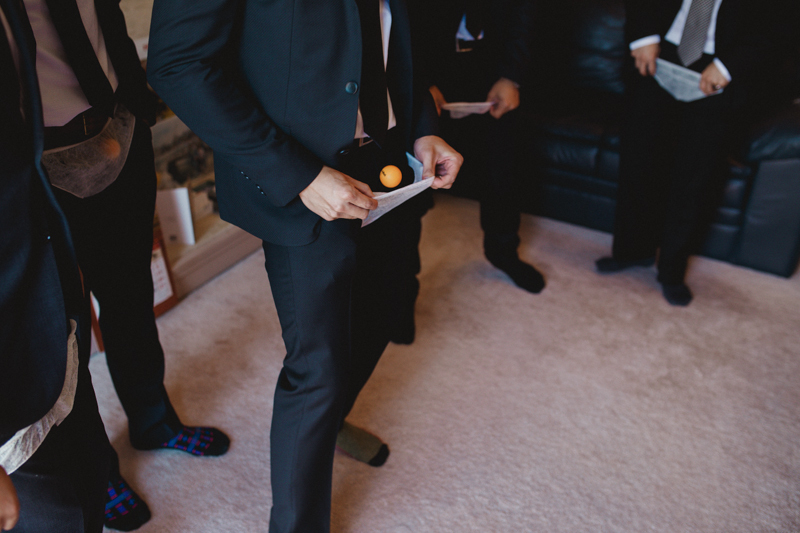 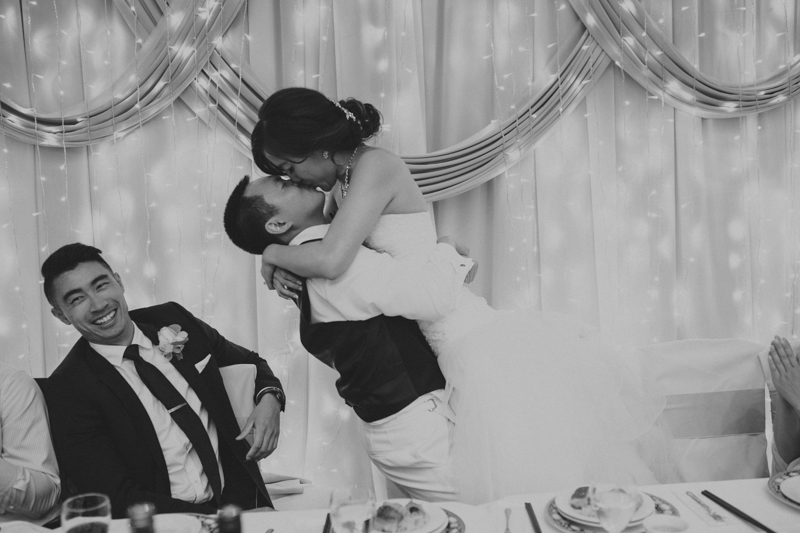 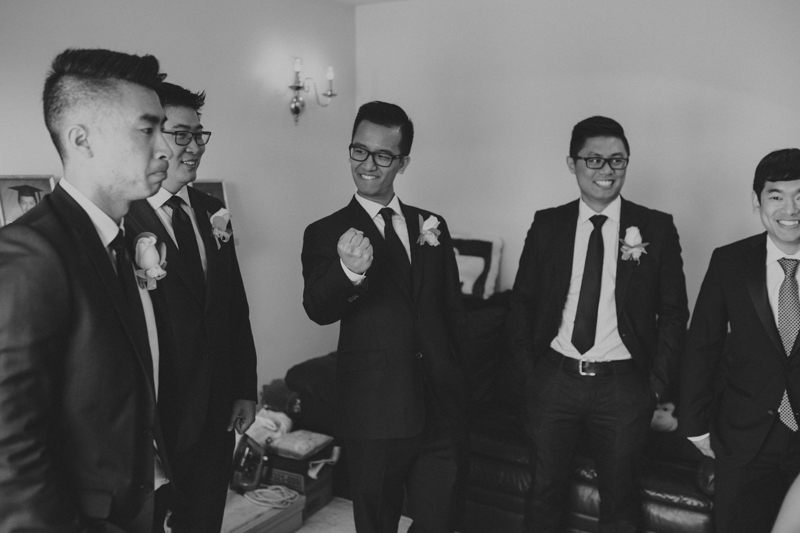 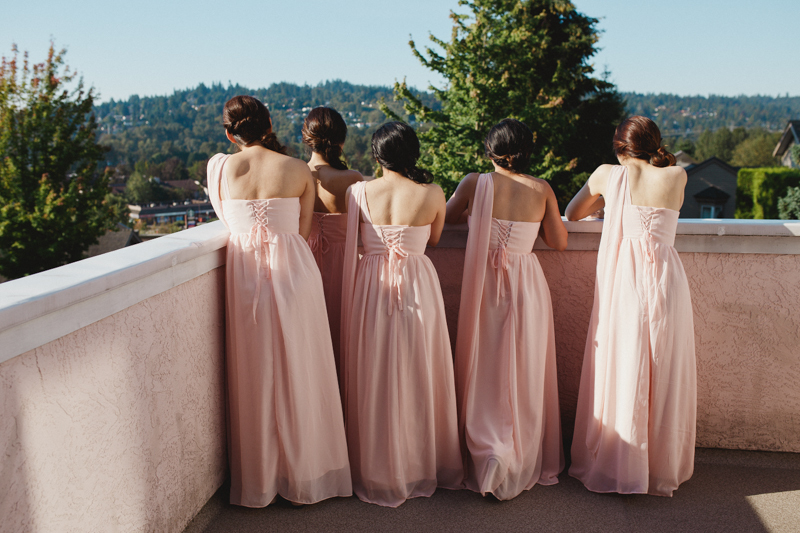 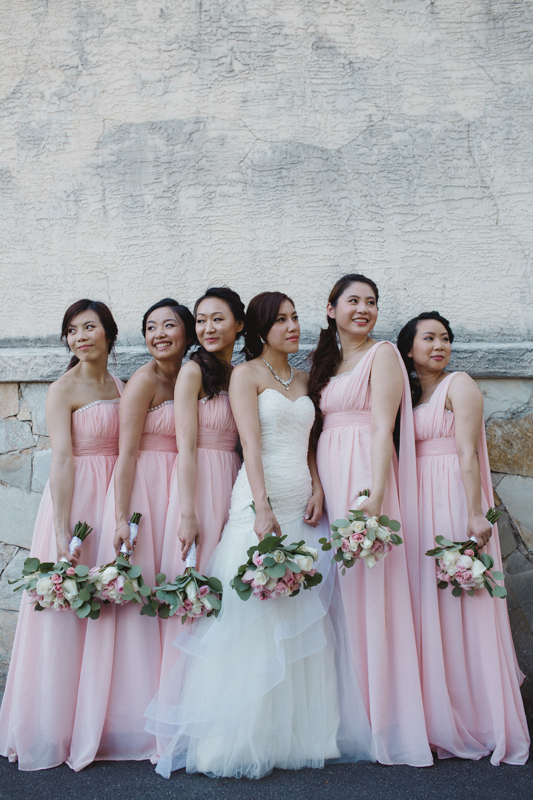 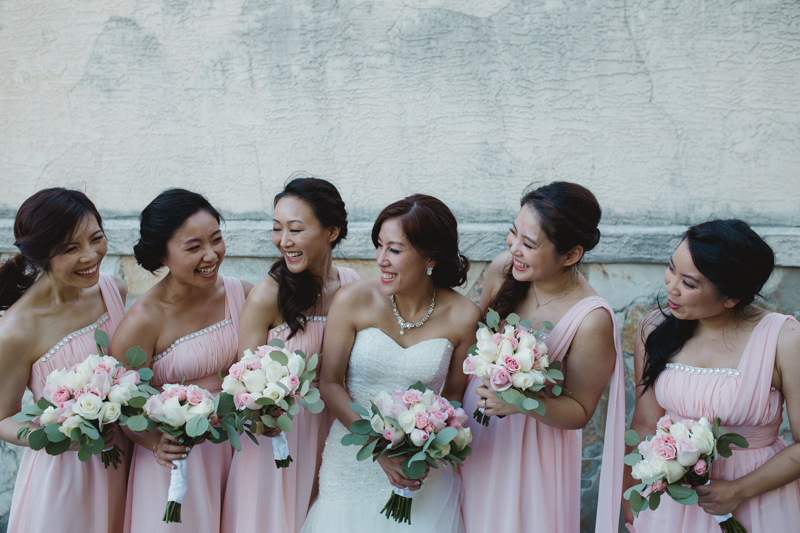 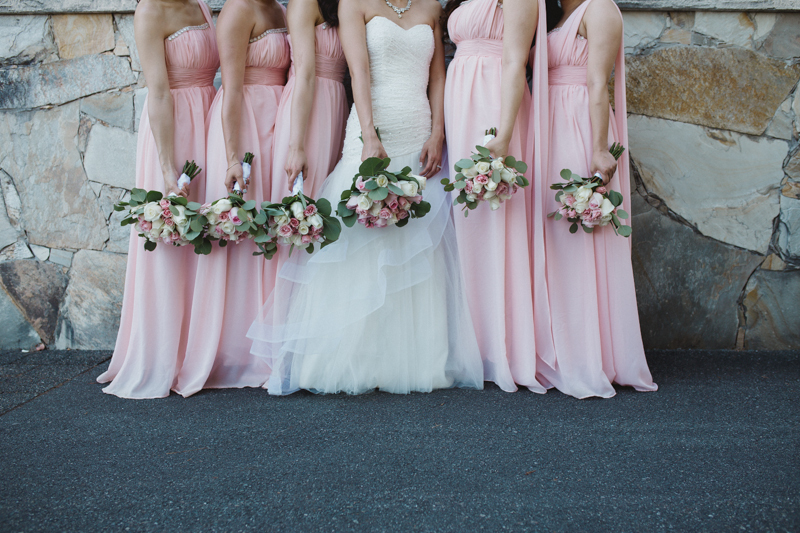 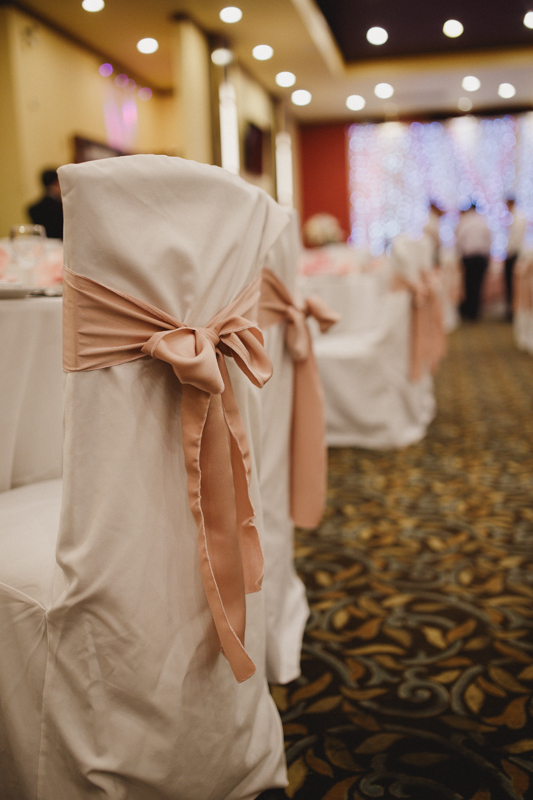 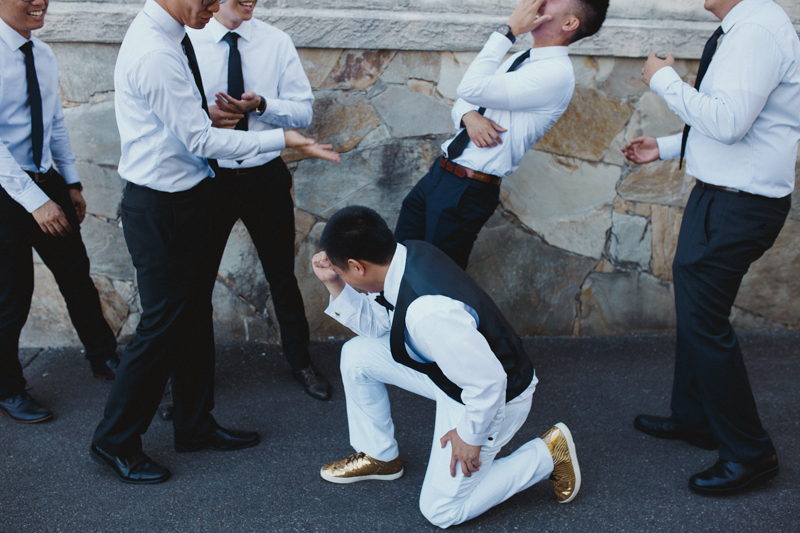 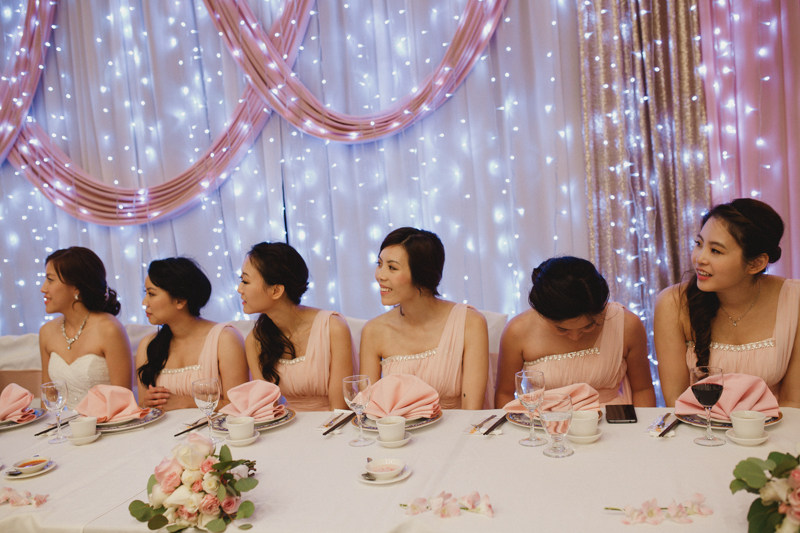 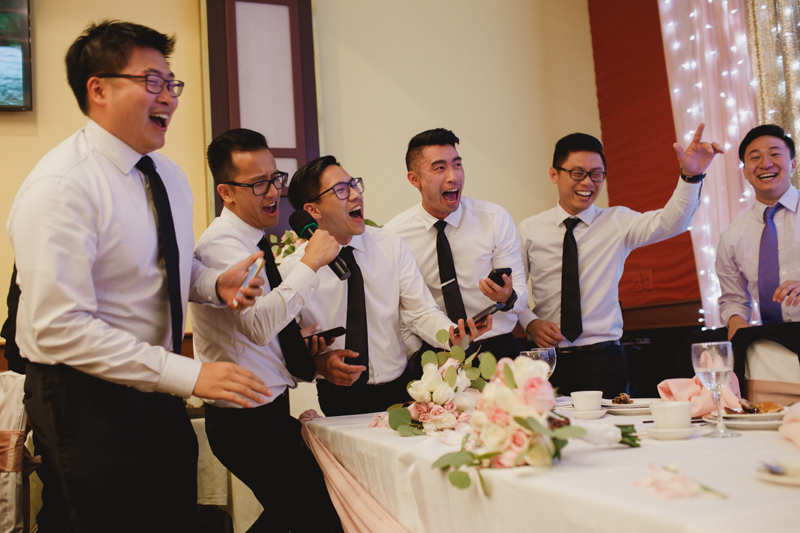 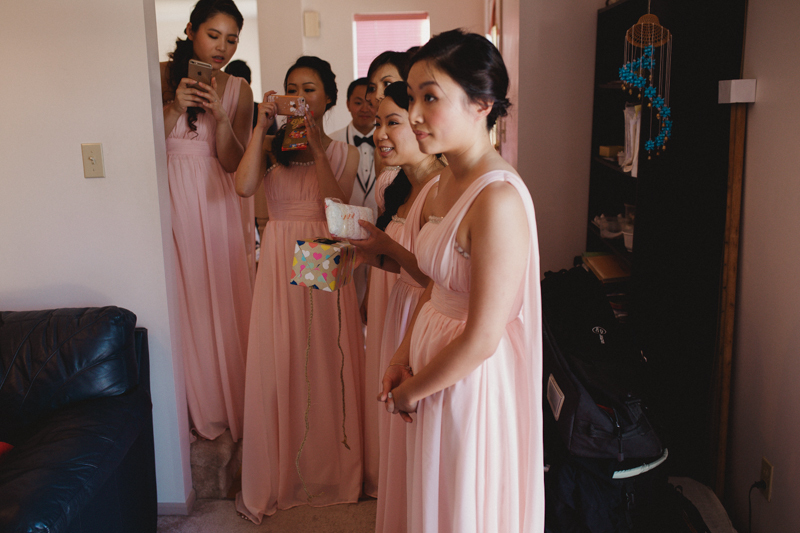 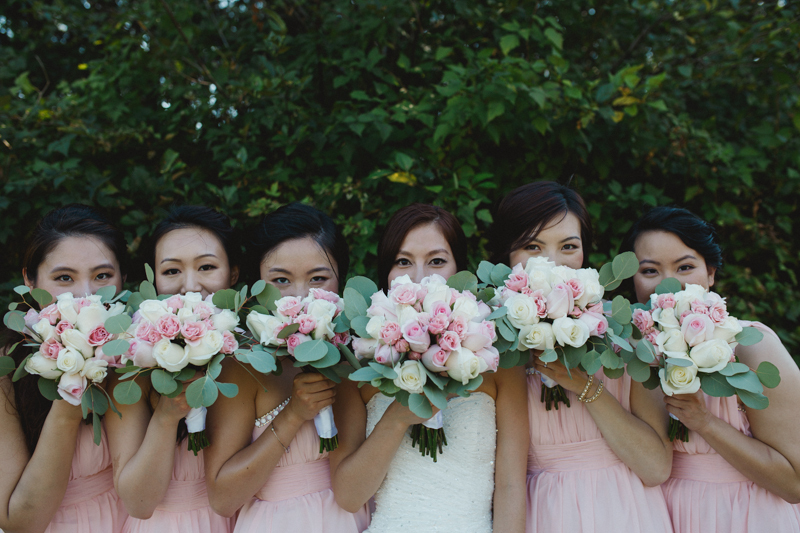 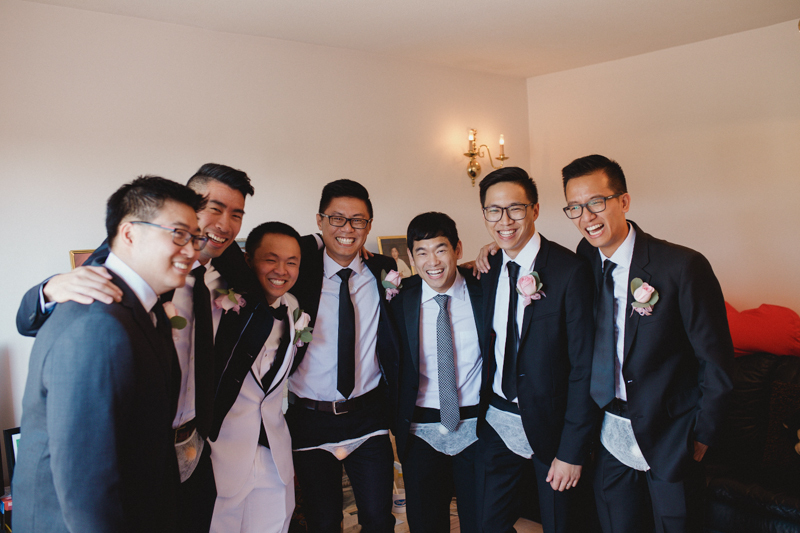 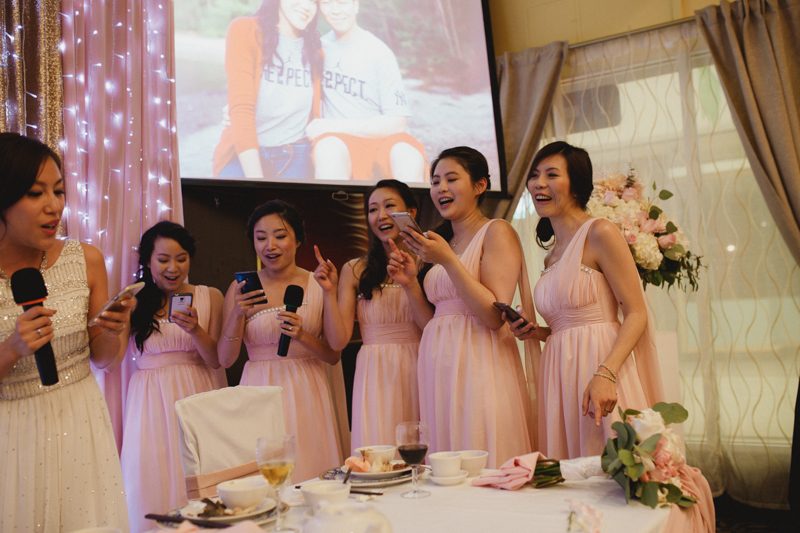 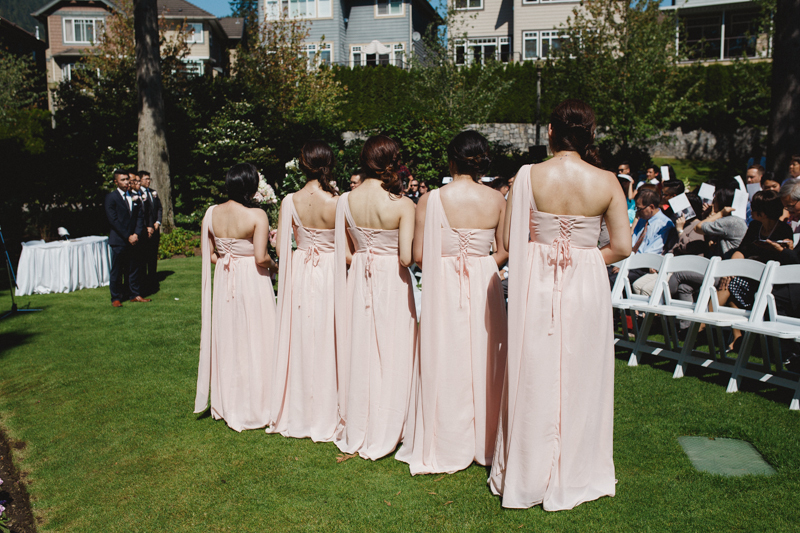 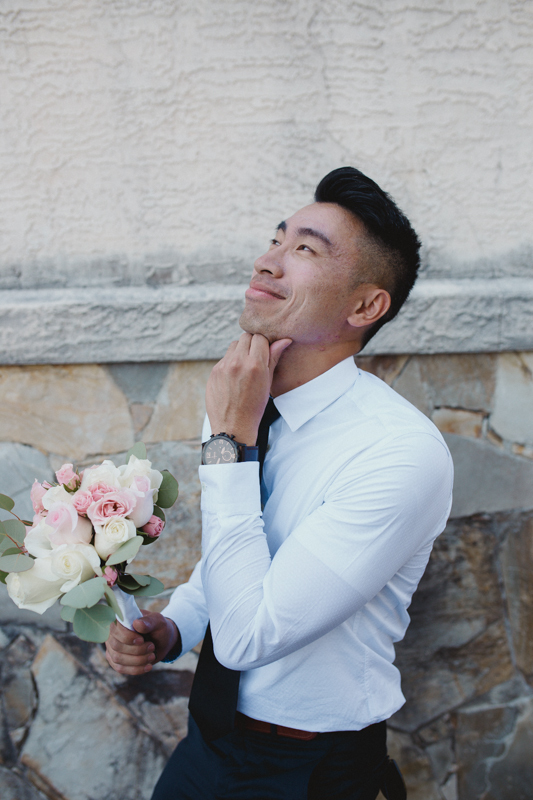 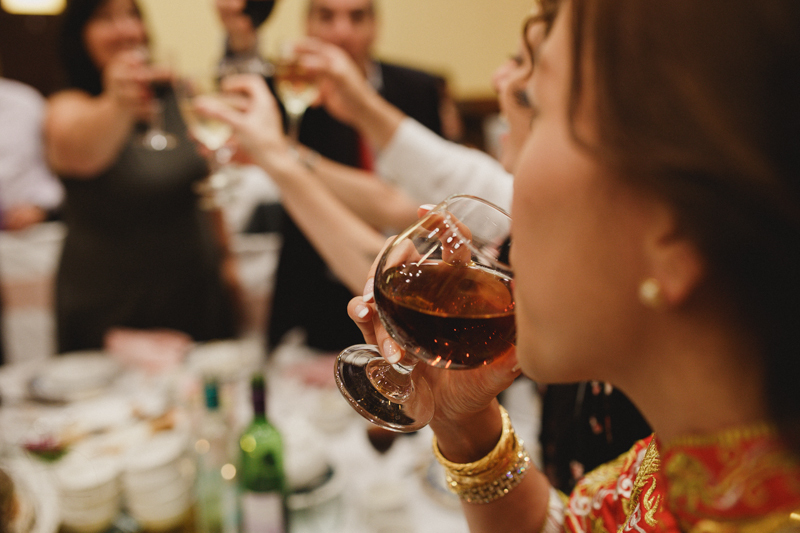 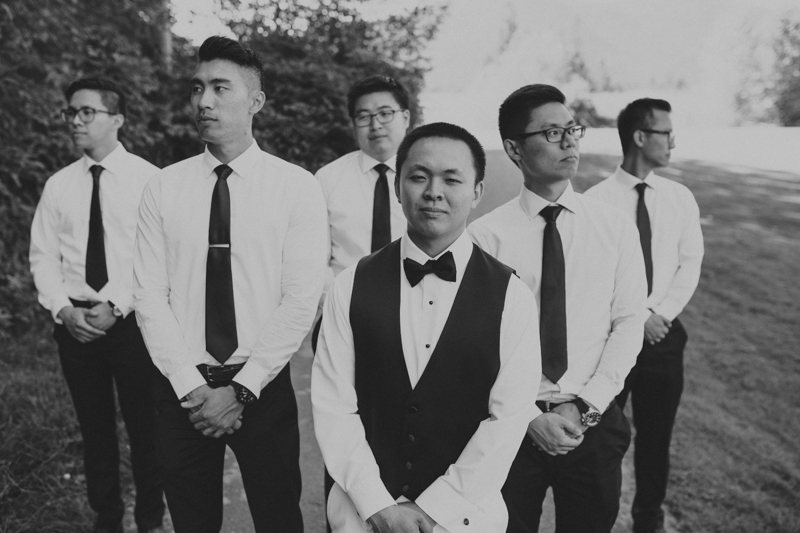 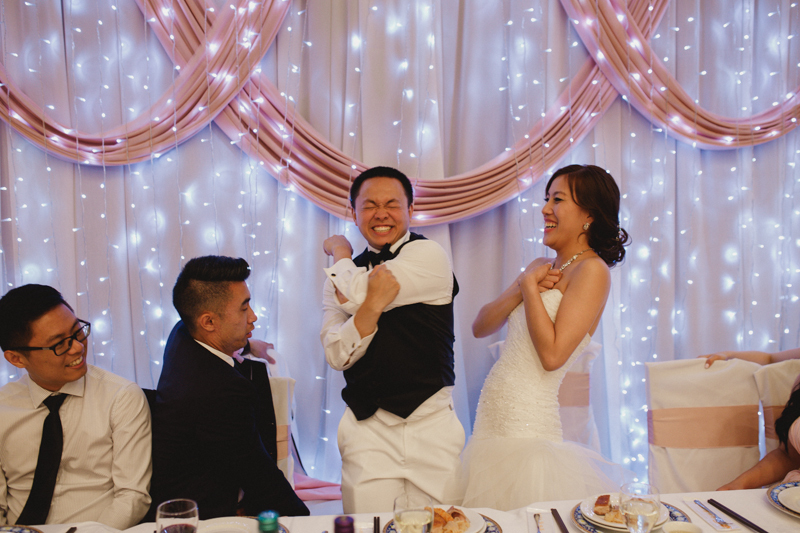 Before the groom can enter the home, he needs to pass a series of challenges that the bridesmaids put him through. 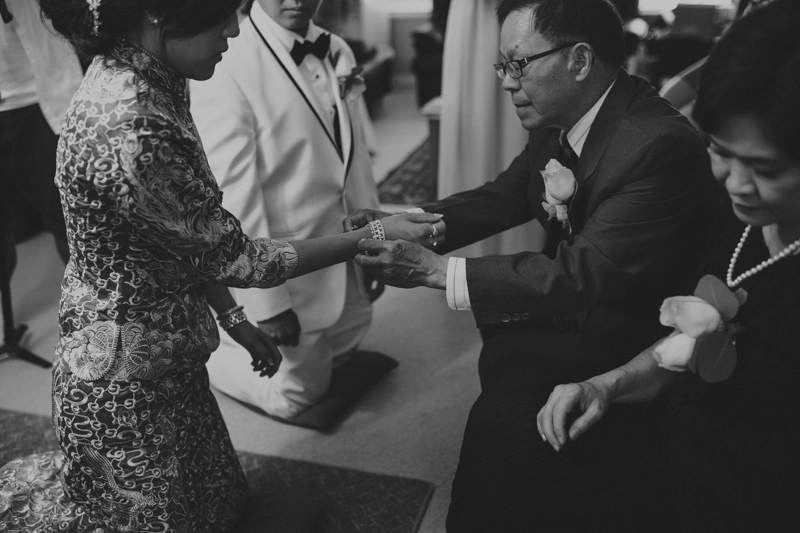 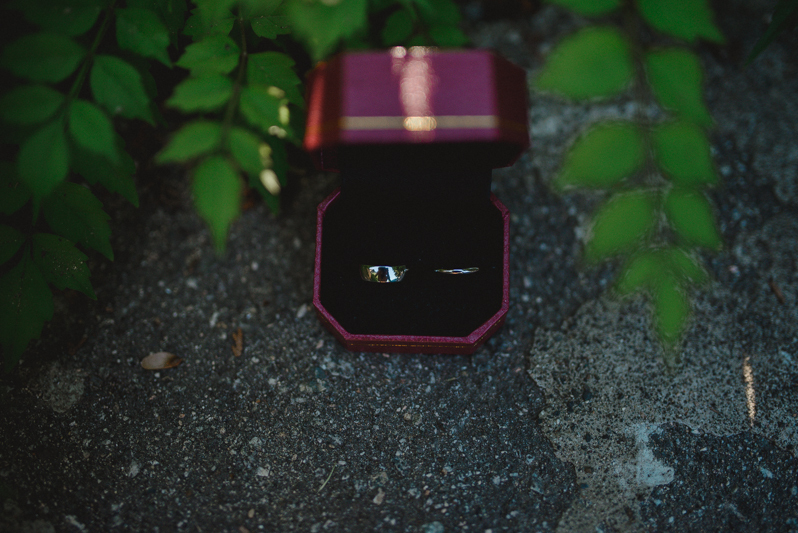 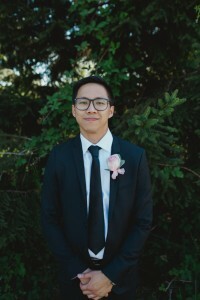 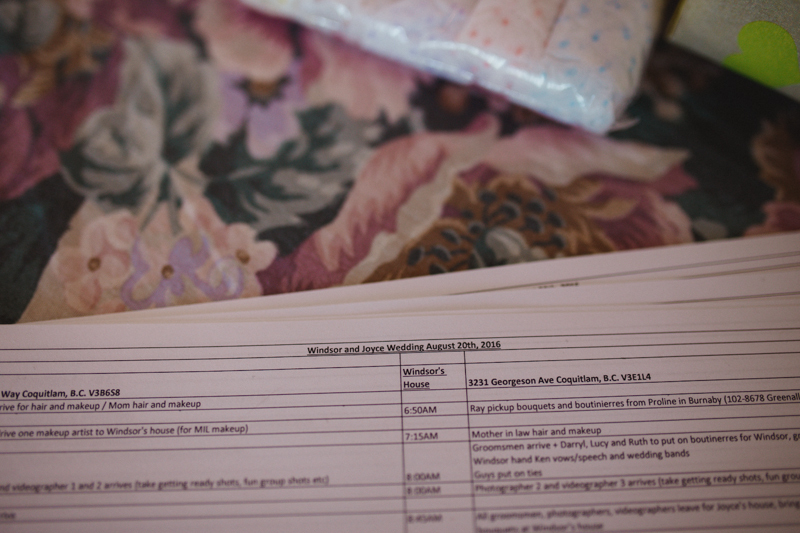 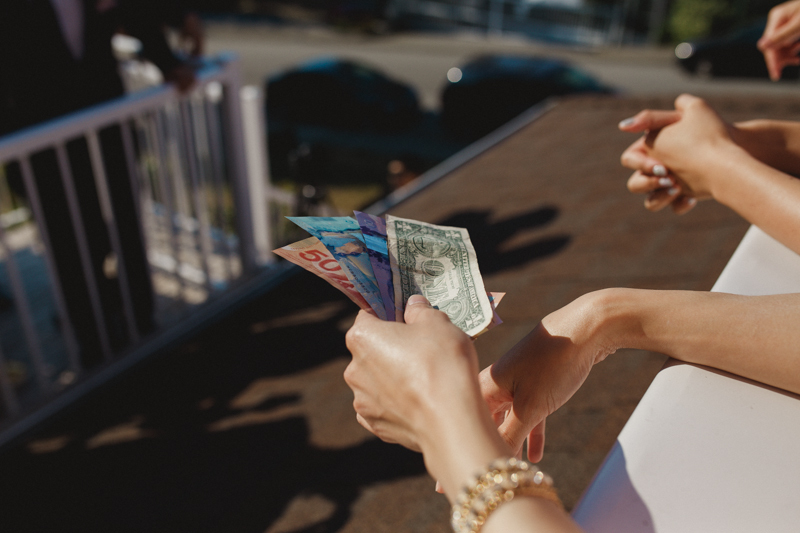 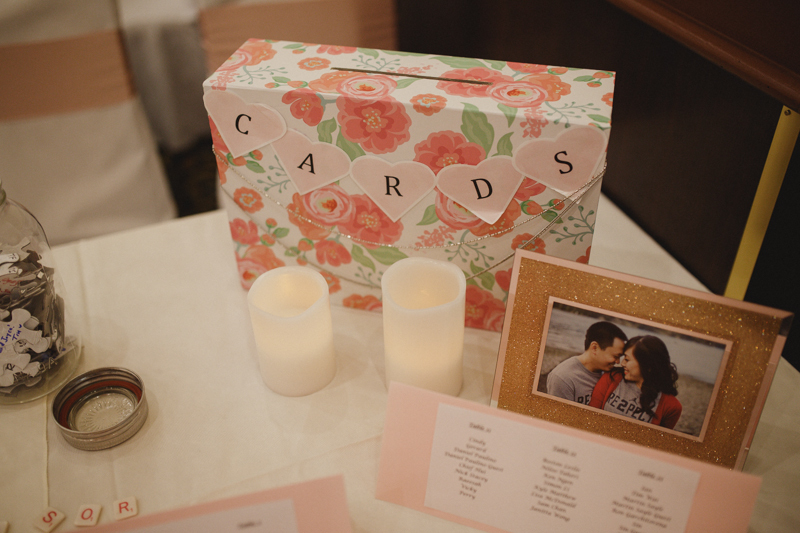 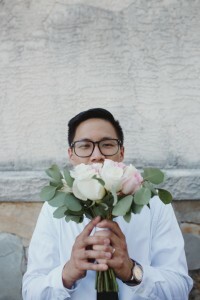 The first begins with making sure he hands over enough money to show that he is willing to give anything for his bride. 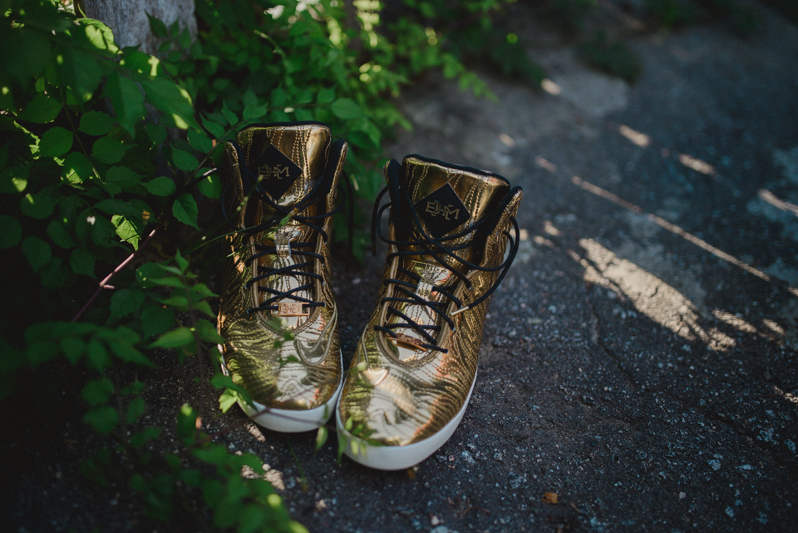 Lastly, with each step he took, he had to give one reason why he loved Joyce. 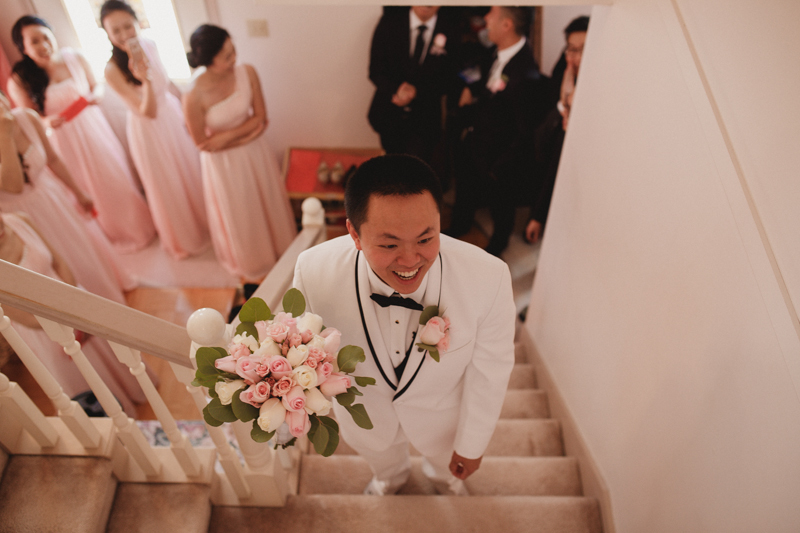 After googling some adjectives, he finally made his way to the top! 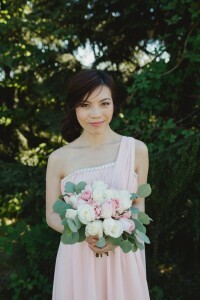 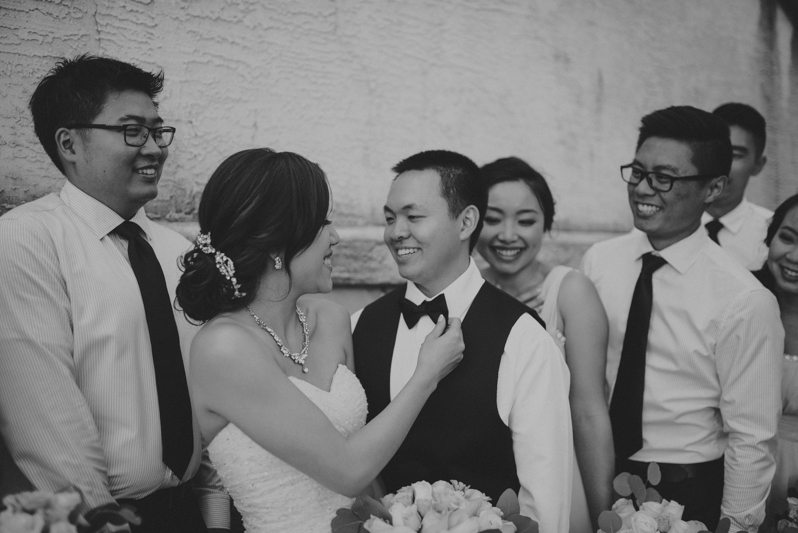 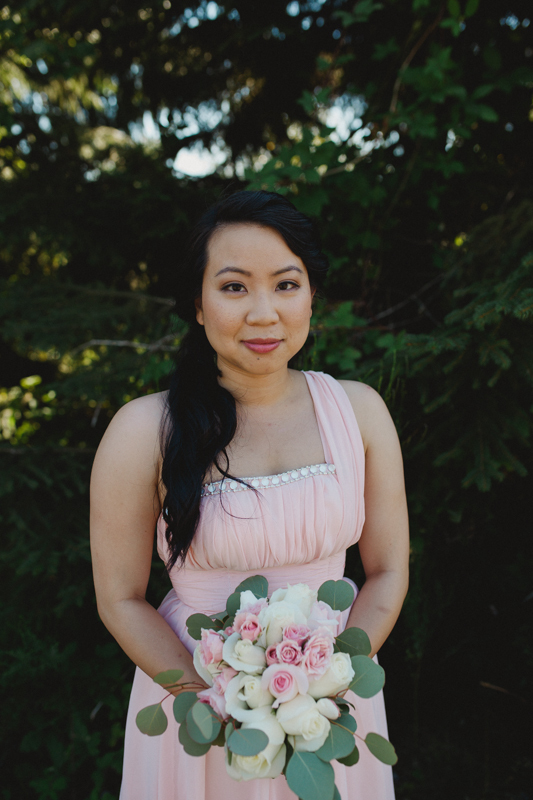 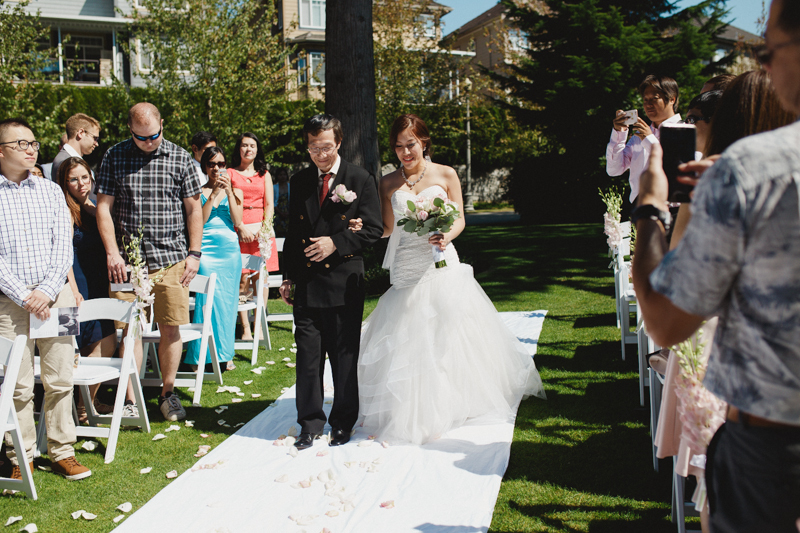 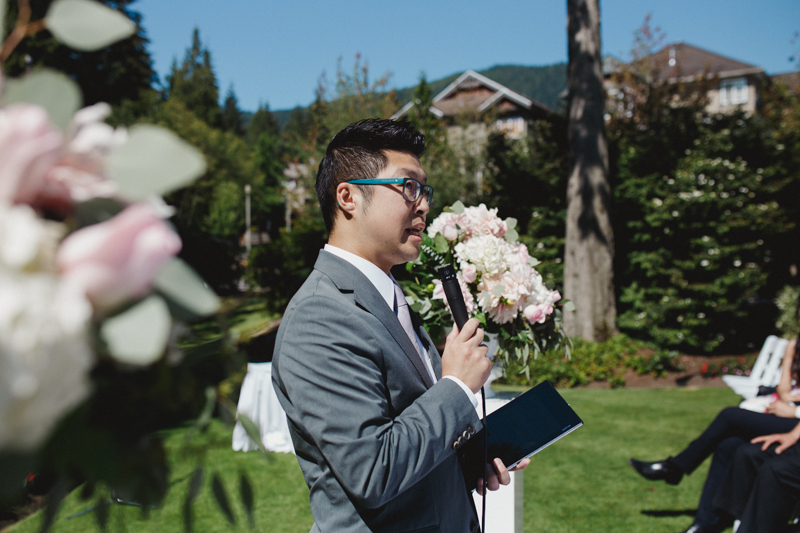 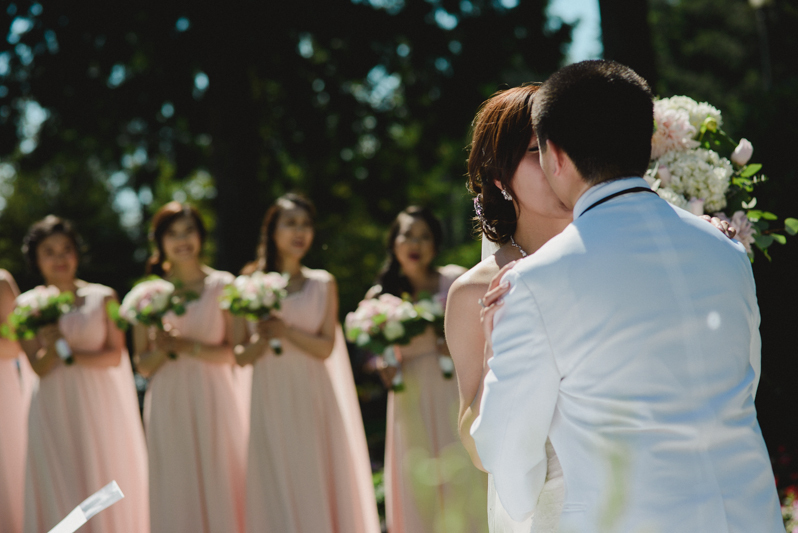 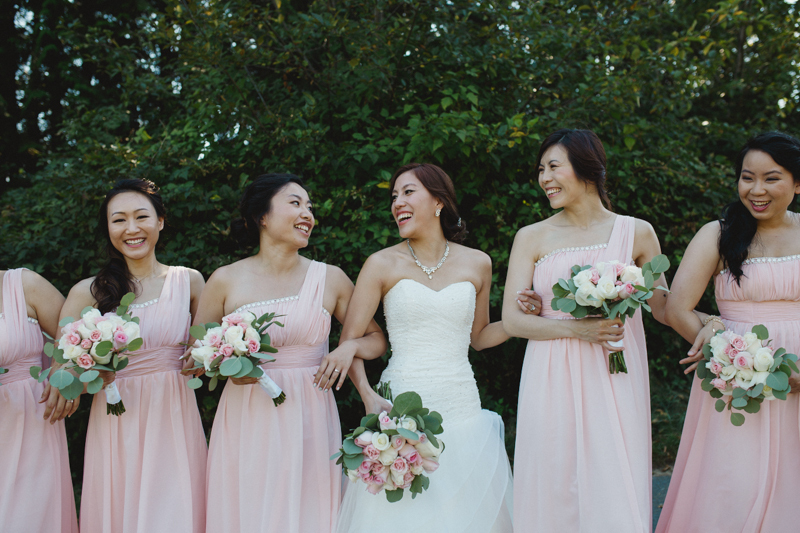 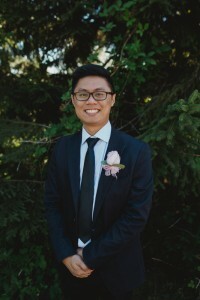 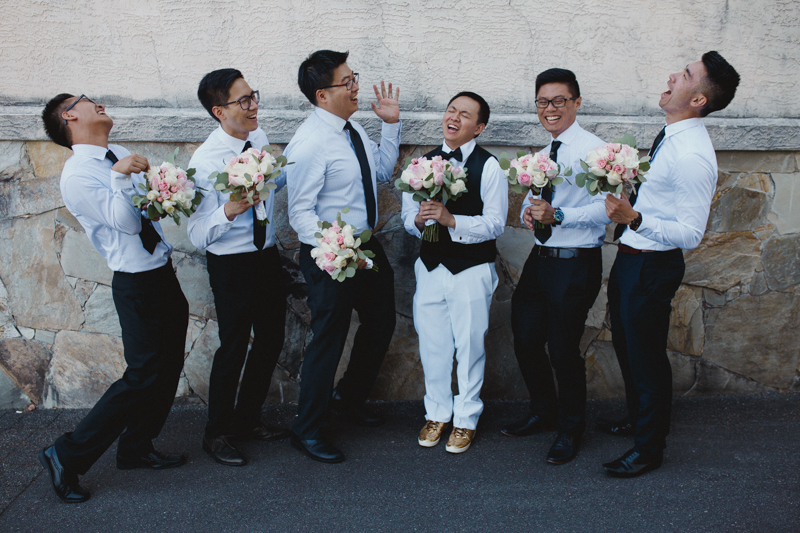 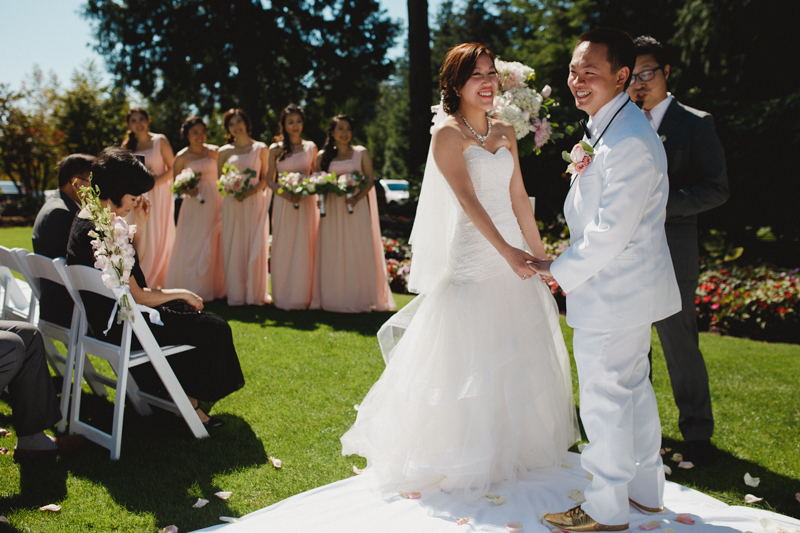 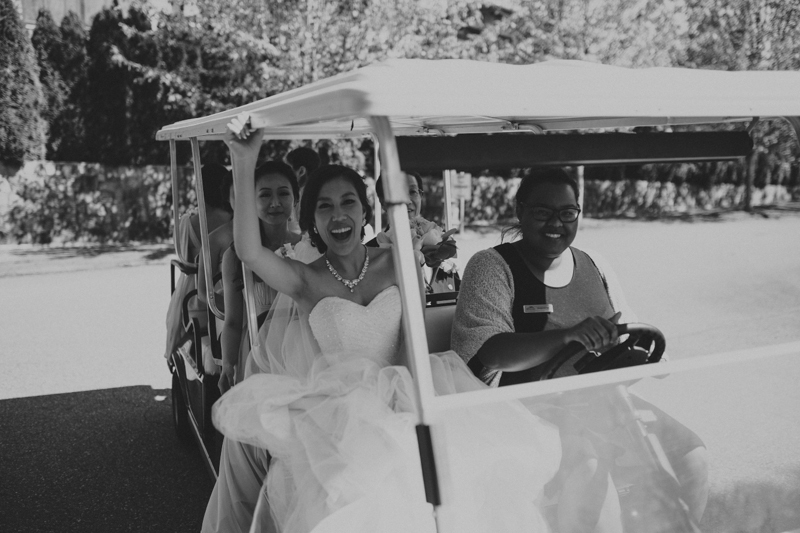 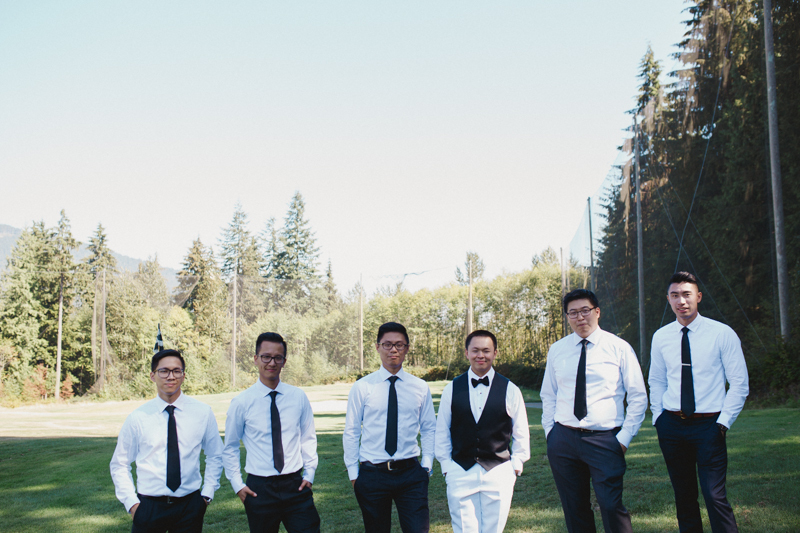 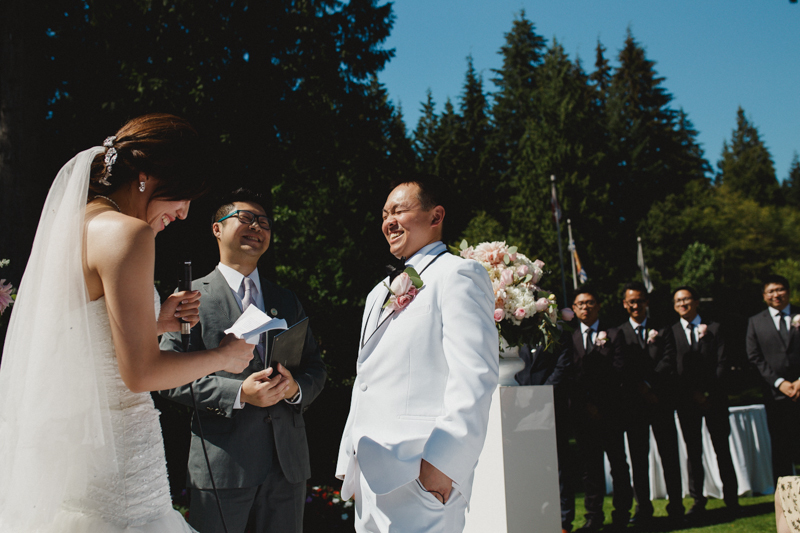 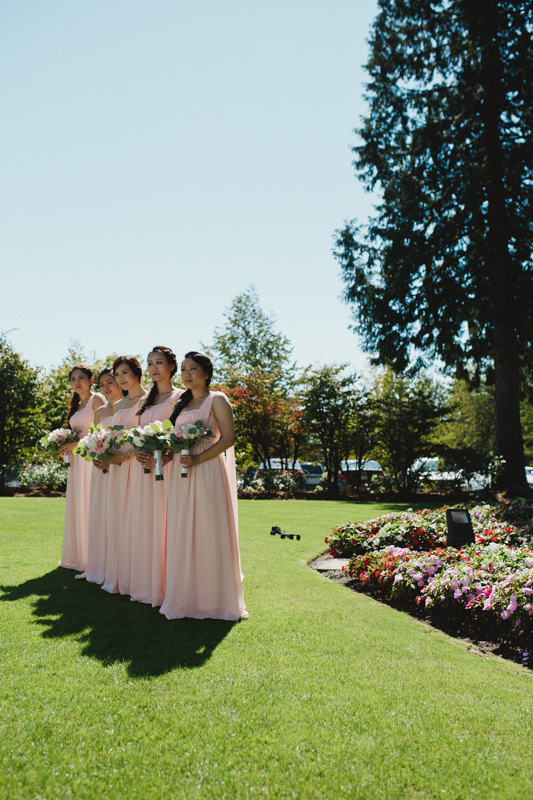 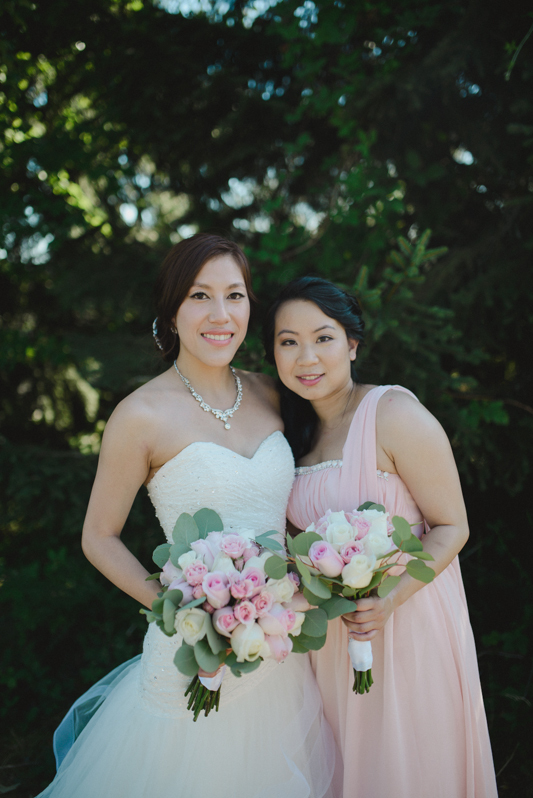 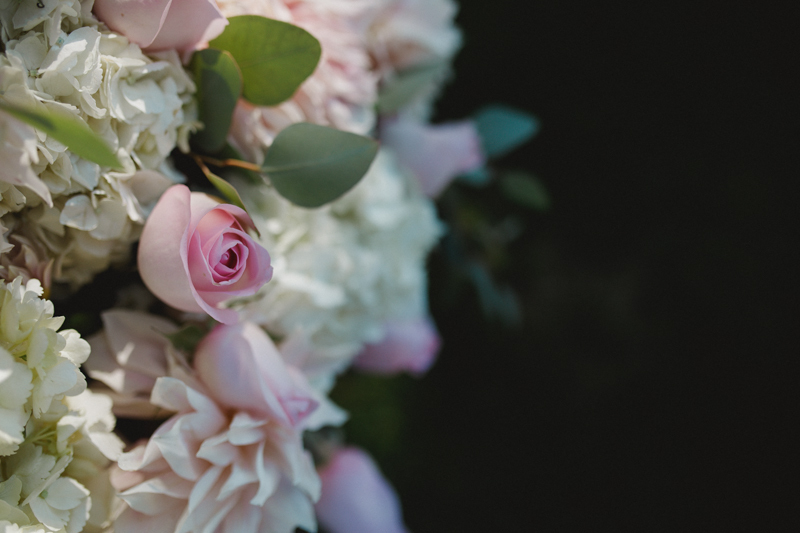 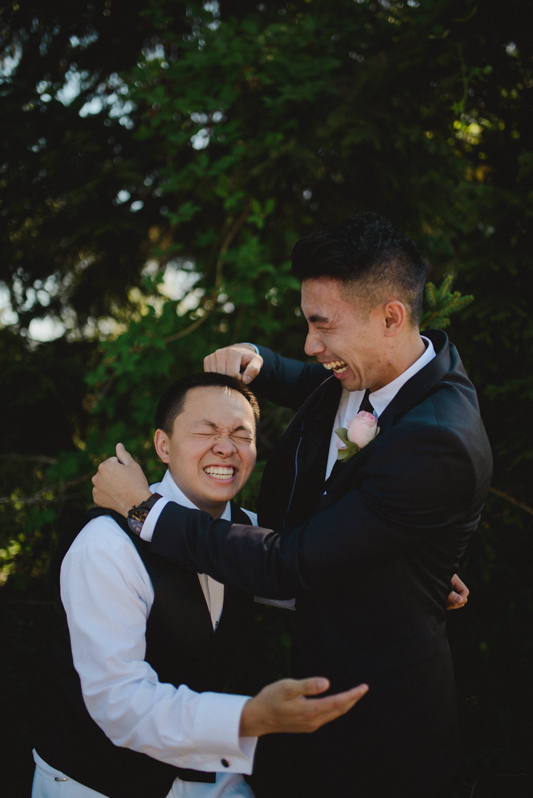 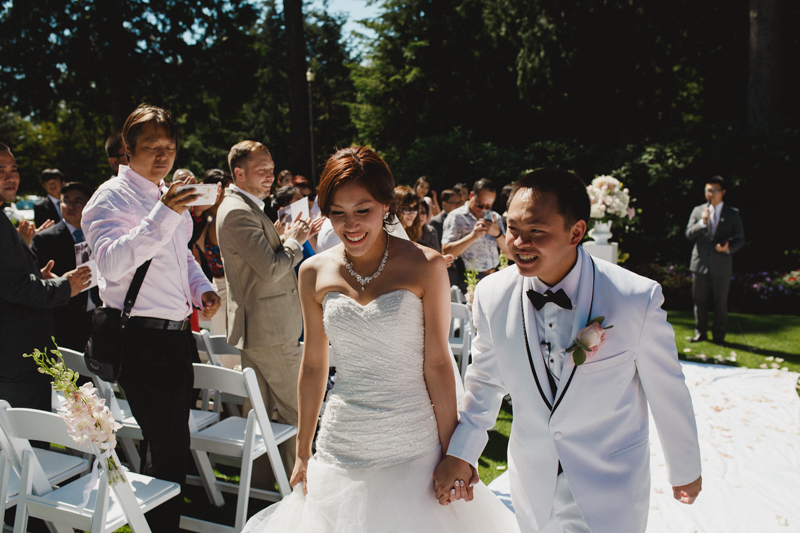 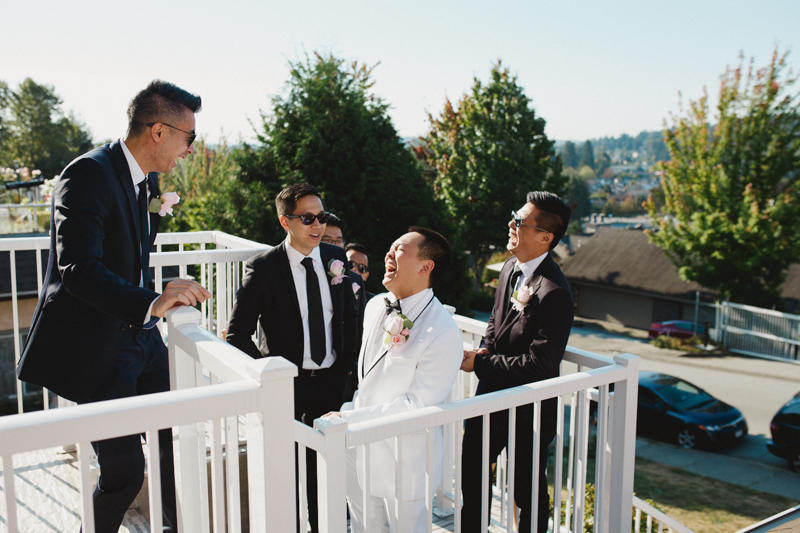 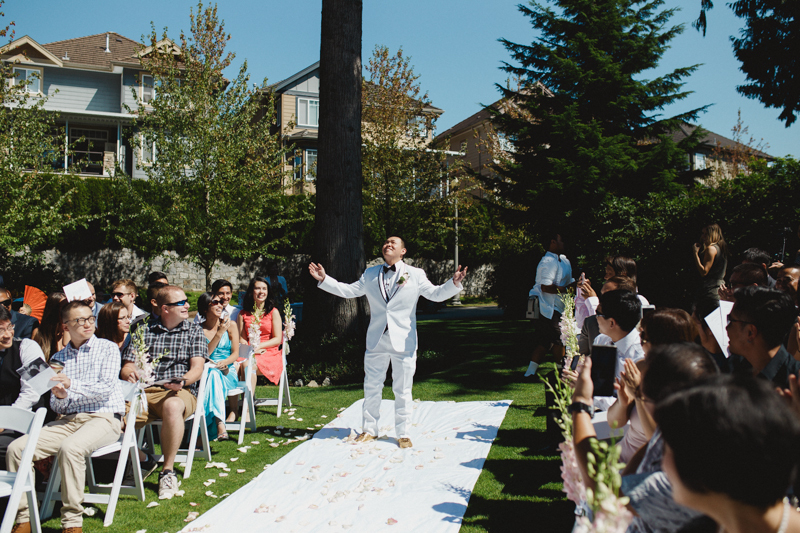 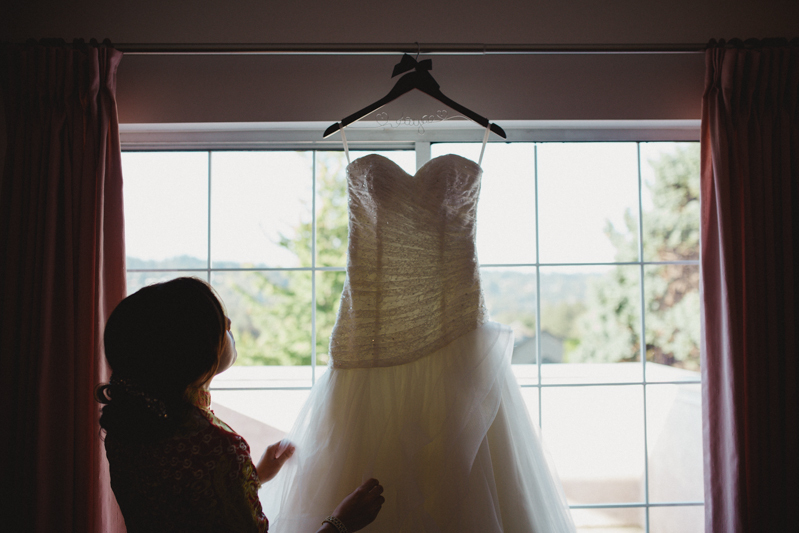 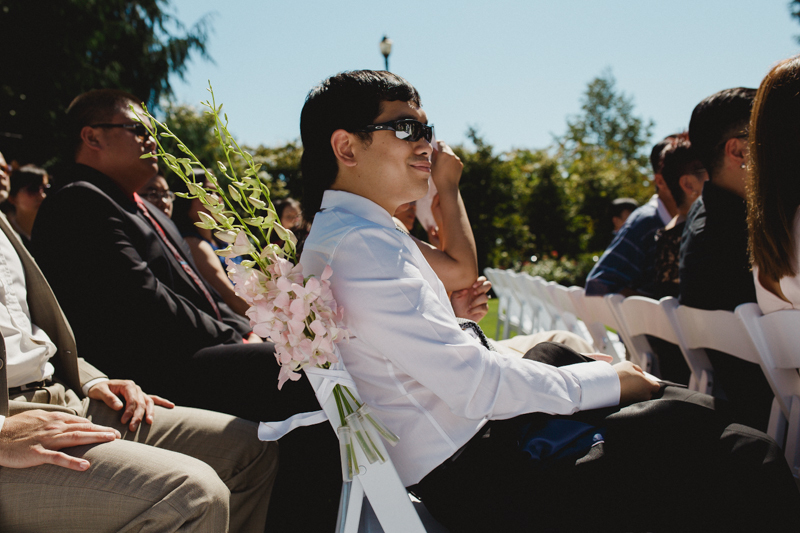 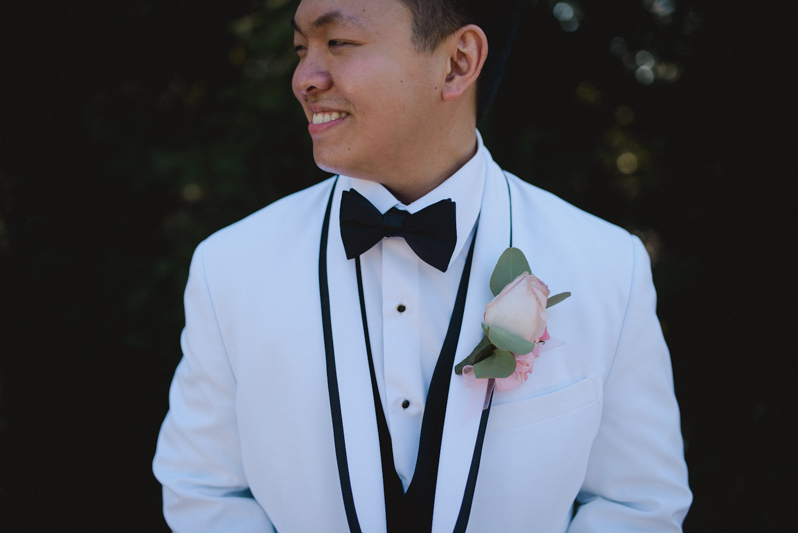 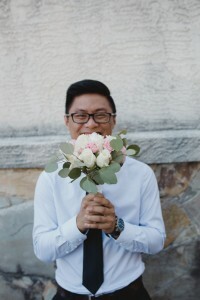 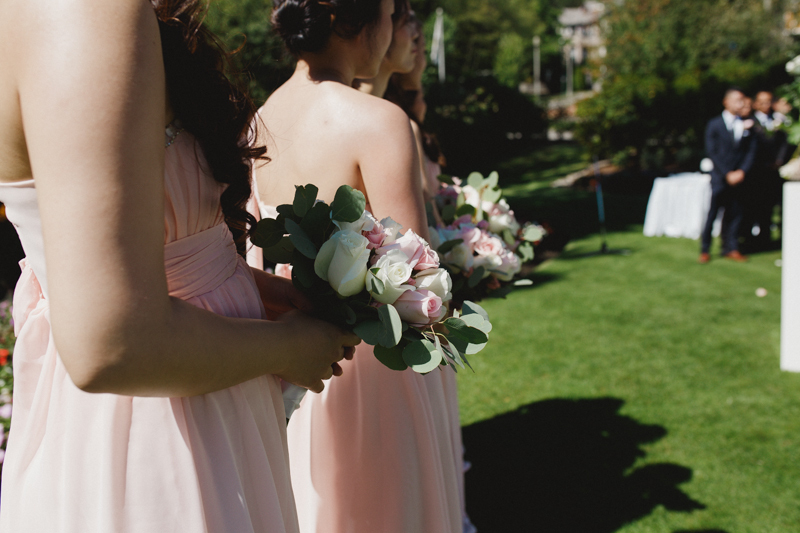 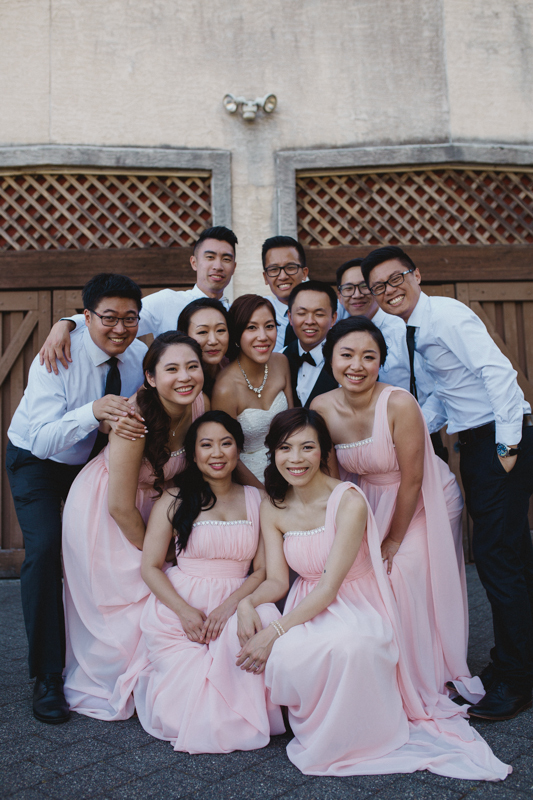 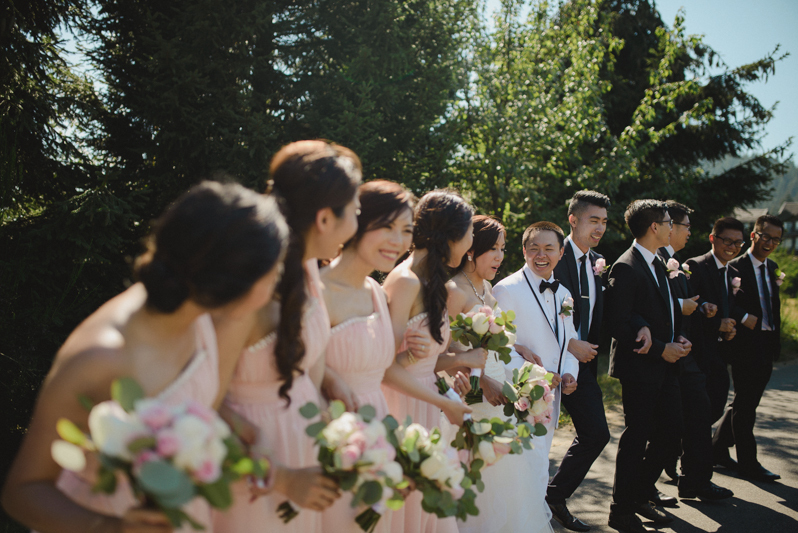 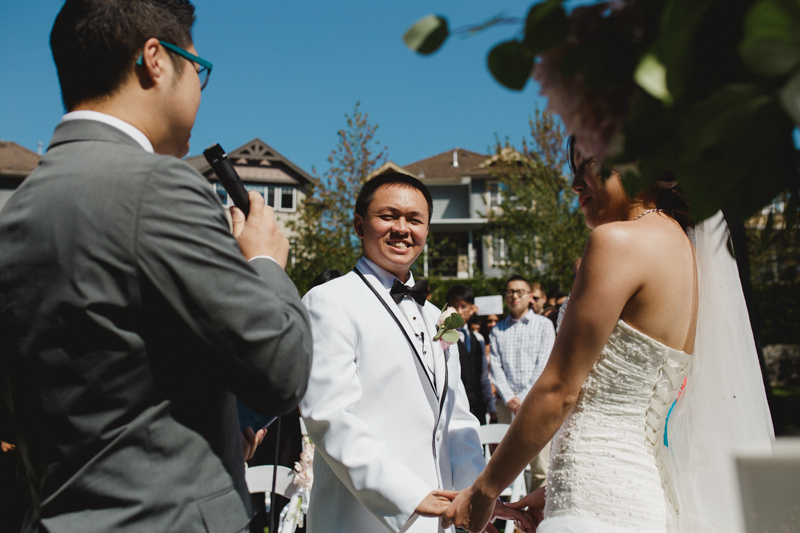 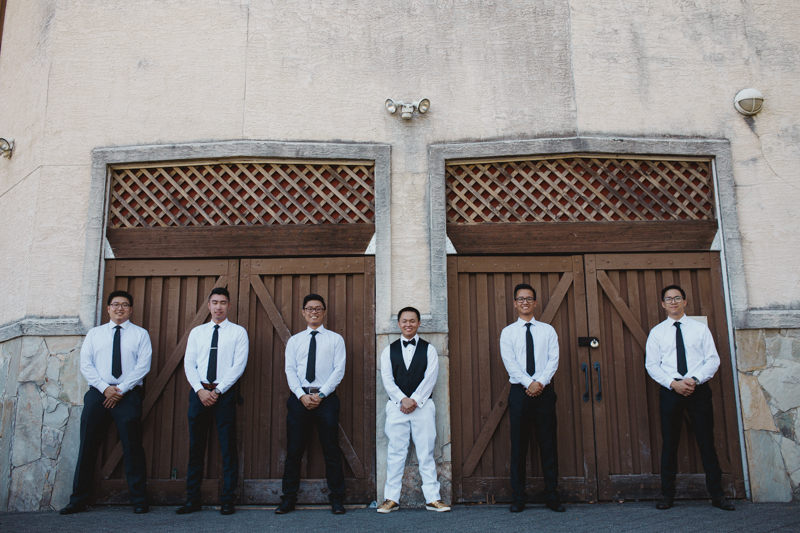 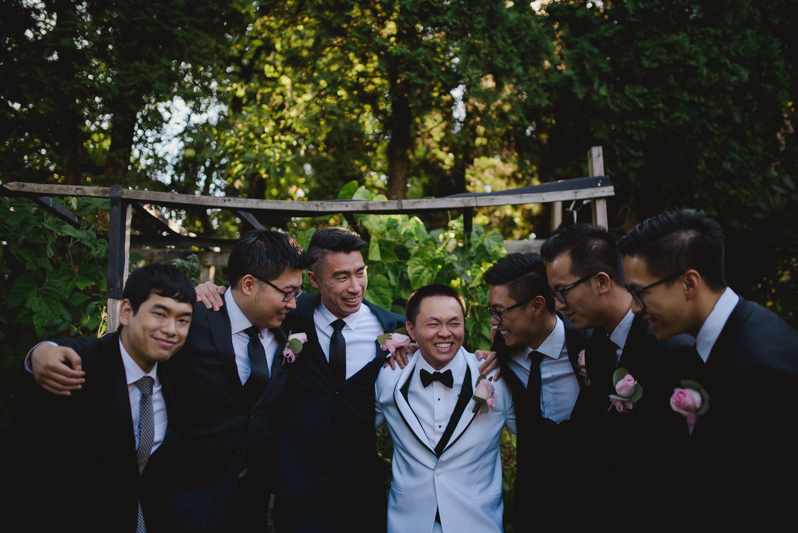 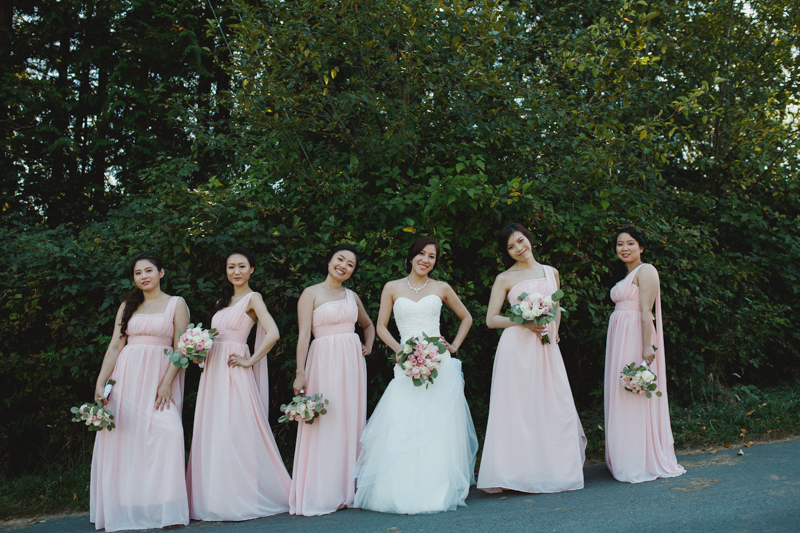 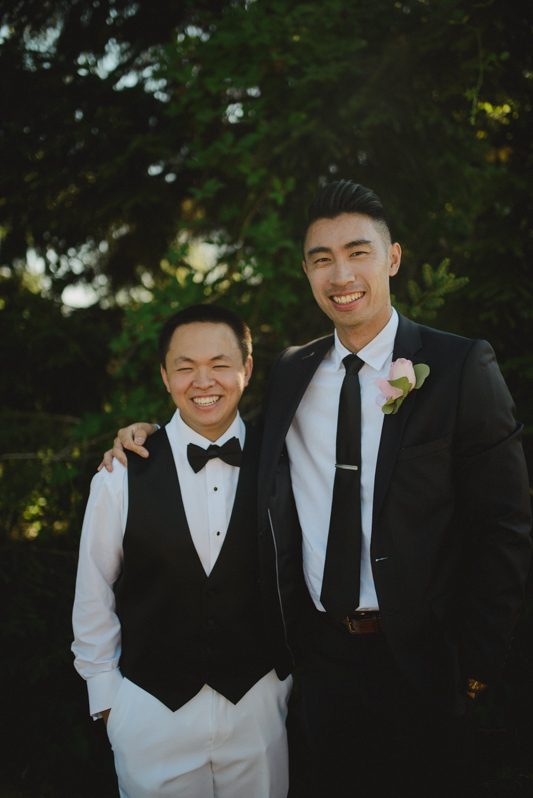 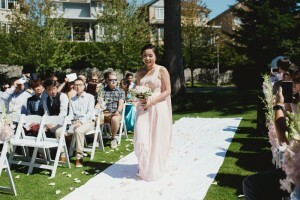 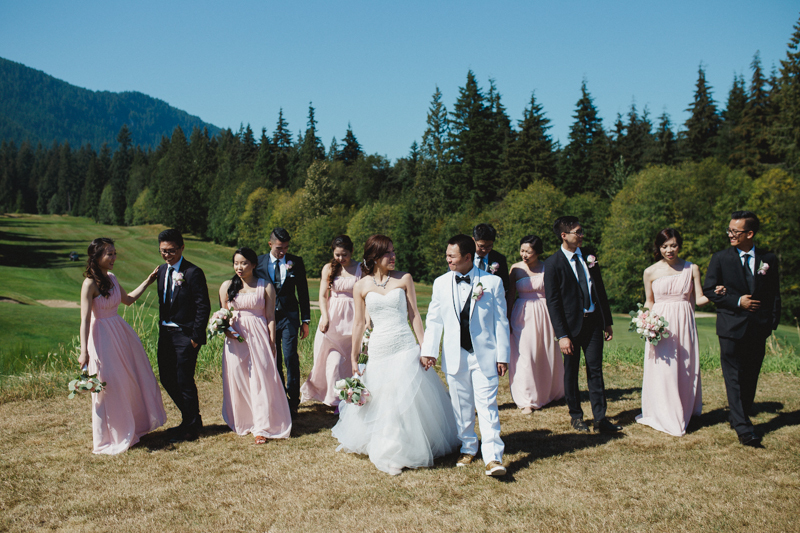 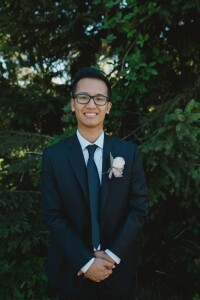 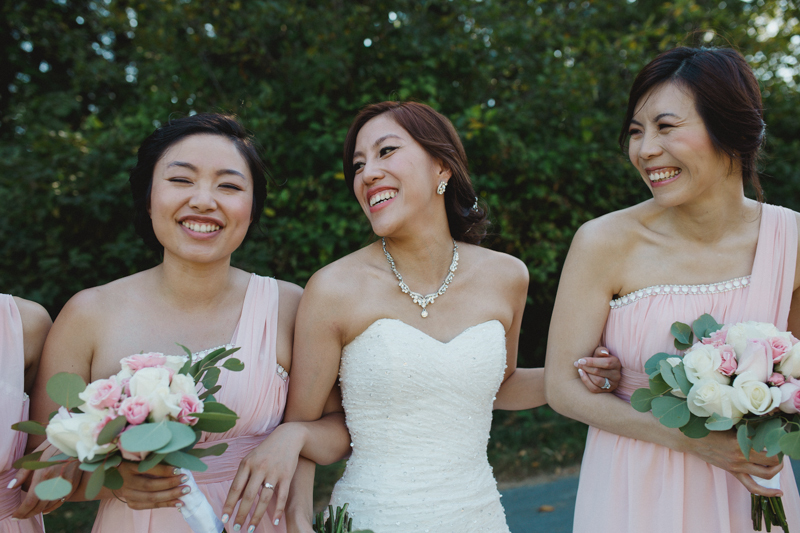 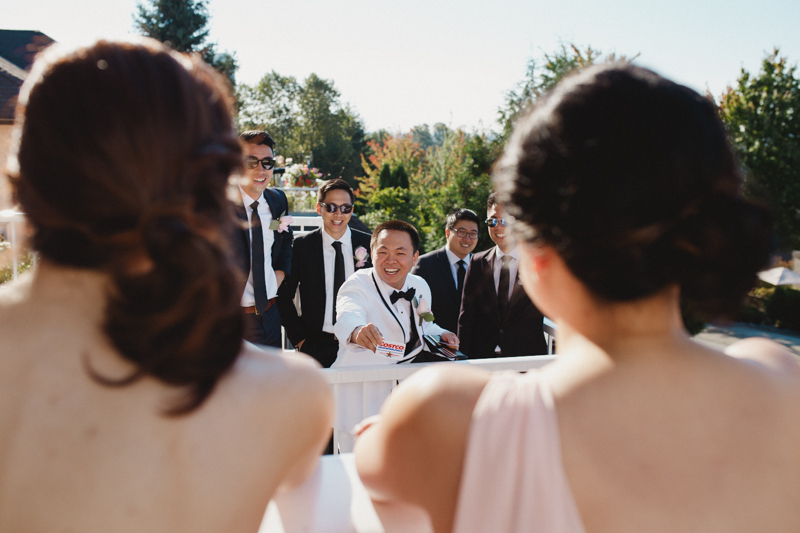 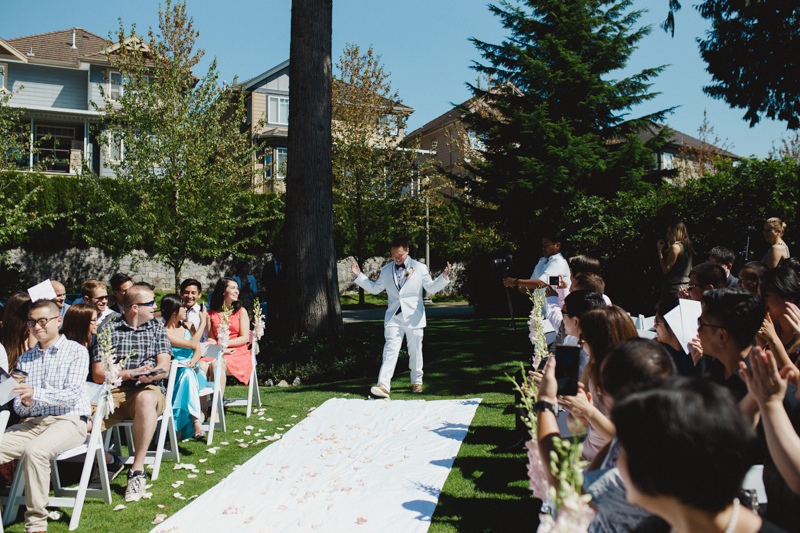 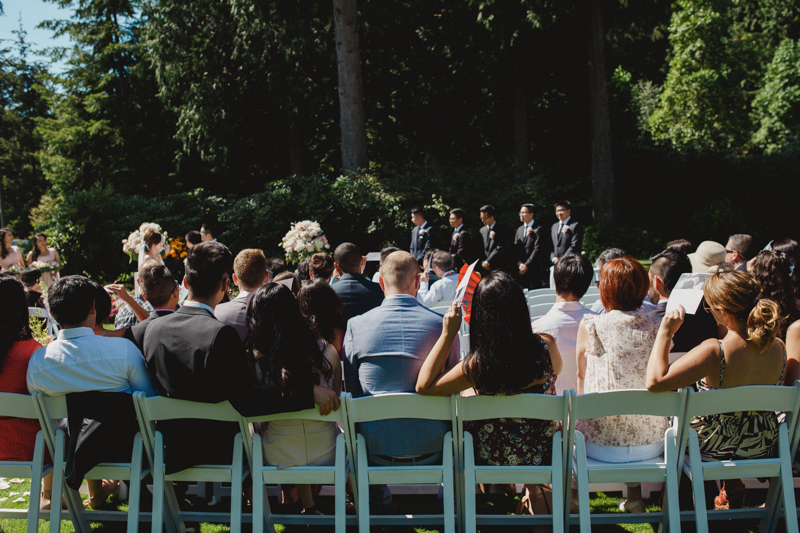 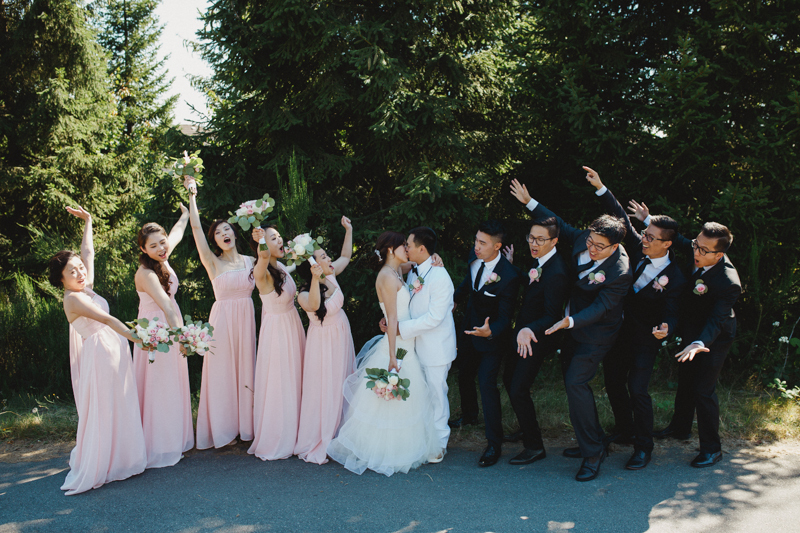 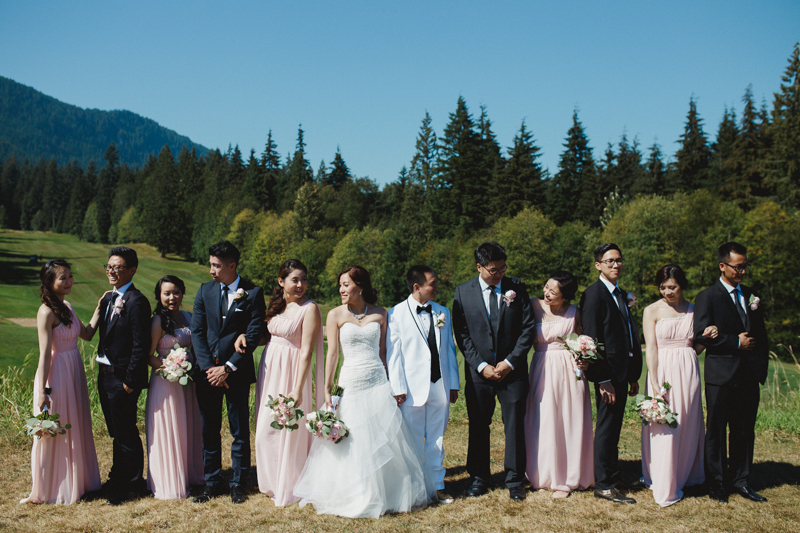 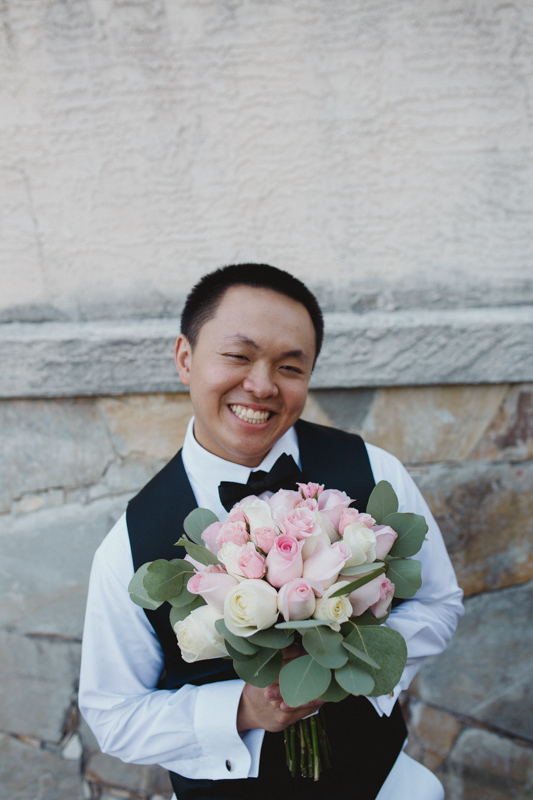 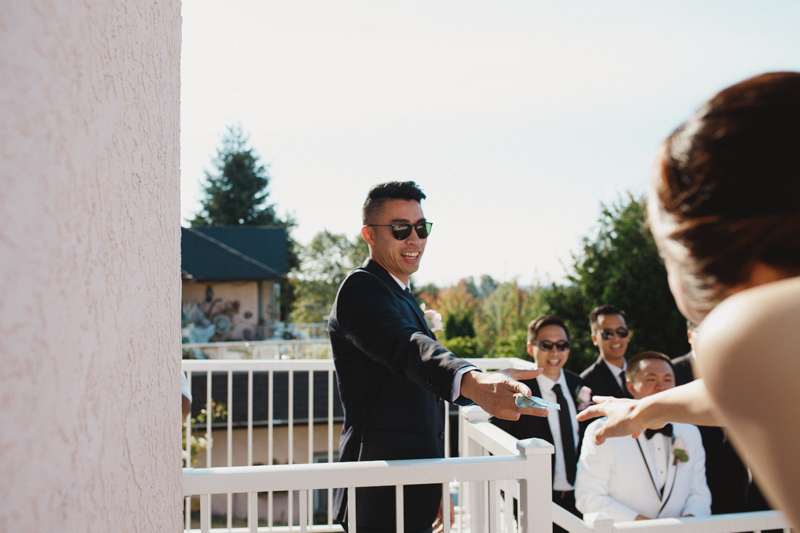 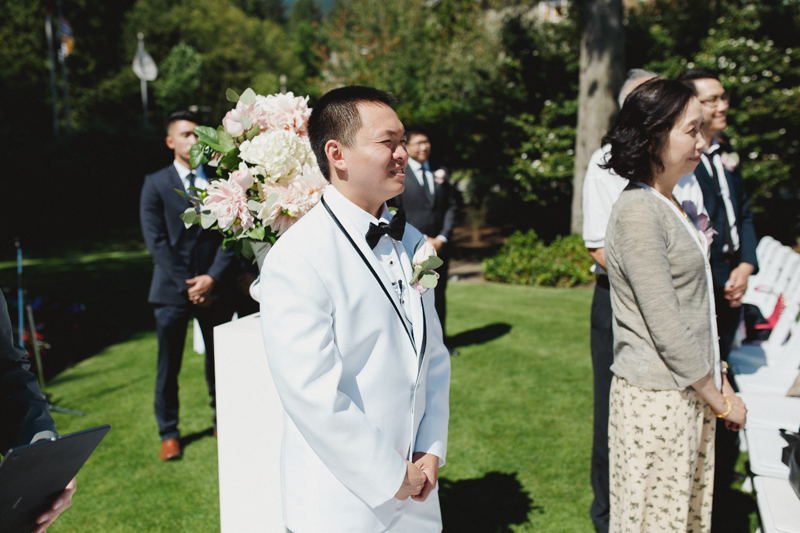 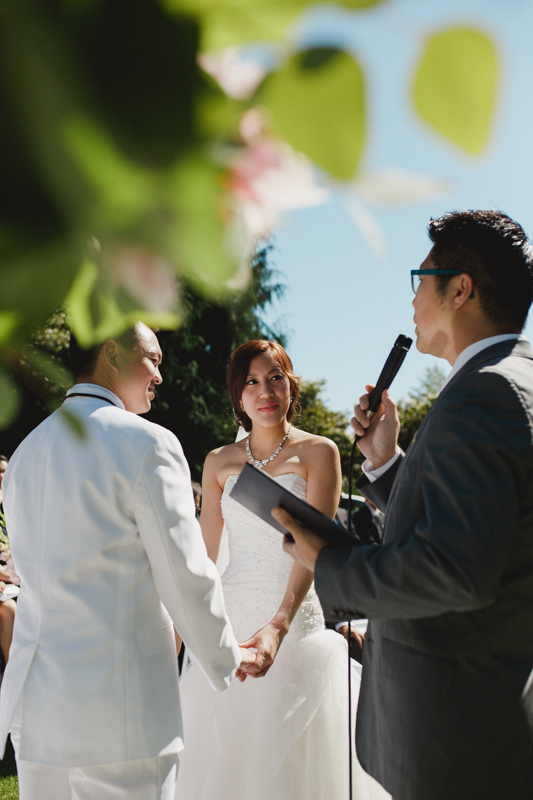 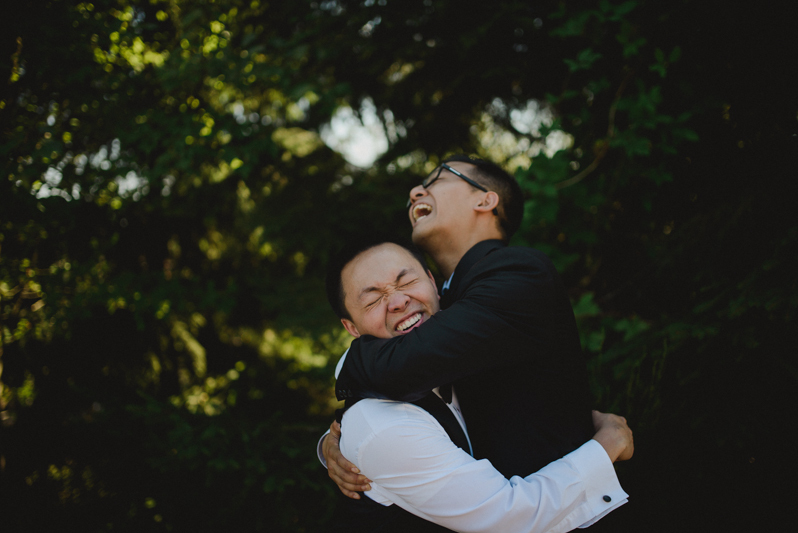 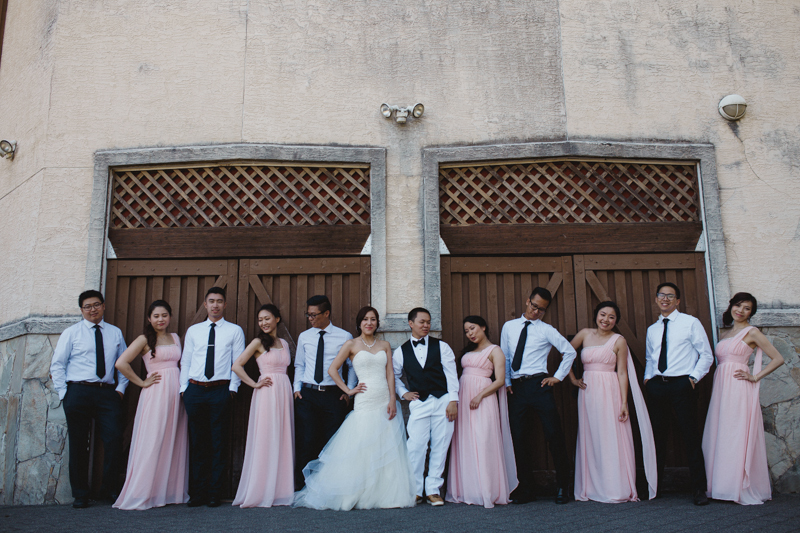 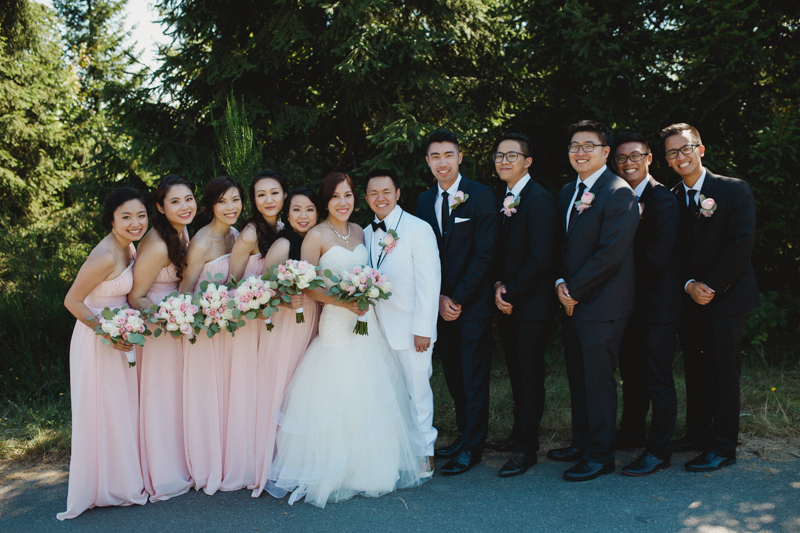 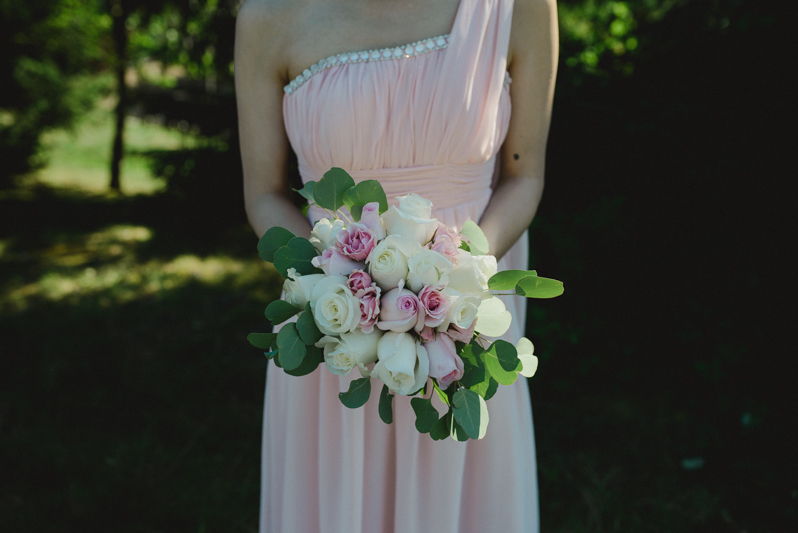 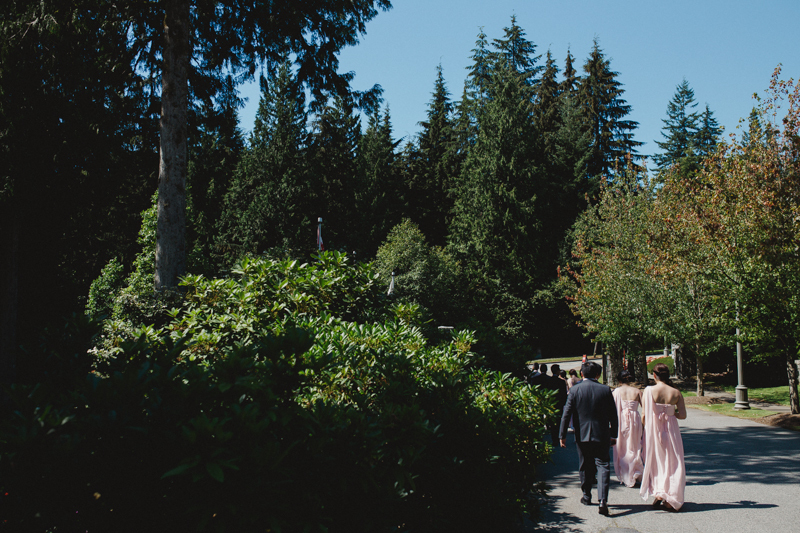 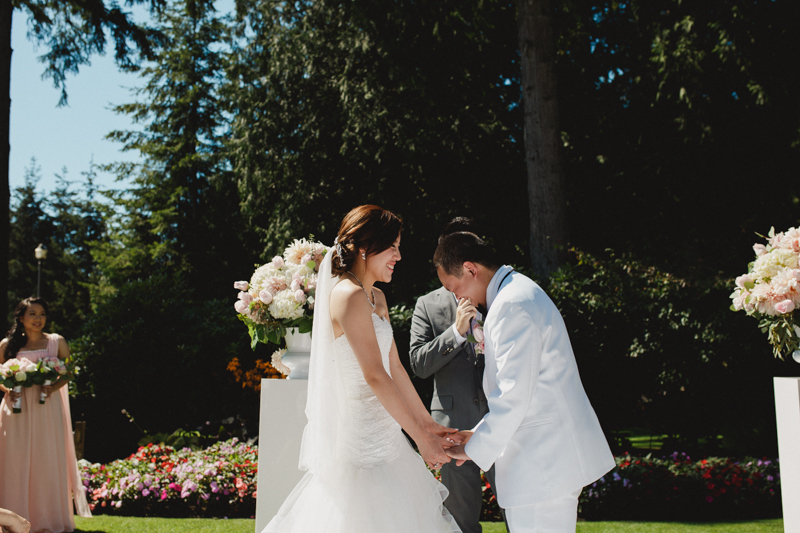 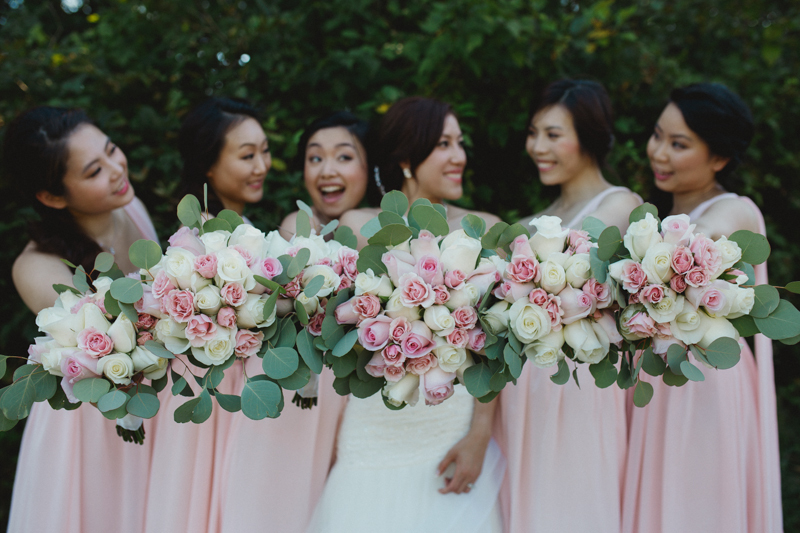 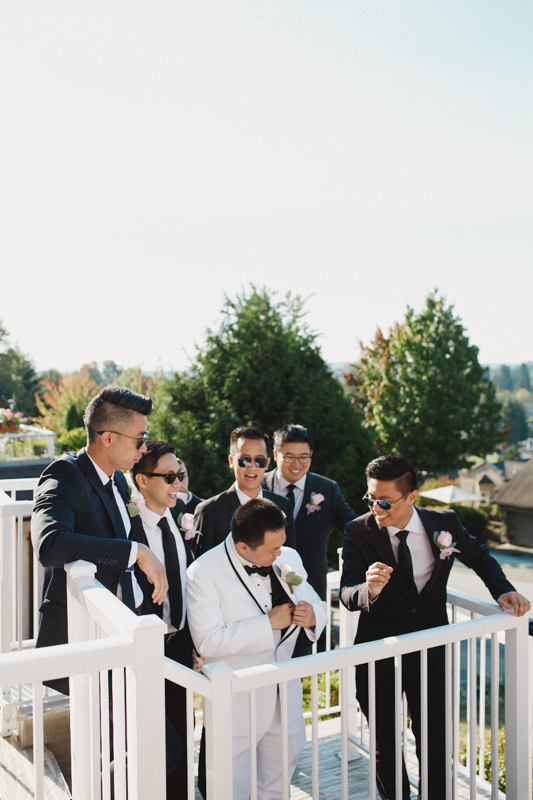 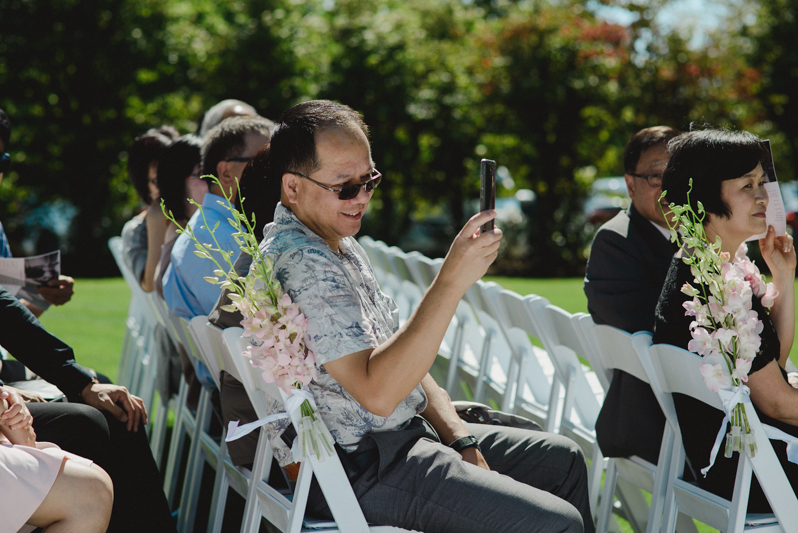 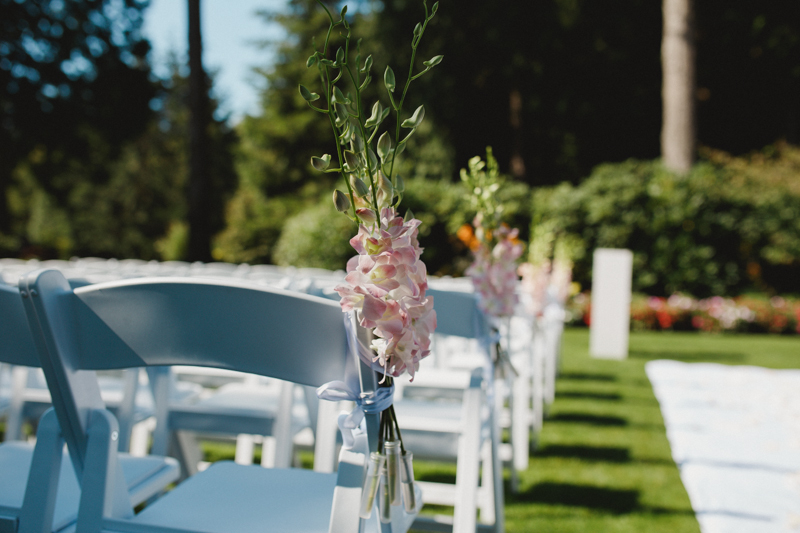 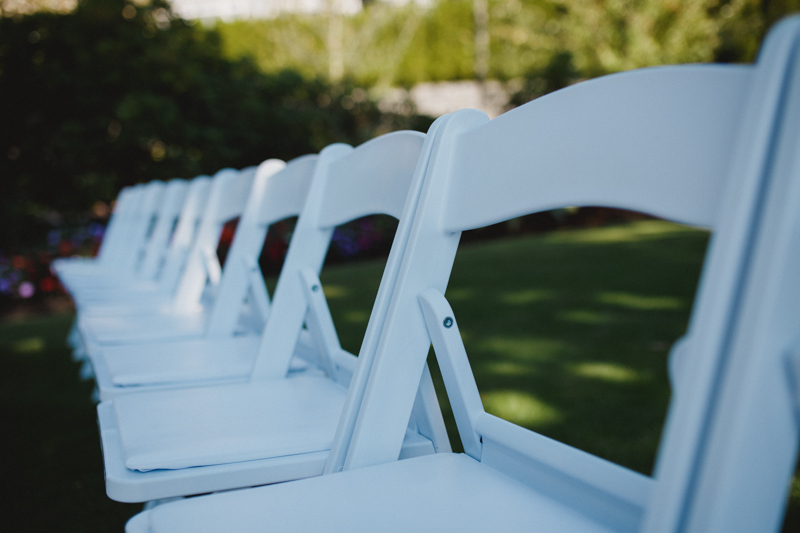 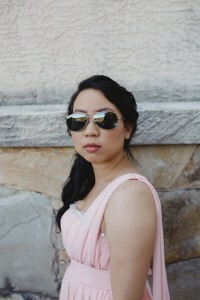 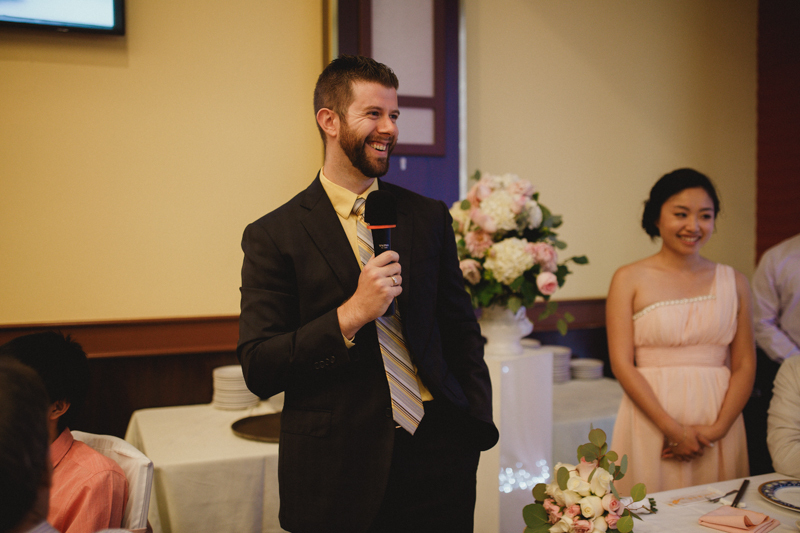 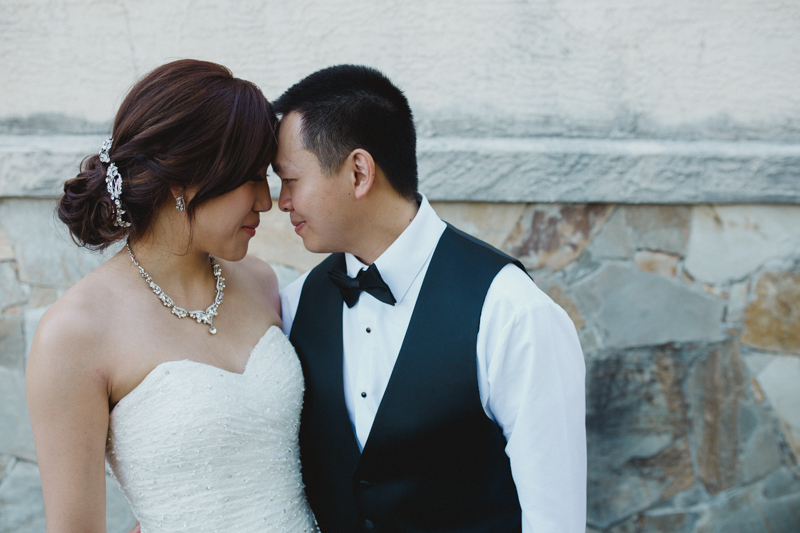 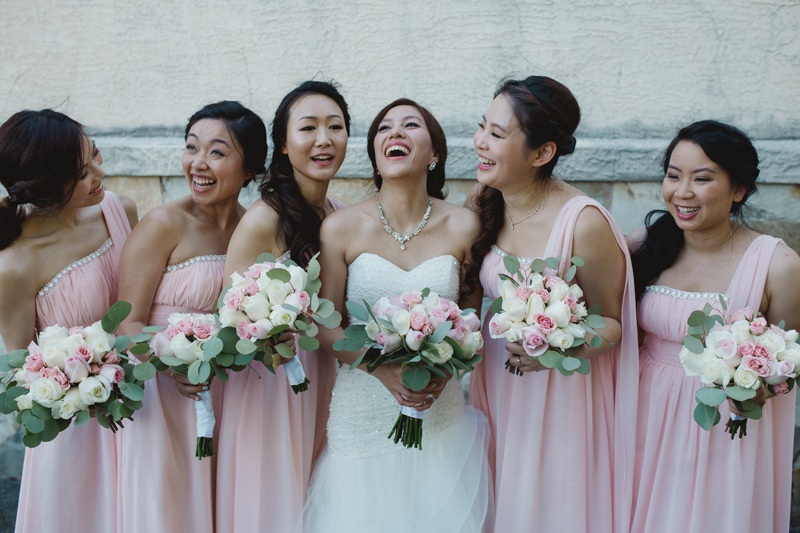 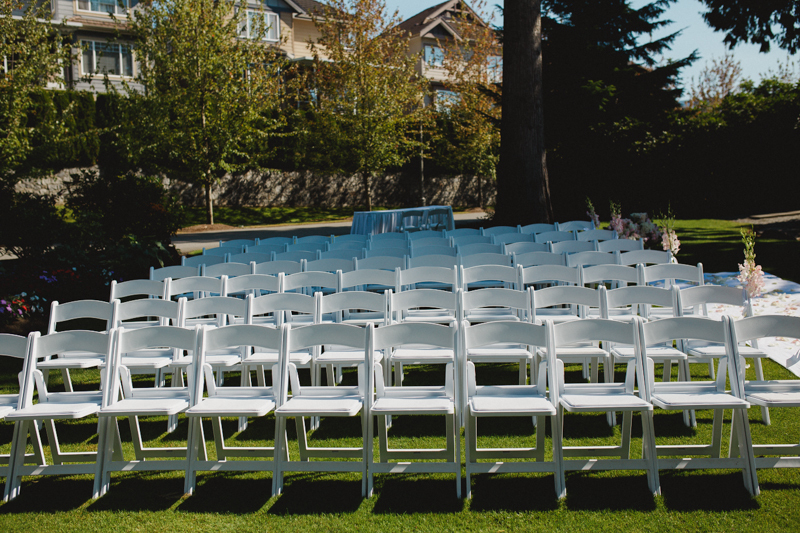 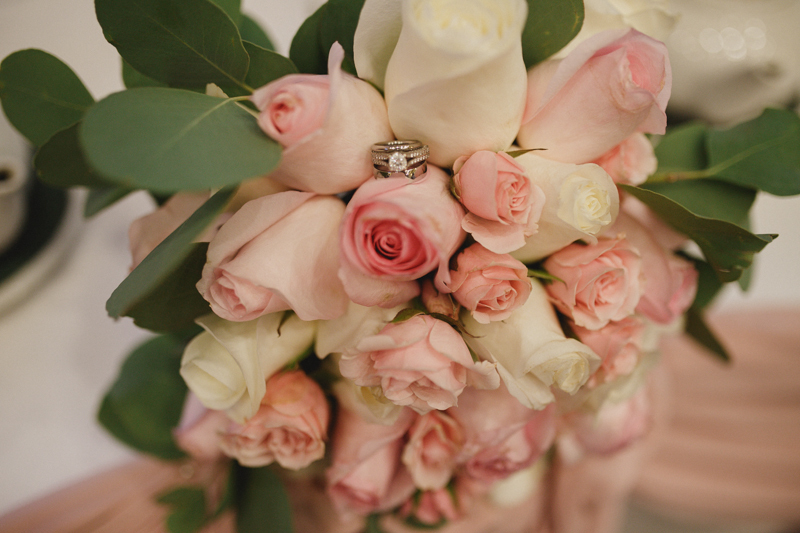 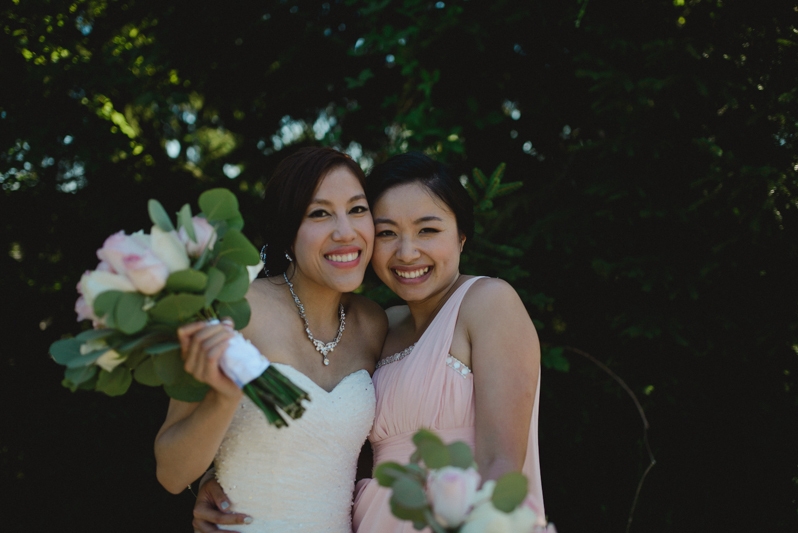 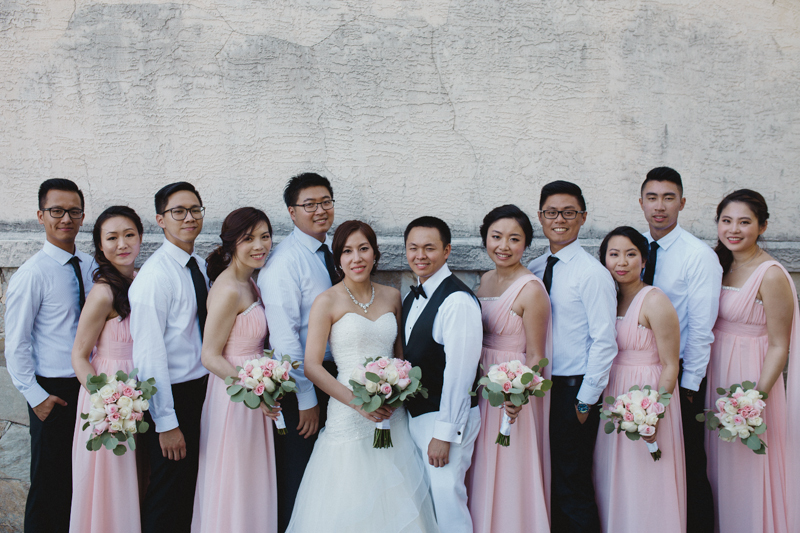 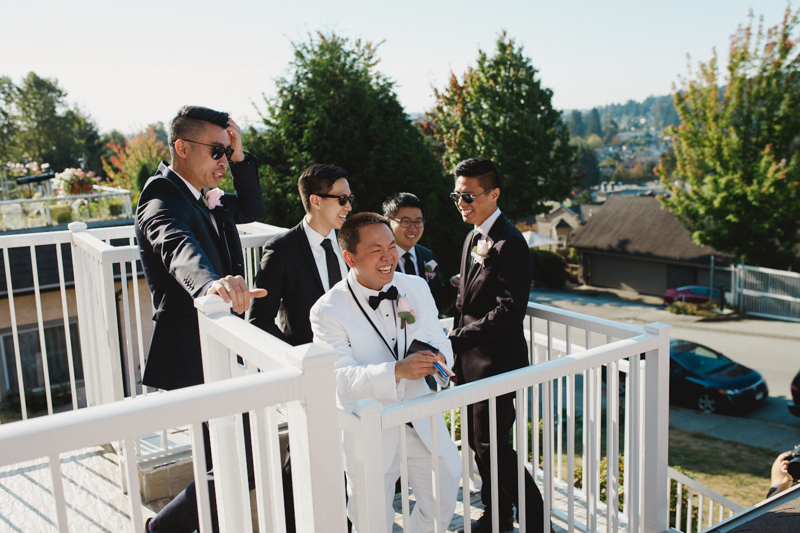 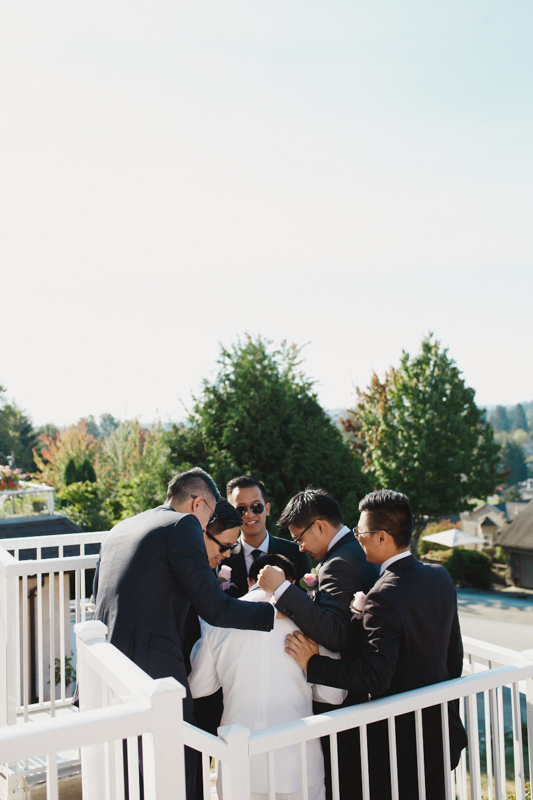 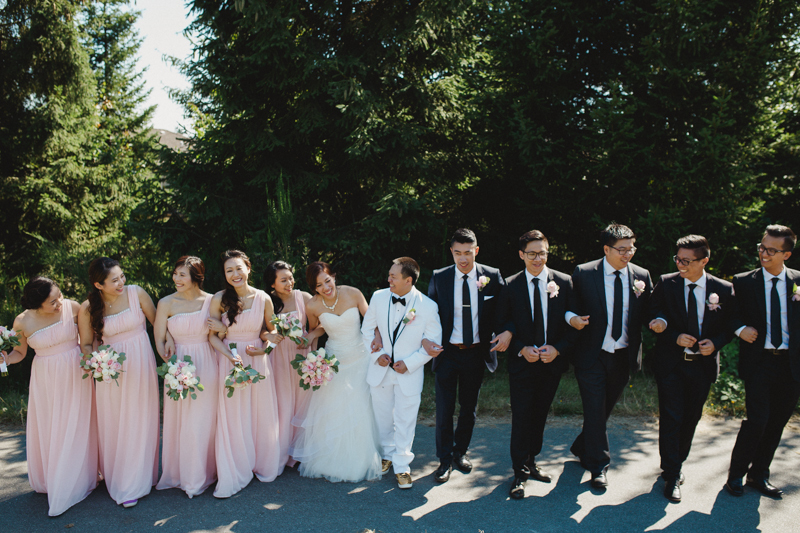 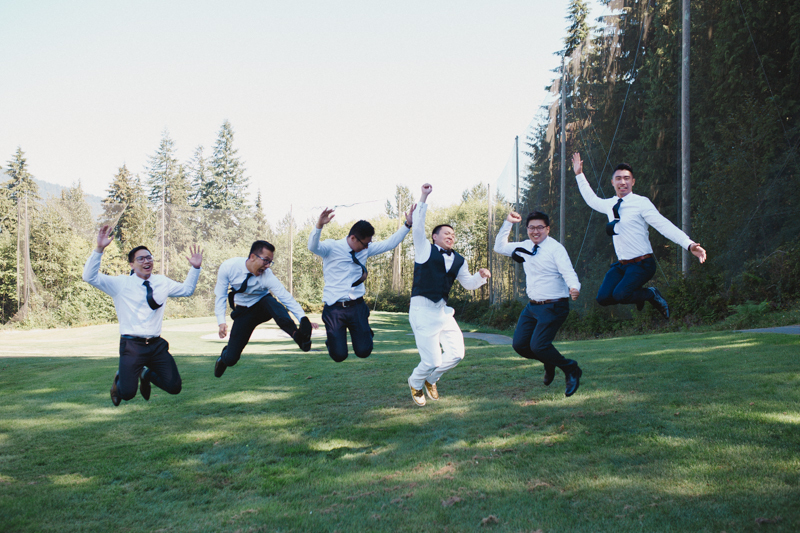 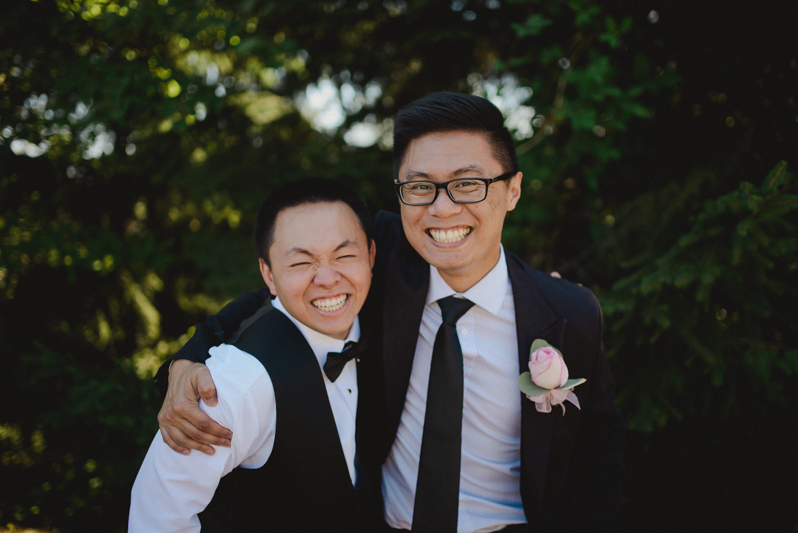 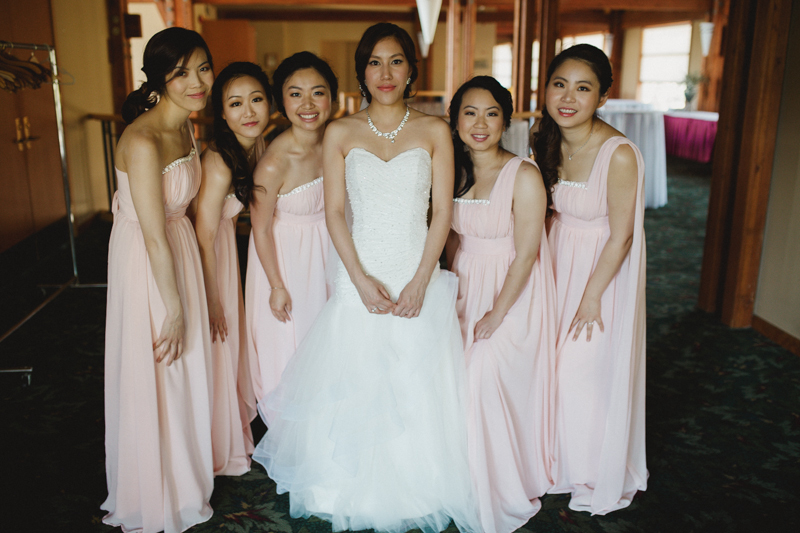 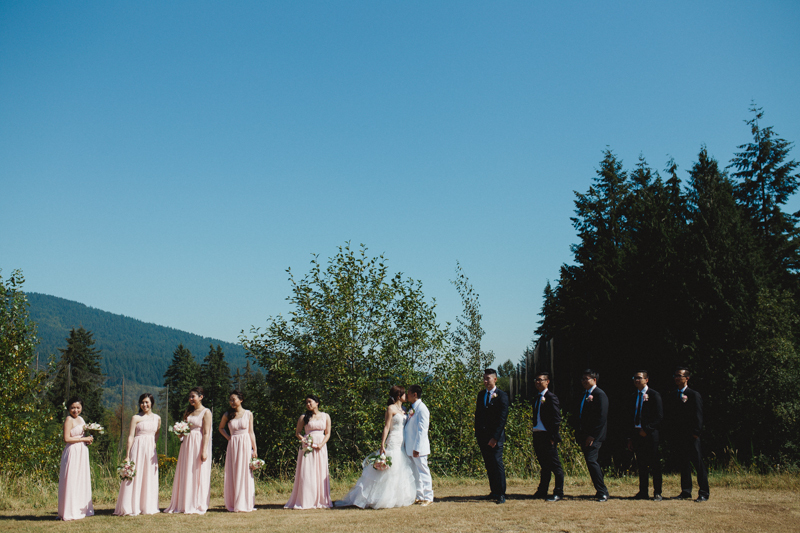 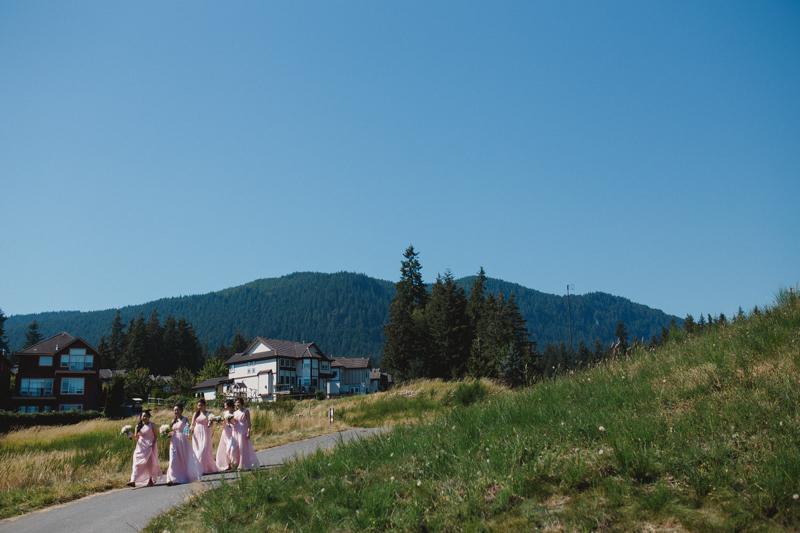 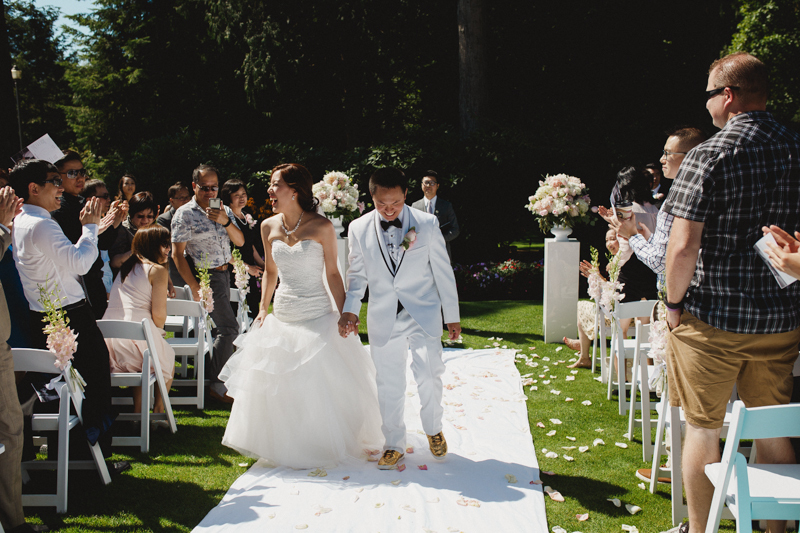 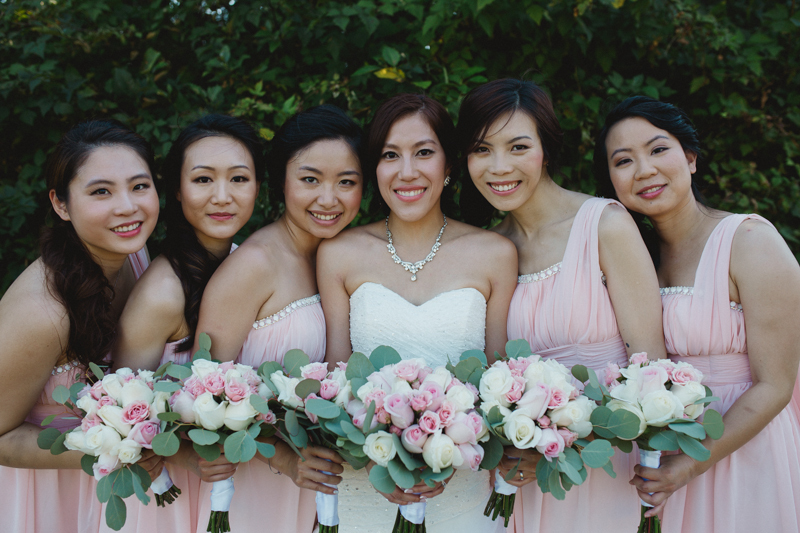 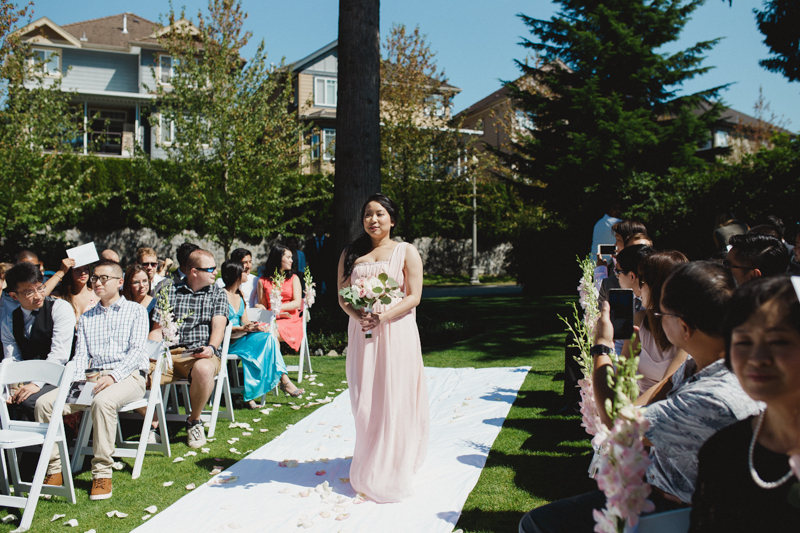 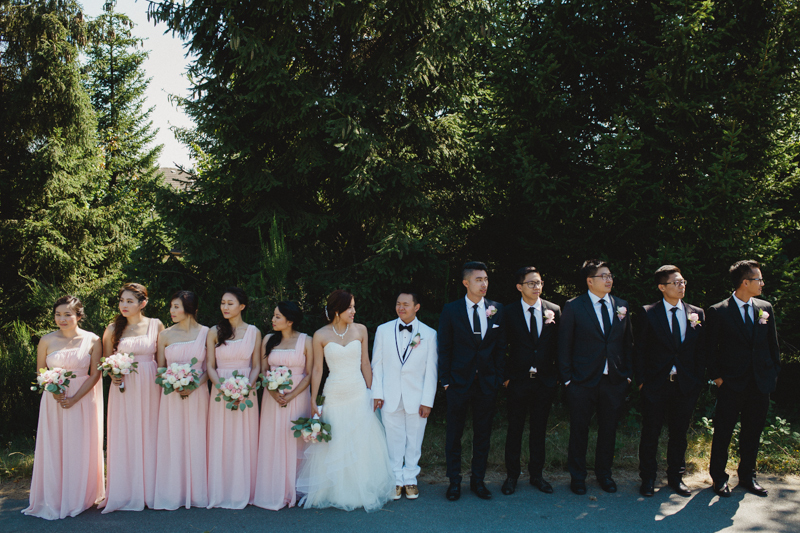 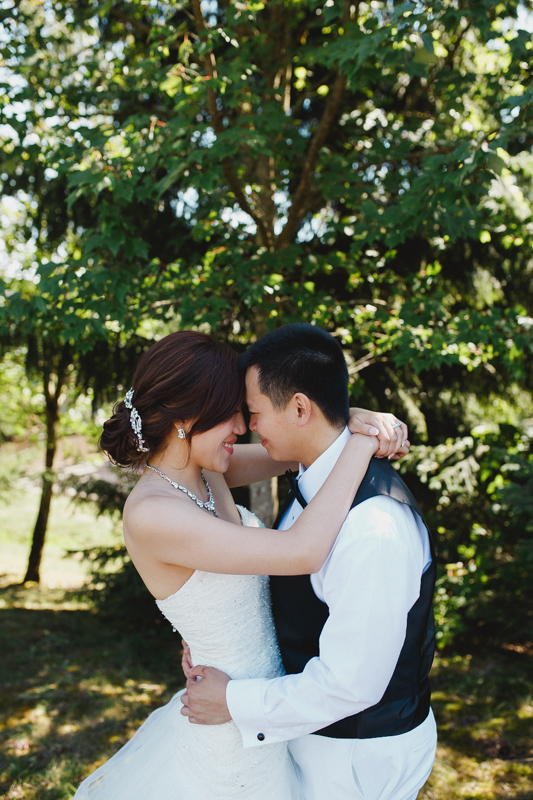 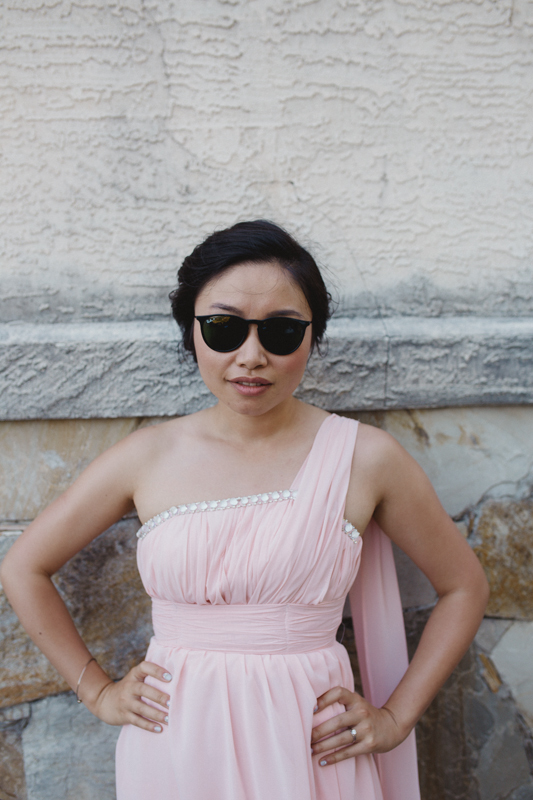 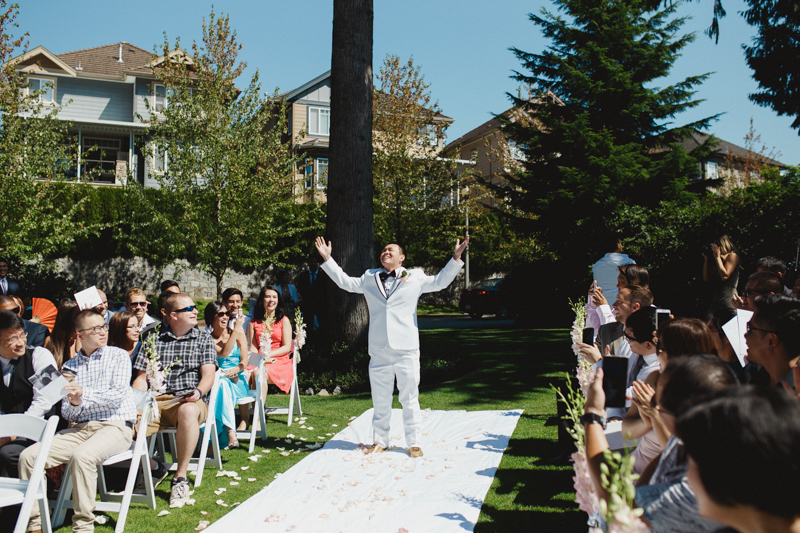 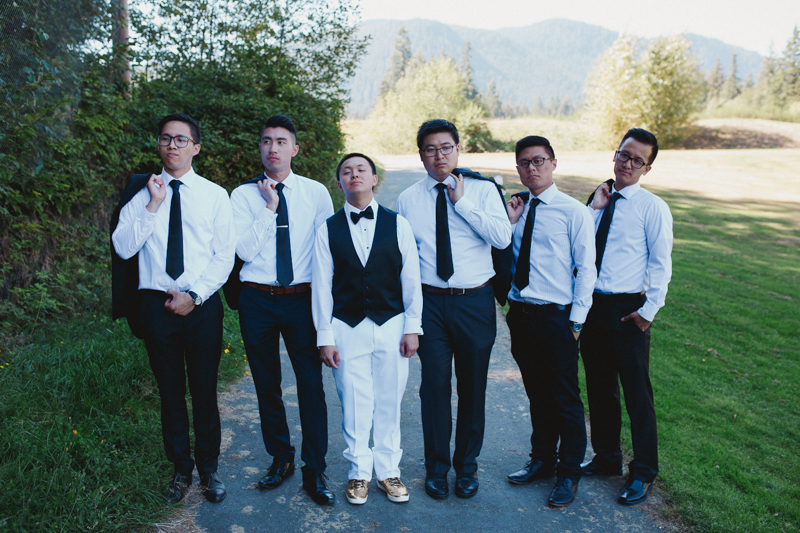 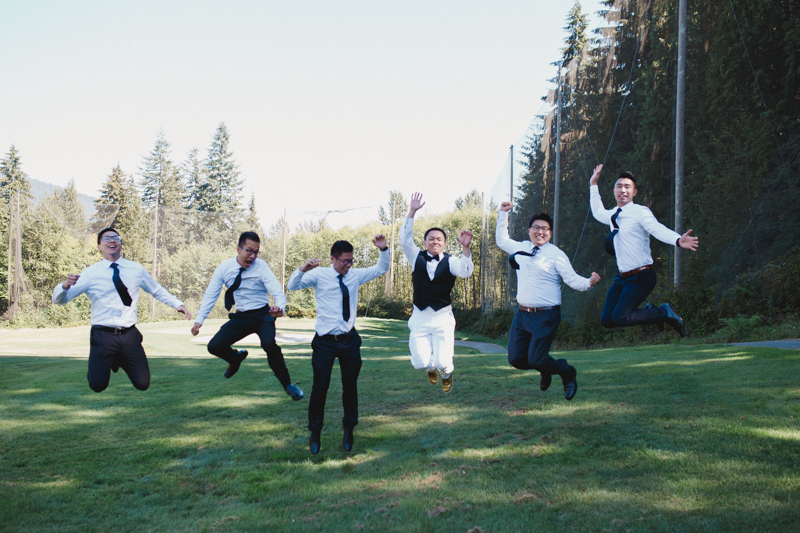 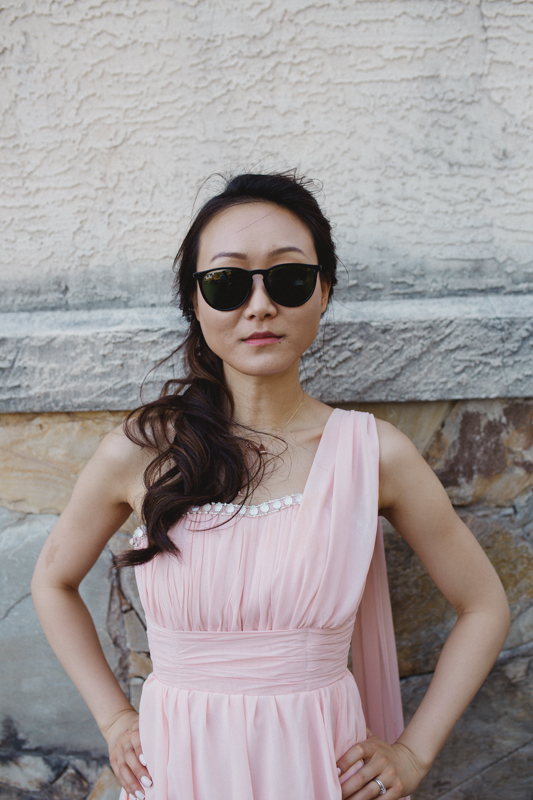 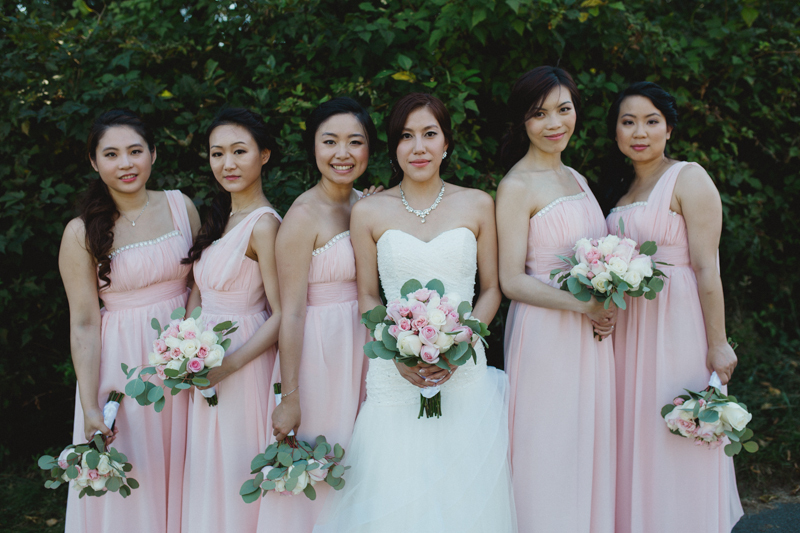 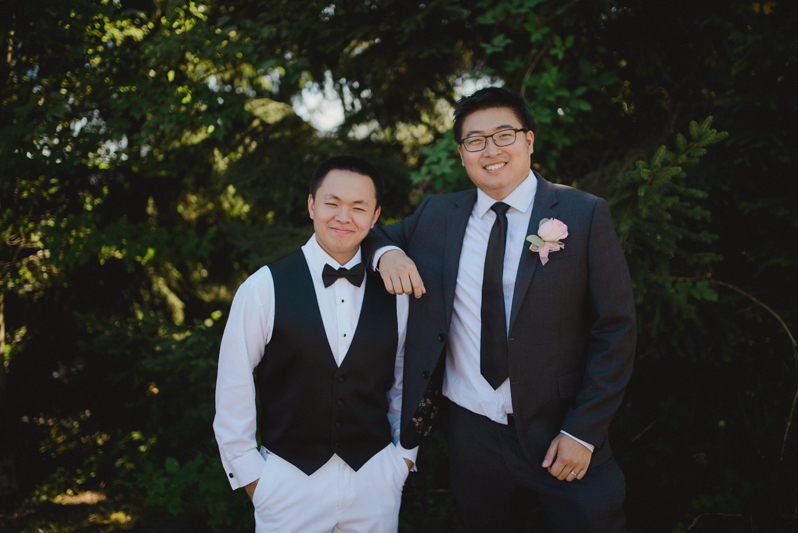 There was certainly no shortage of sunshine for this outdoor wedding! 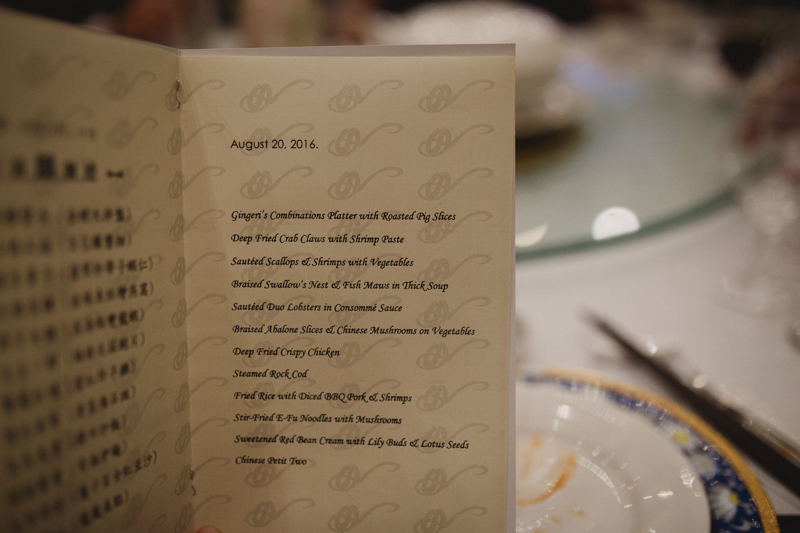 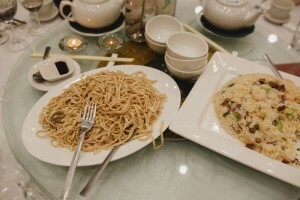 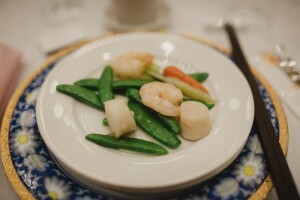 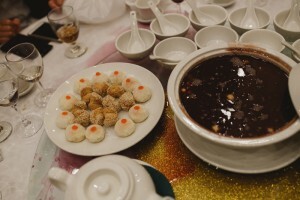 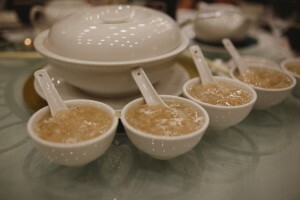 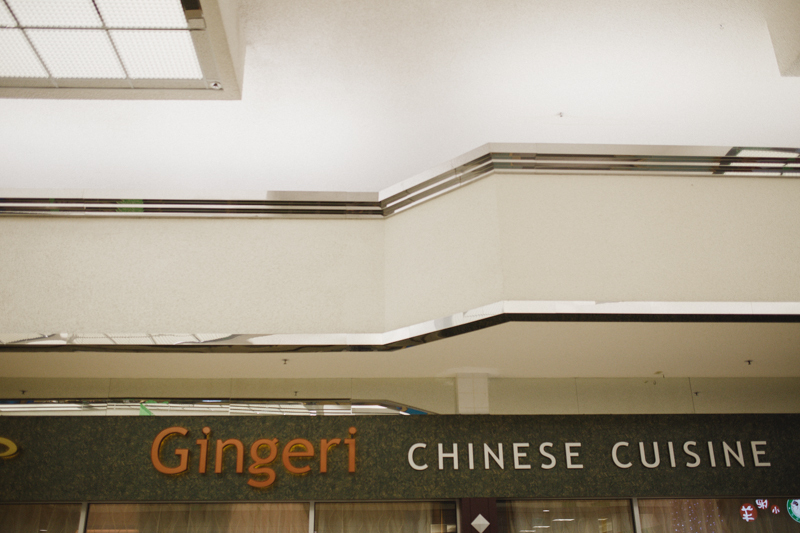 The evening was planned around a 10 dish dinner, prepared by the delicious Gingeri. 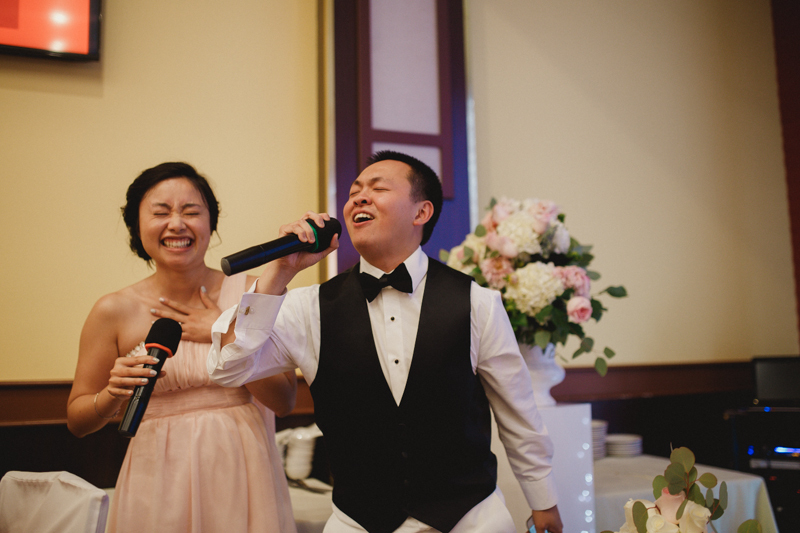 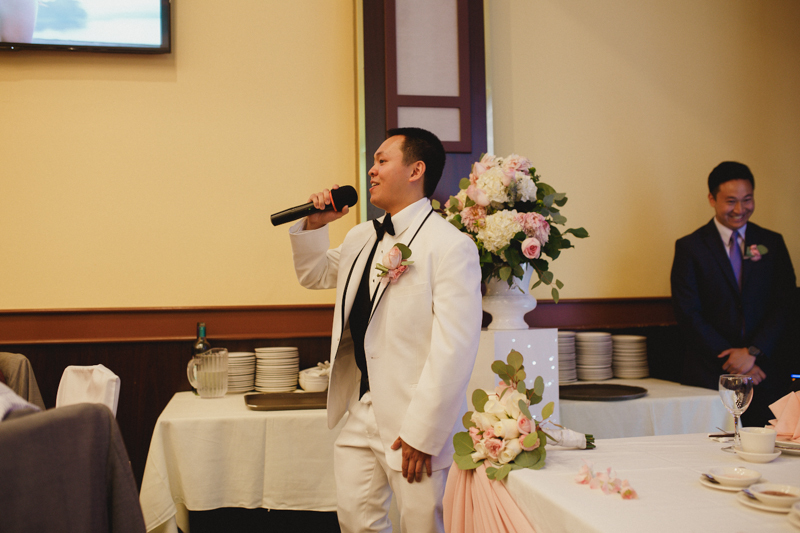 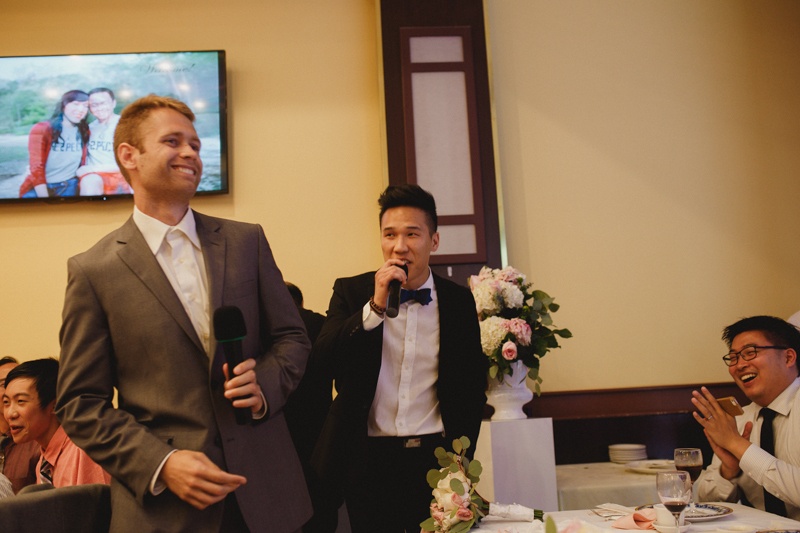 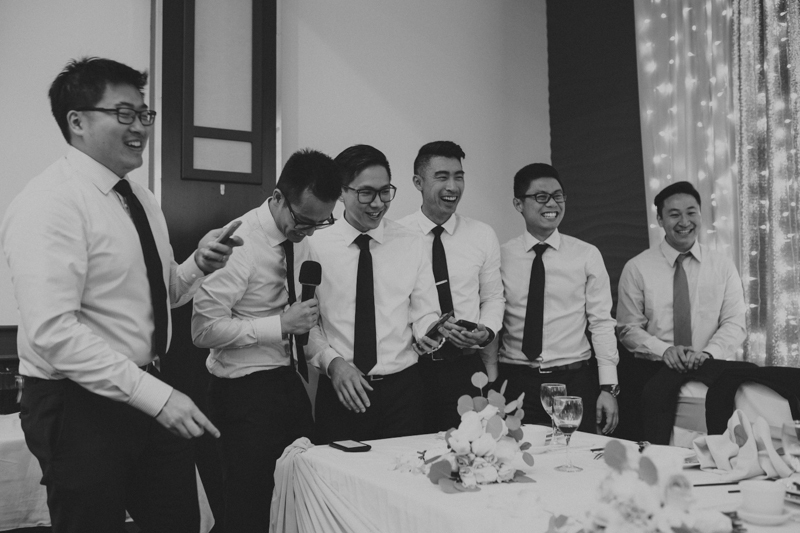 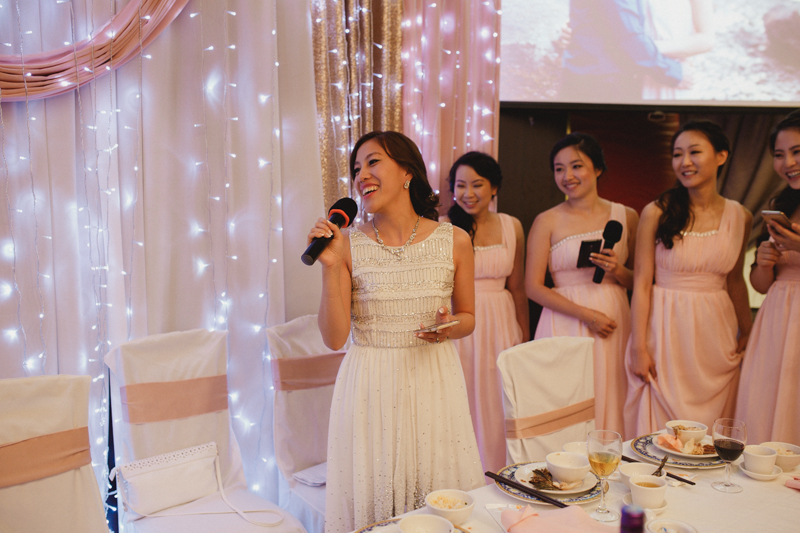 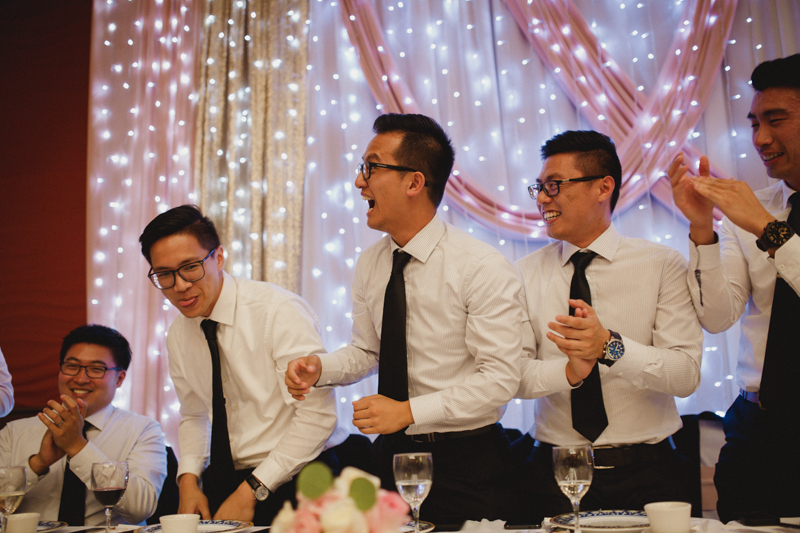 Once again, the wedding party had me laughing all night long as the groom sang at least 3 times with his boys as back up, and Windsor + Joyce even made a music video to go along with their slideshow – so good! 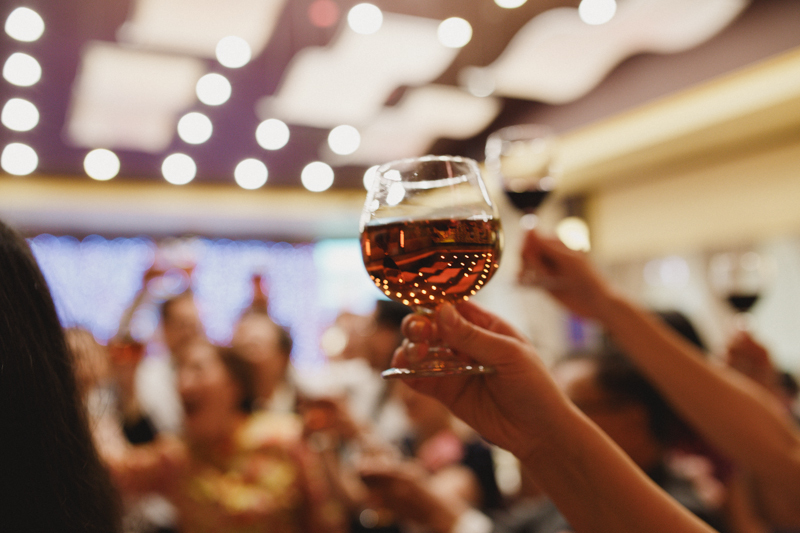 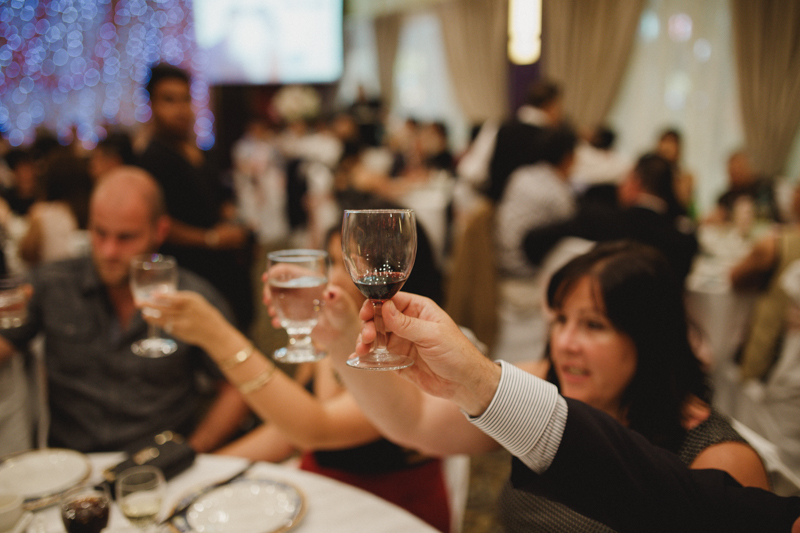 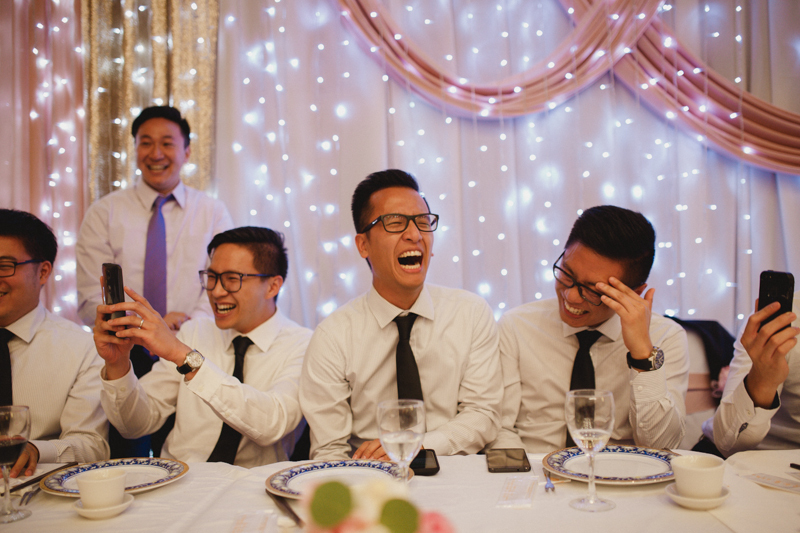 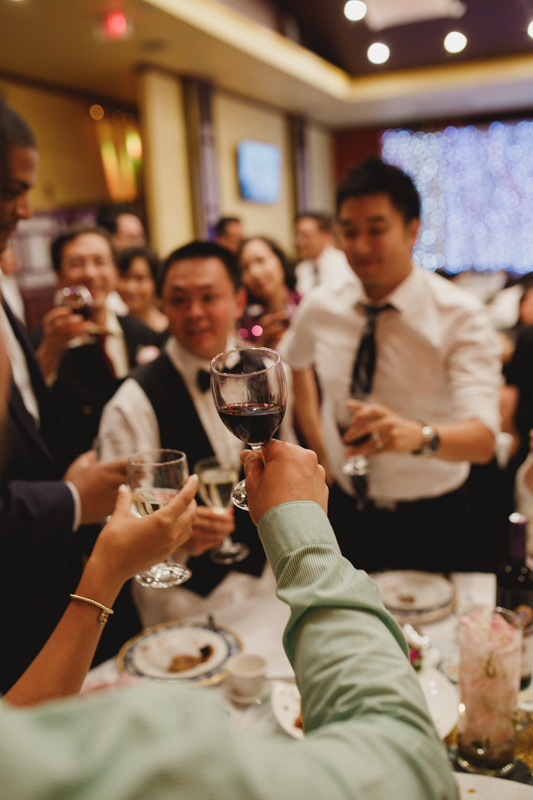 Here’s to all the laughter that was shared this night, and a lifetime of laughter still to come! 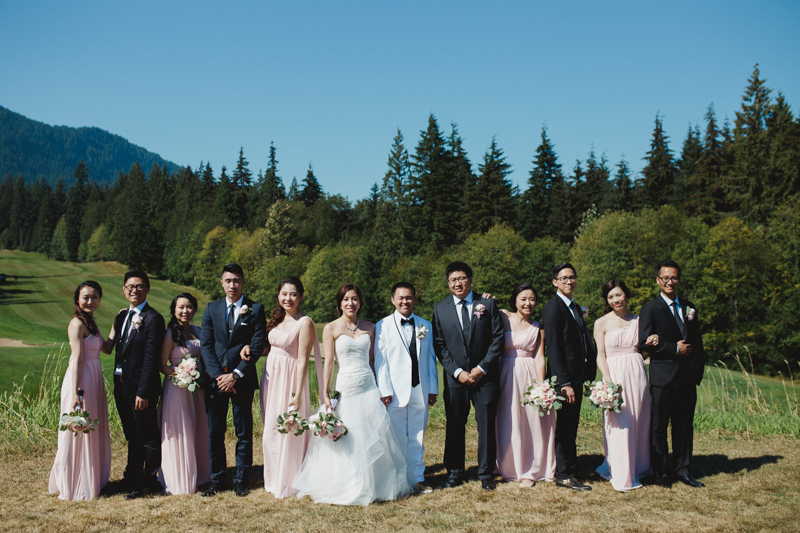 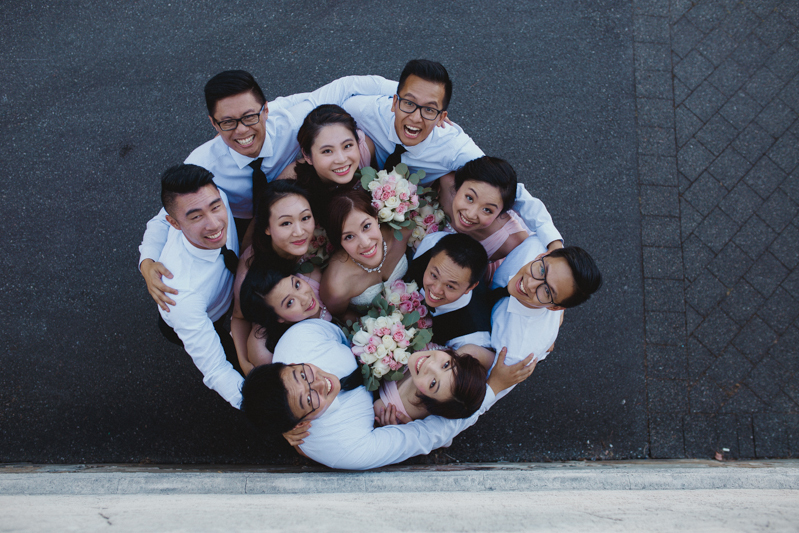 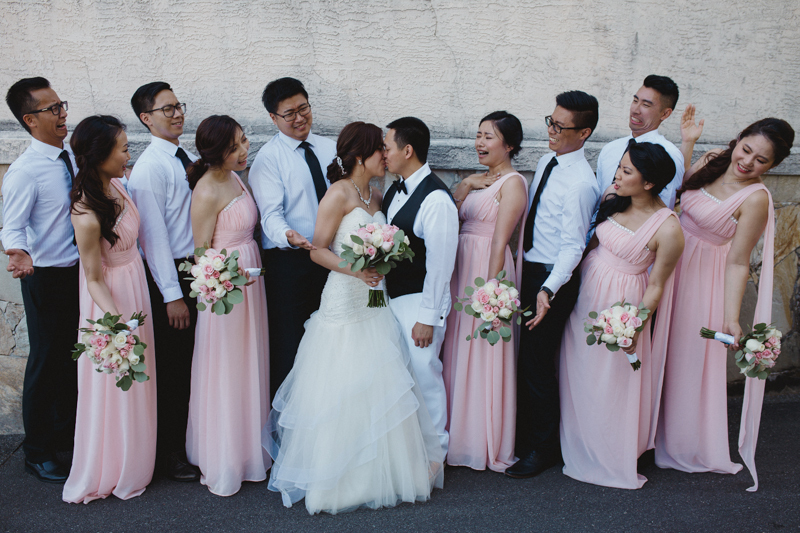 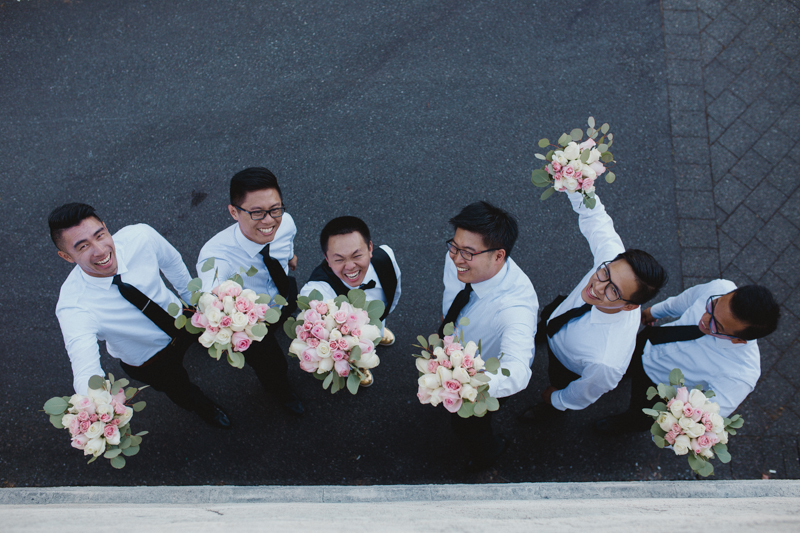 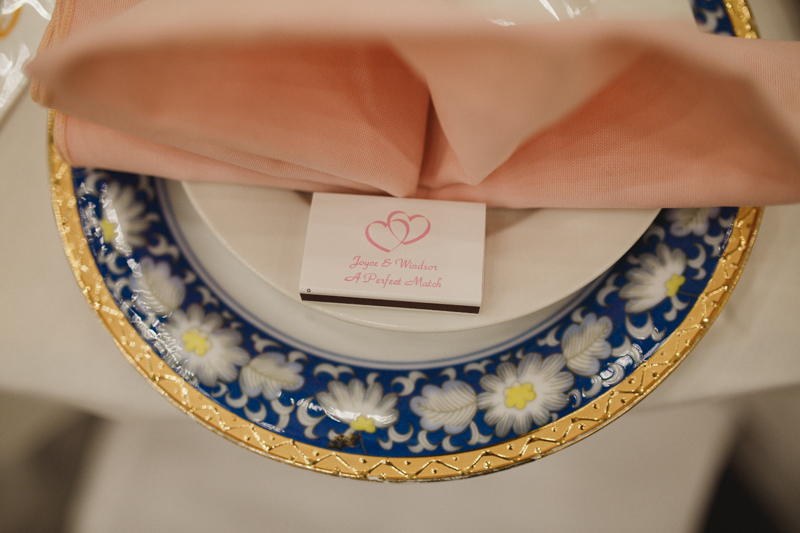 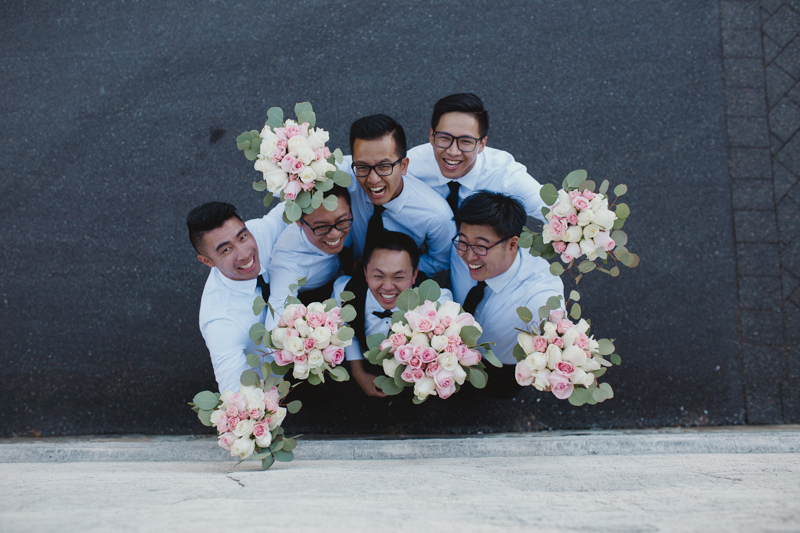 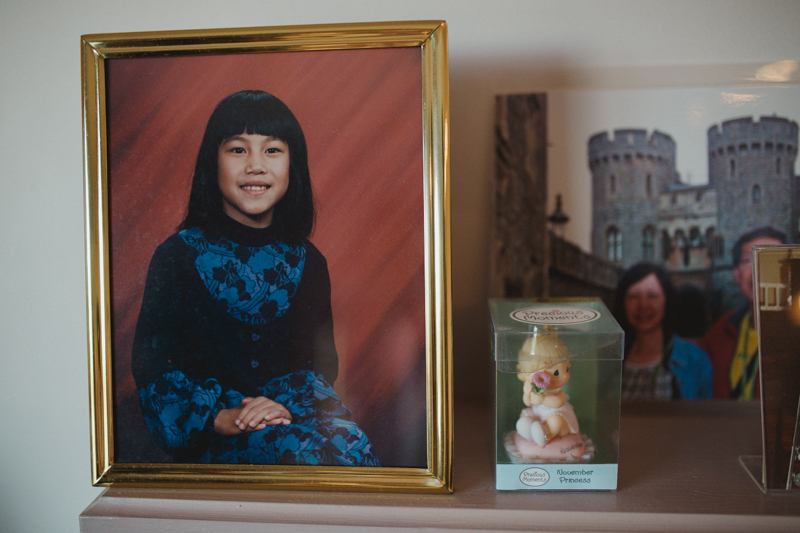 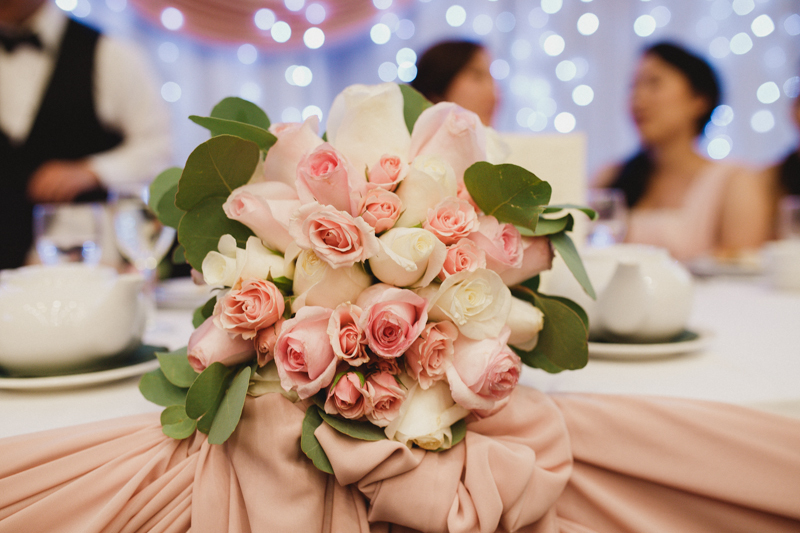 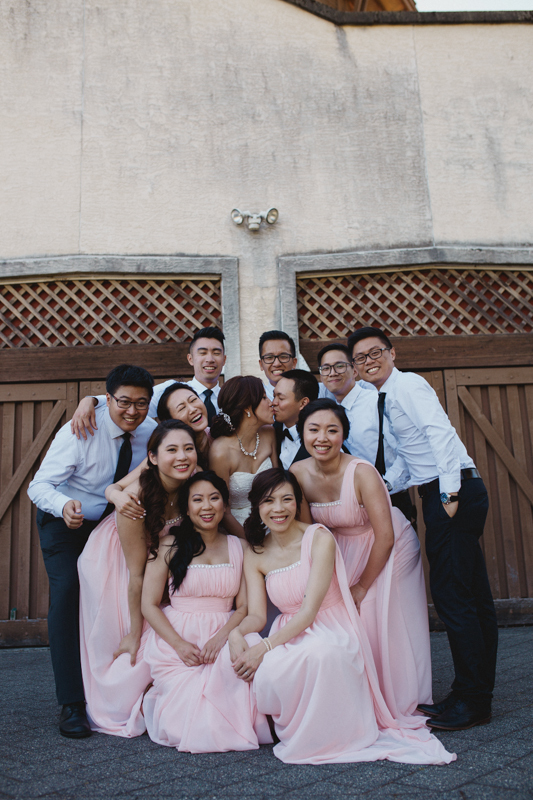 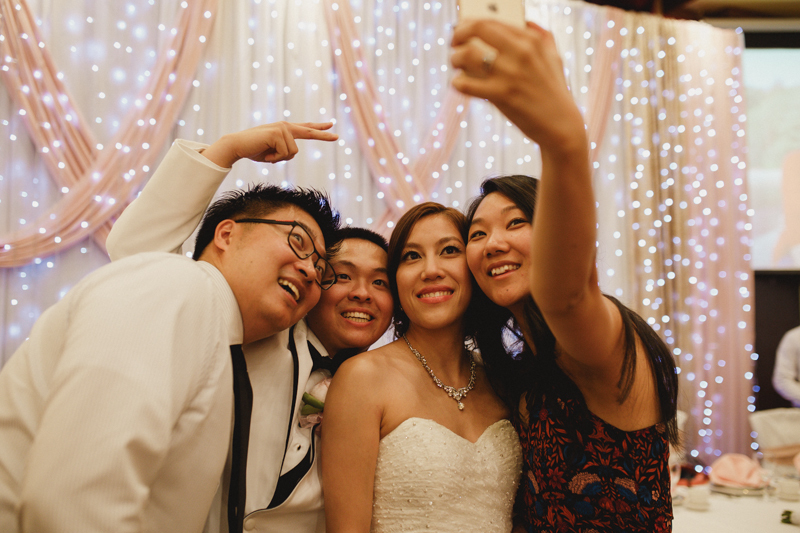 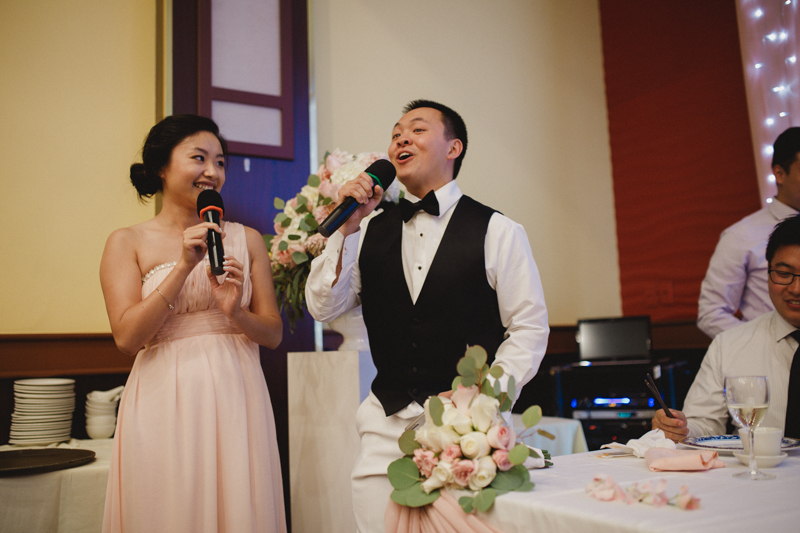 Congratulations Joyce + Windsor!